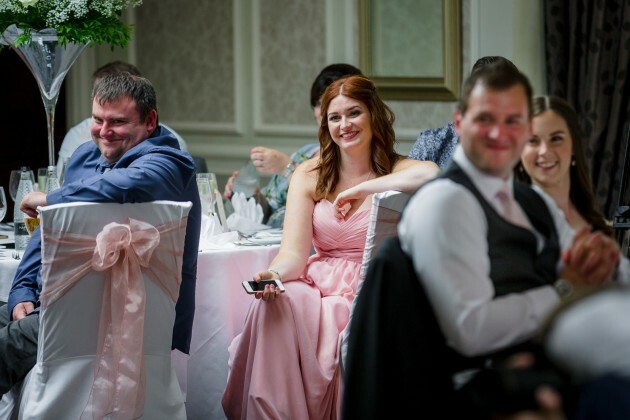 Sarah and Andrew (well maybe mostly Sarah!) 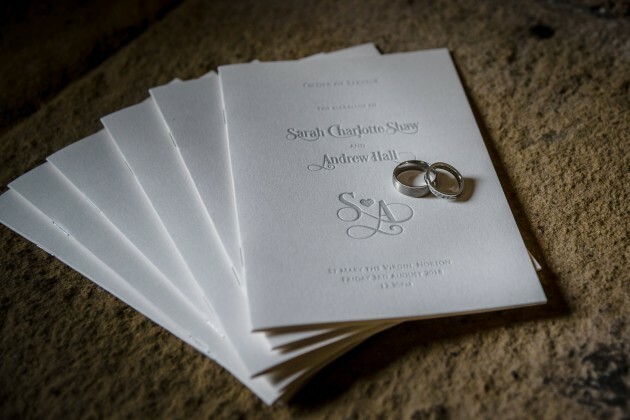 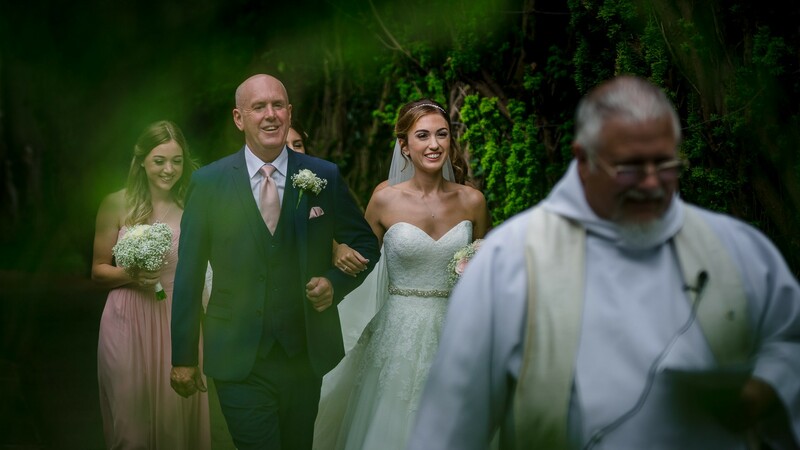 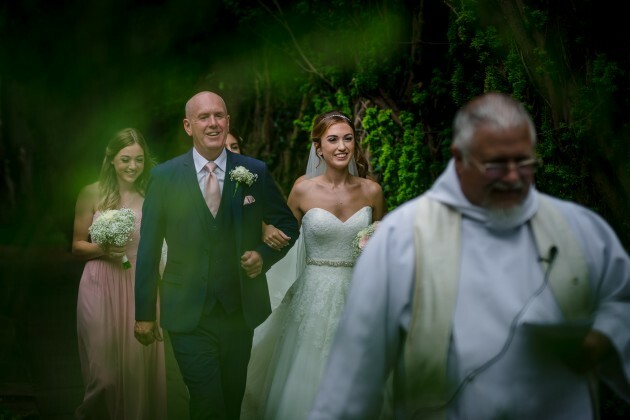 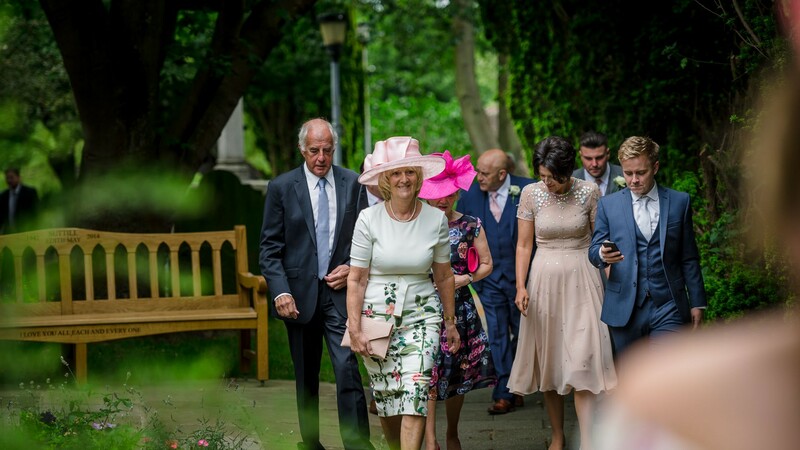 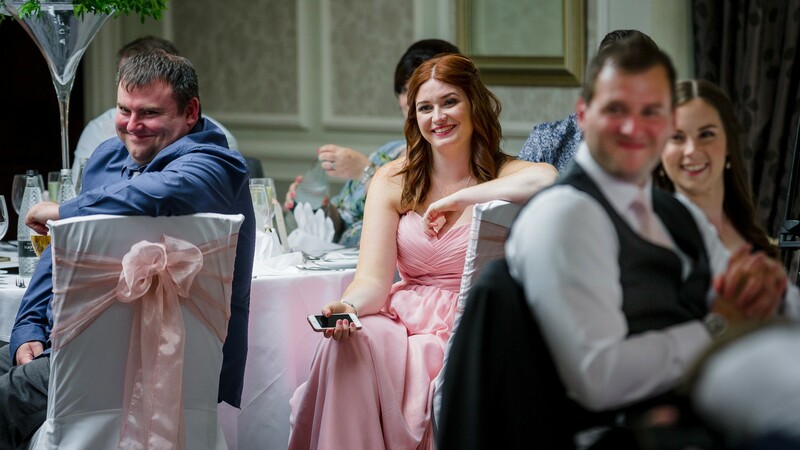 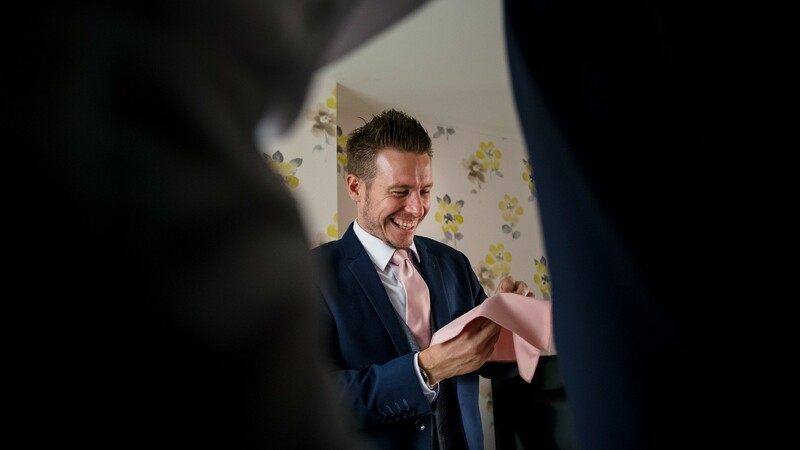 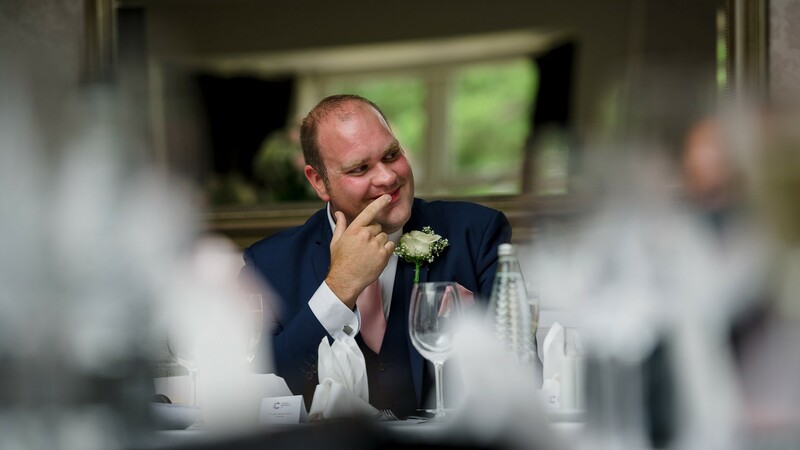 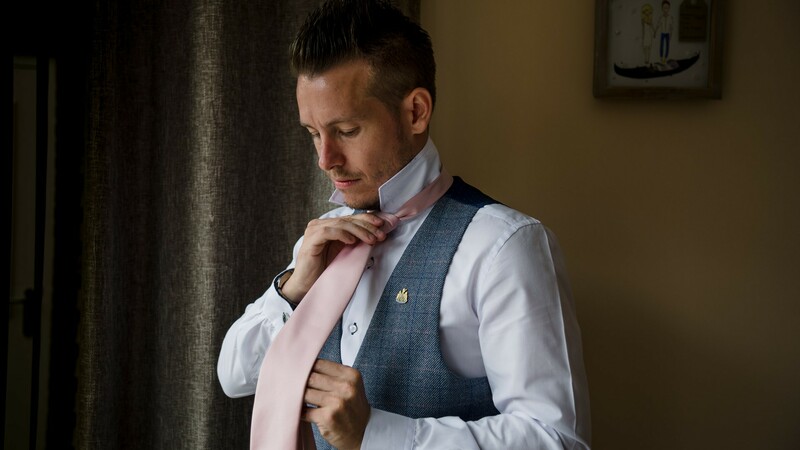 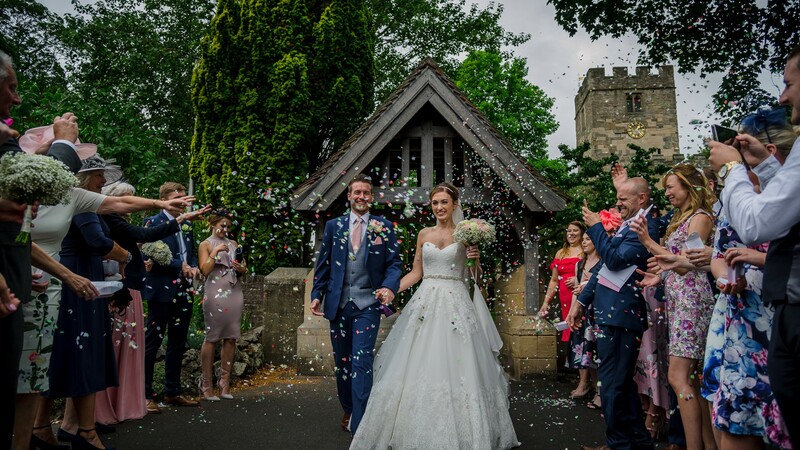 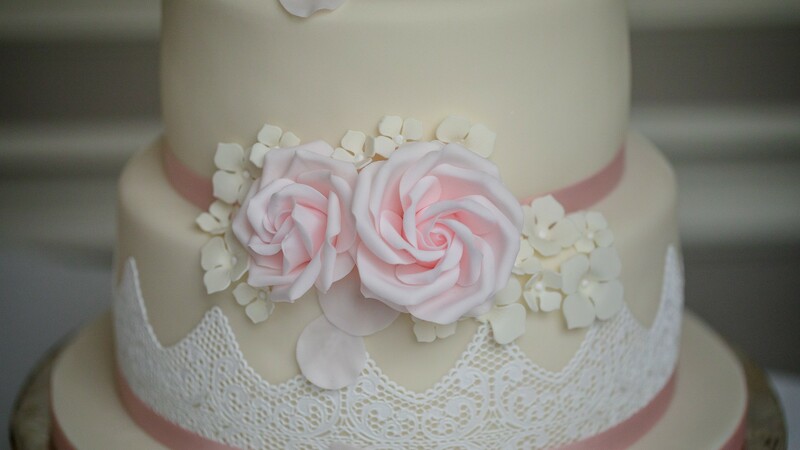 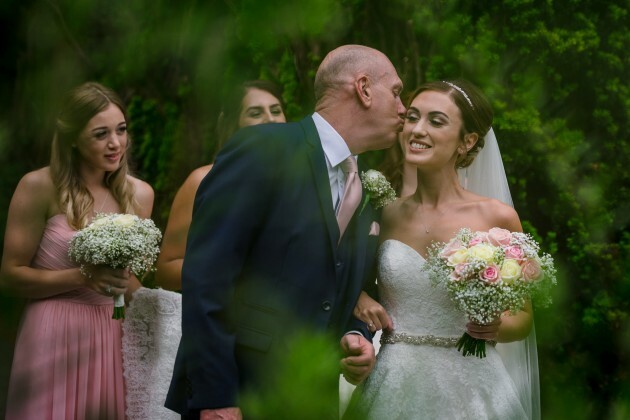 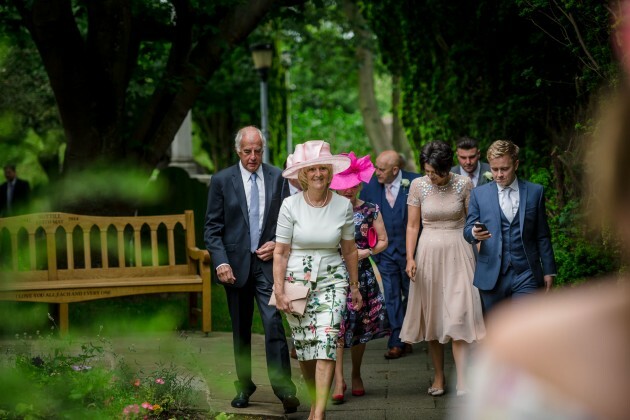 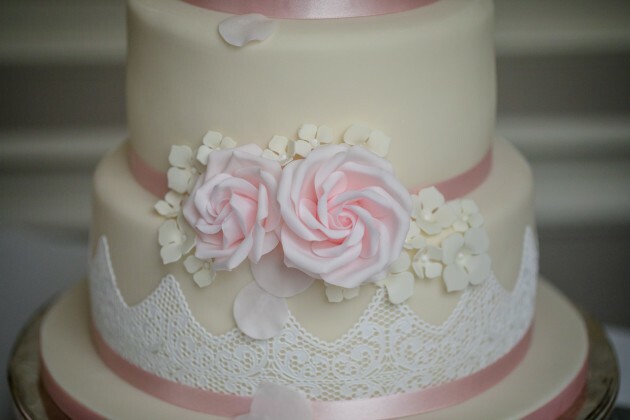 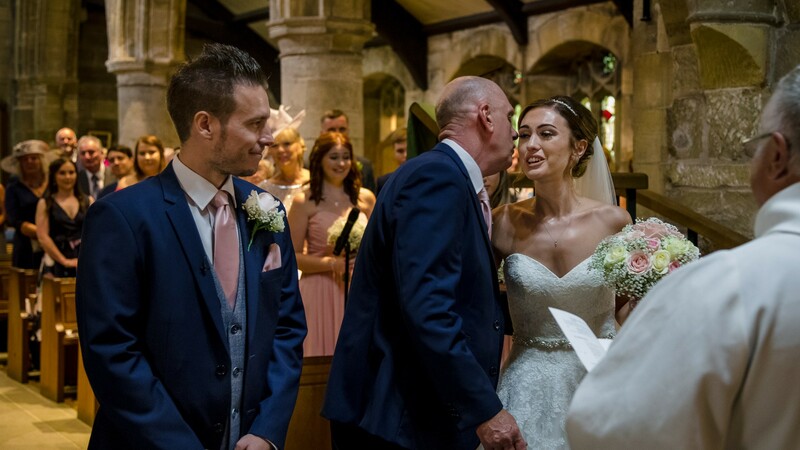 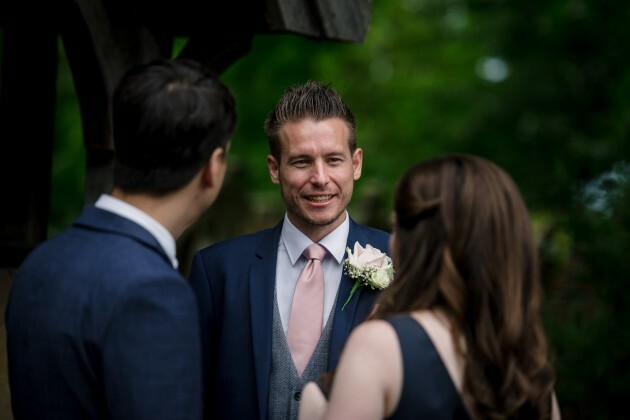 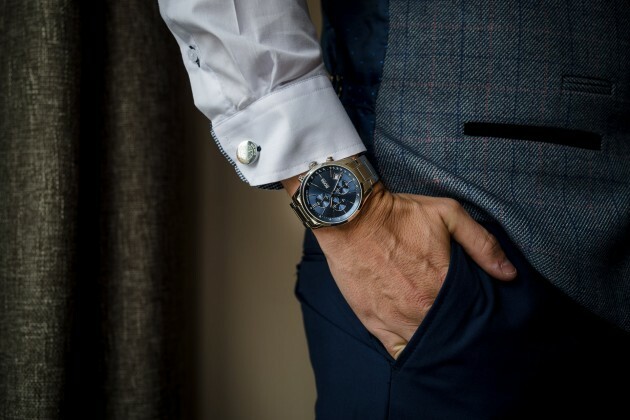 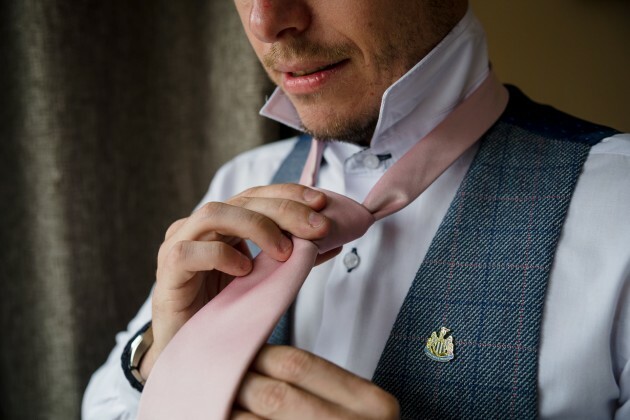 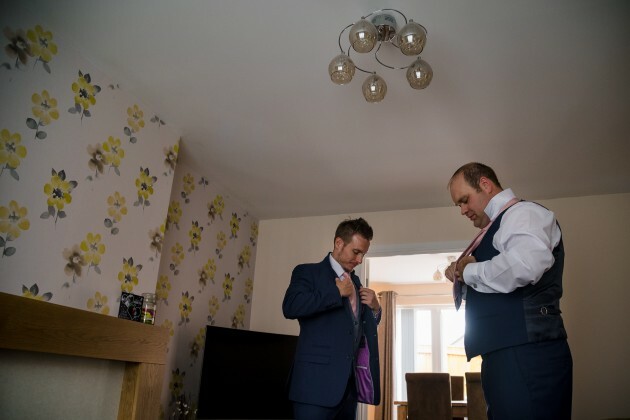 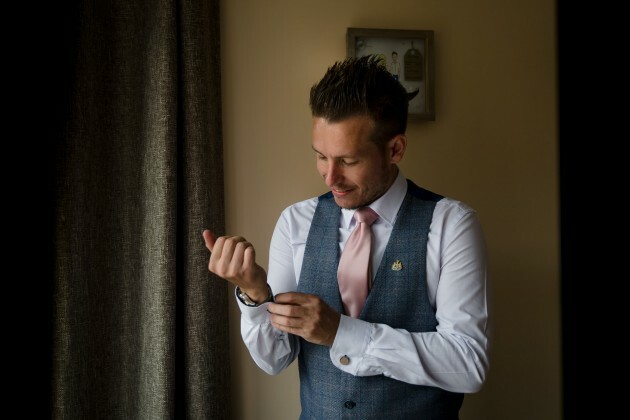 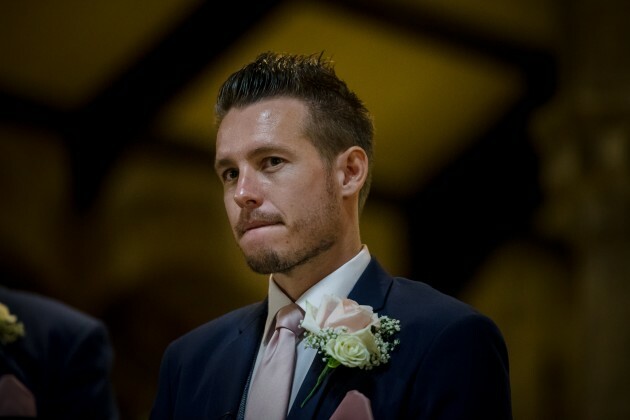 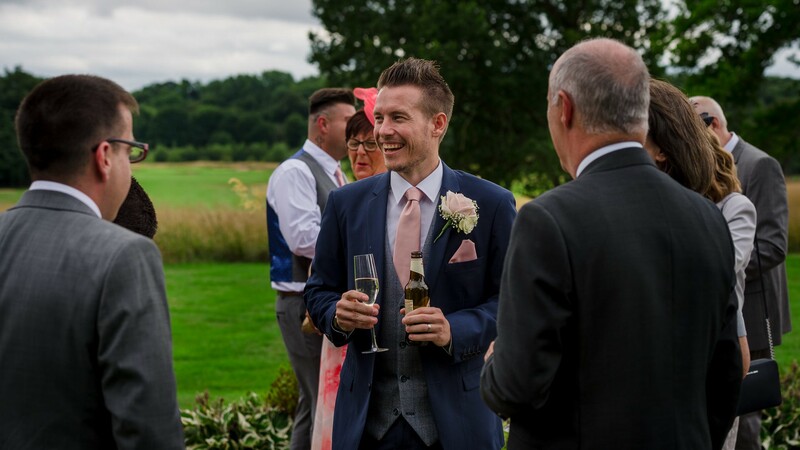 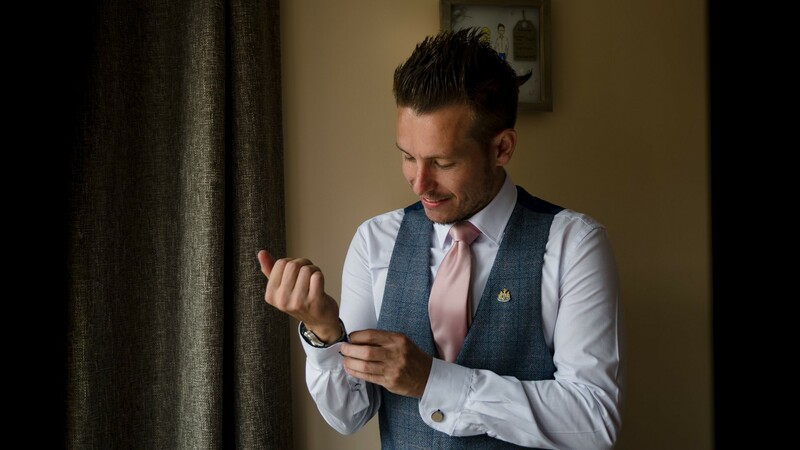 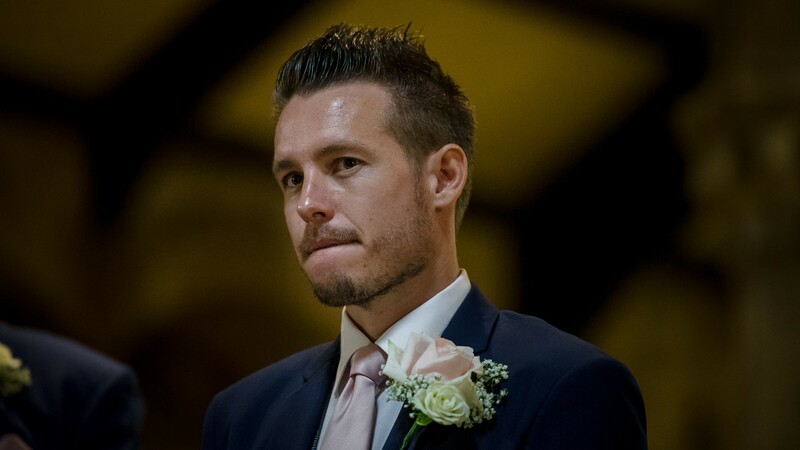 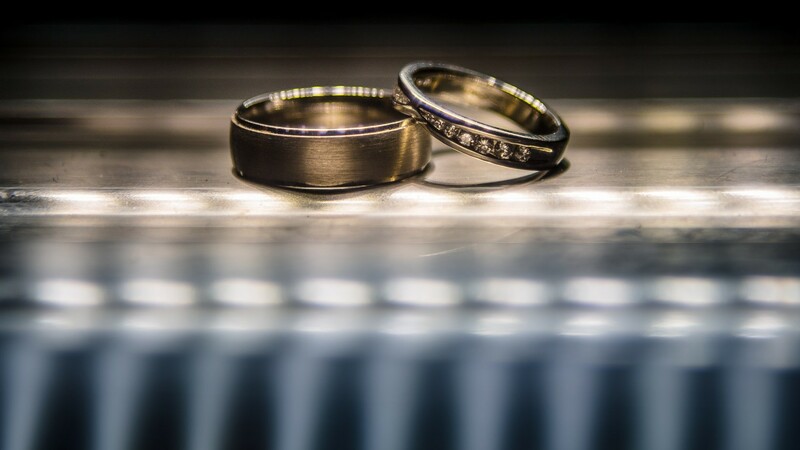 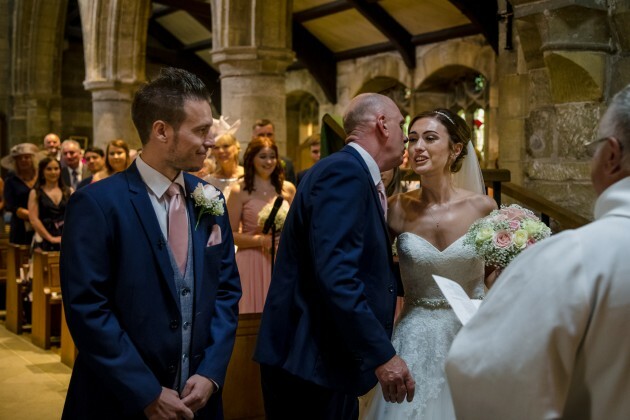 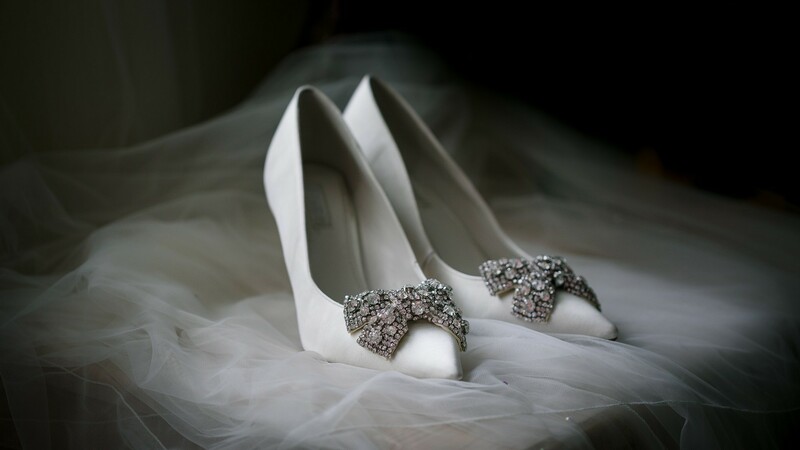 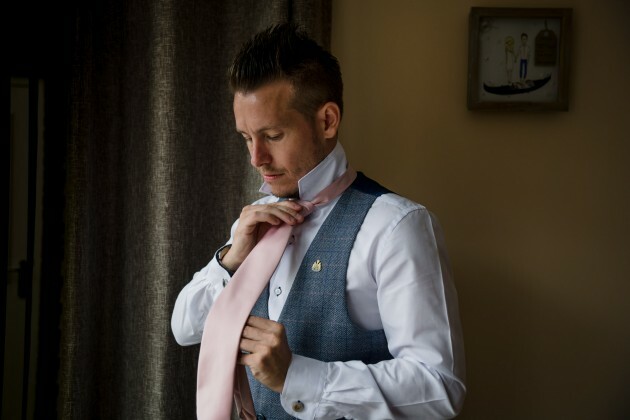 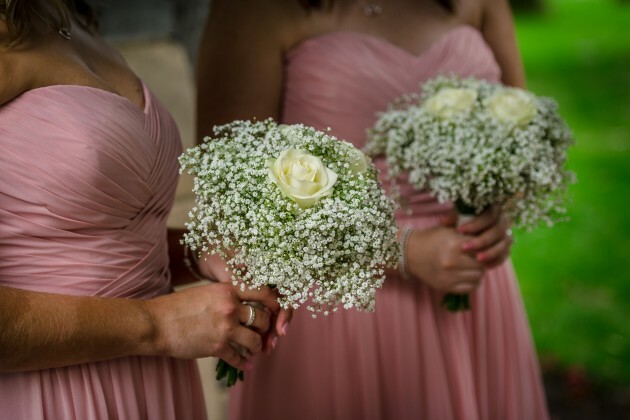 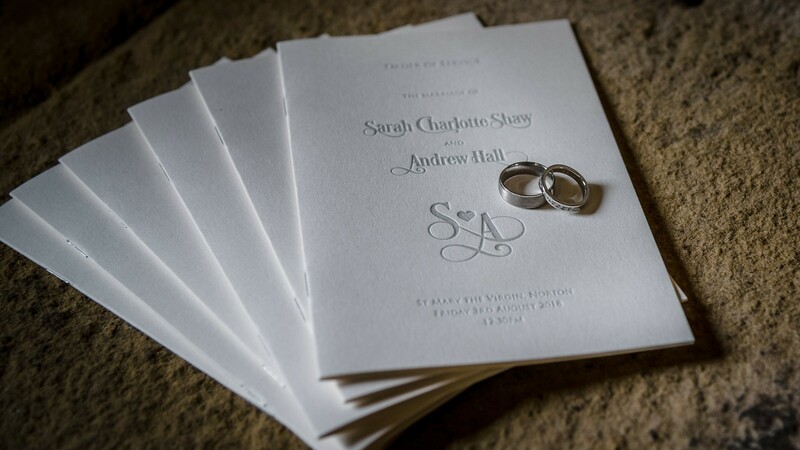 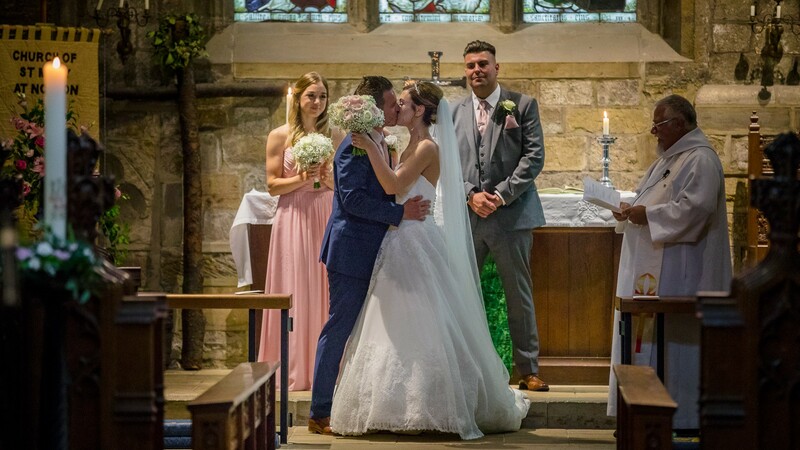 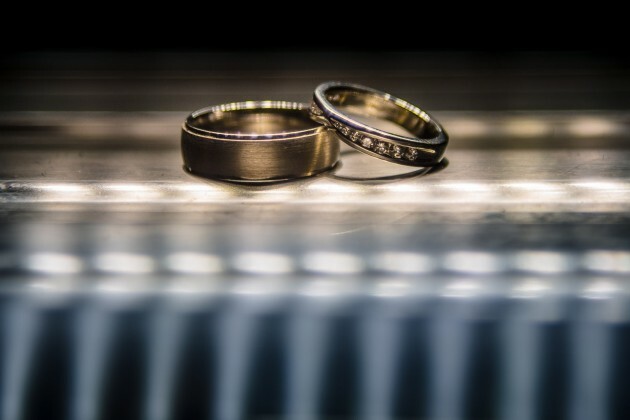 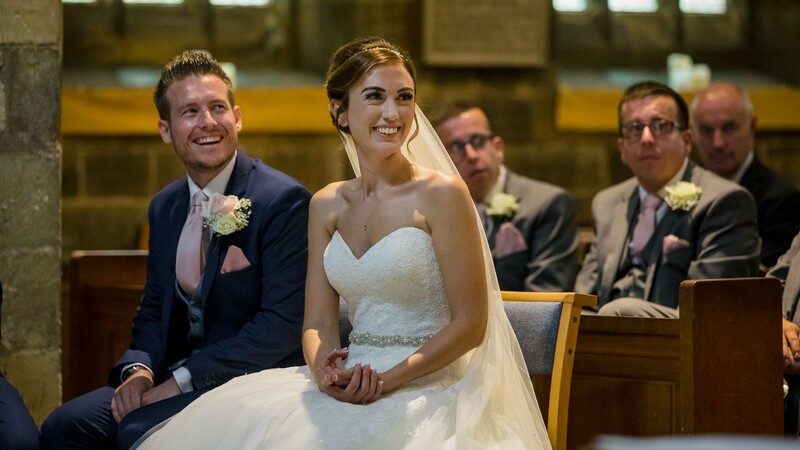 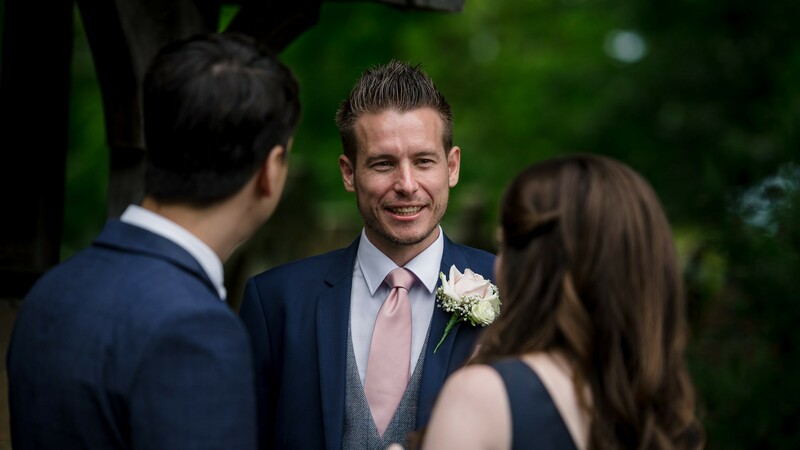 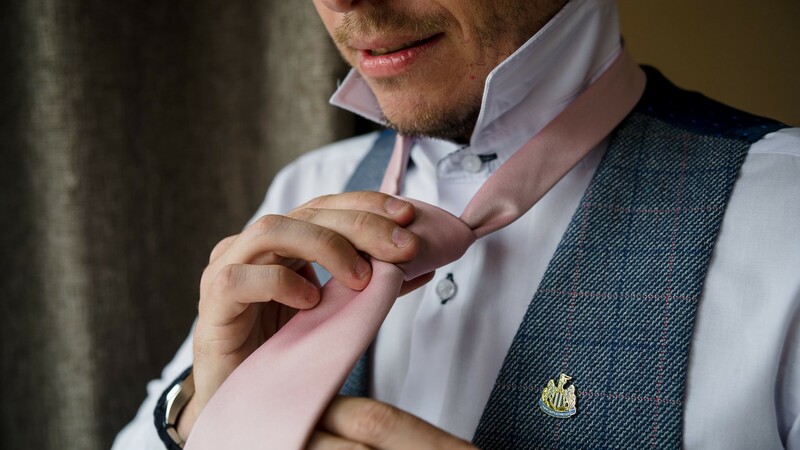 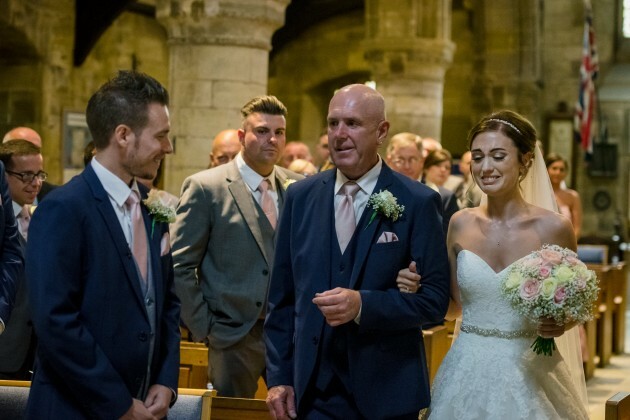 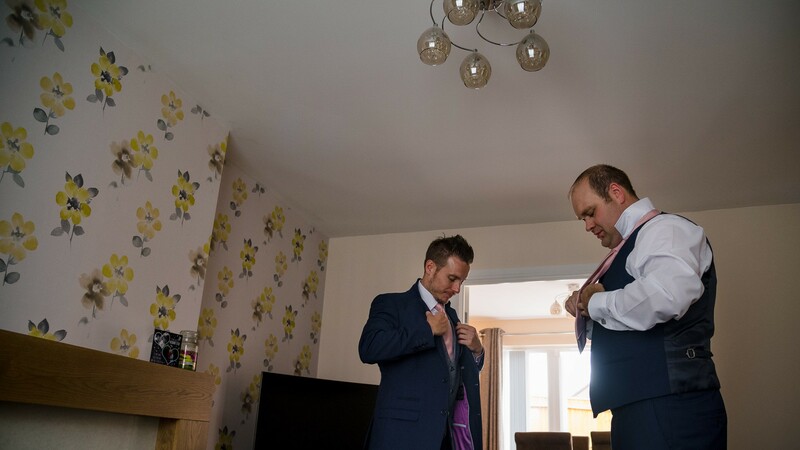 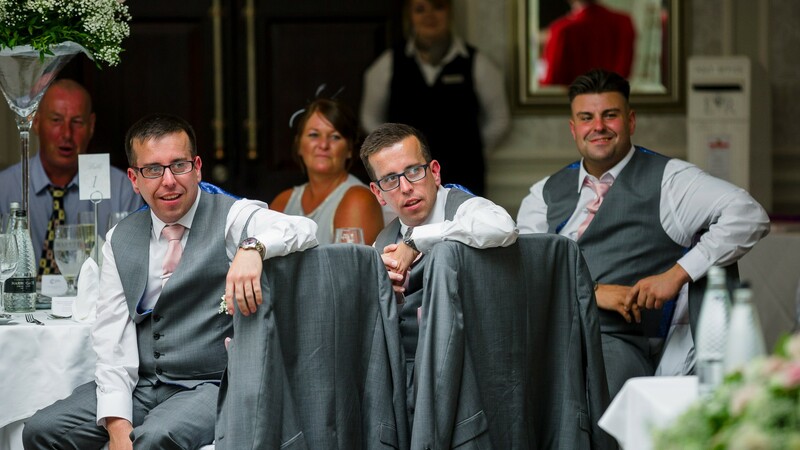 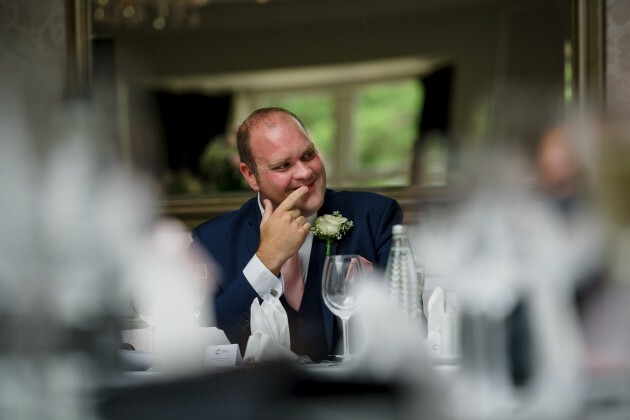 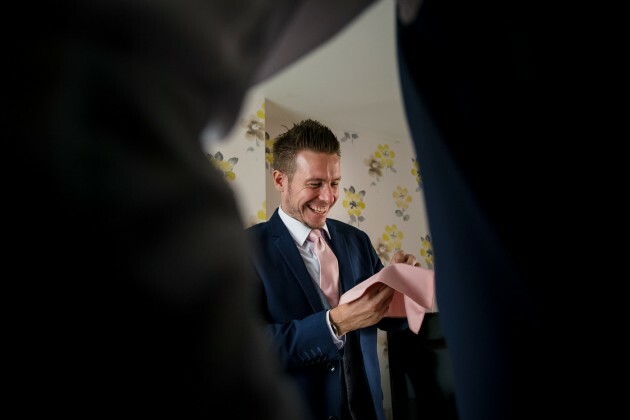 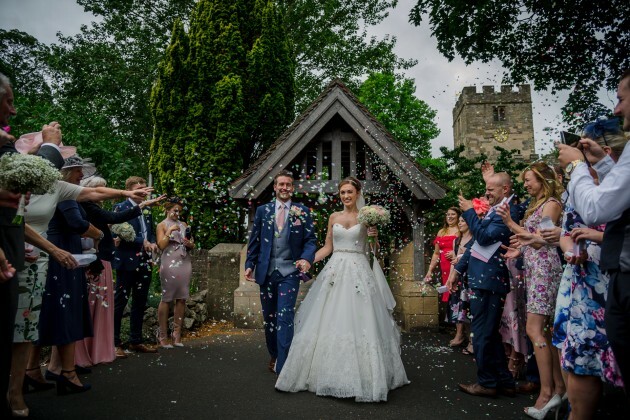 were exceptionally organised and had most of their wedding plans sorted almost 2 years in advance, but that way they were sure to have all the suppliers and the venue that they wanted. 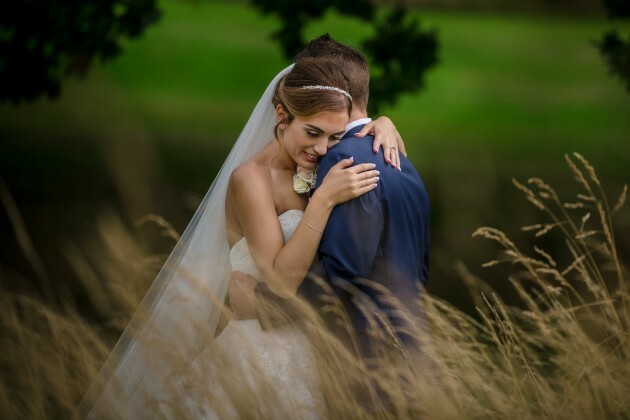 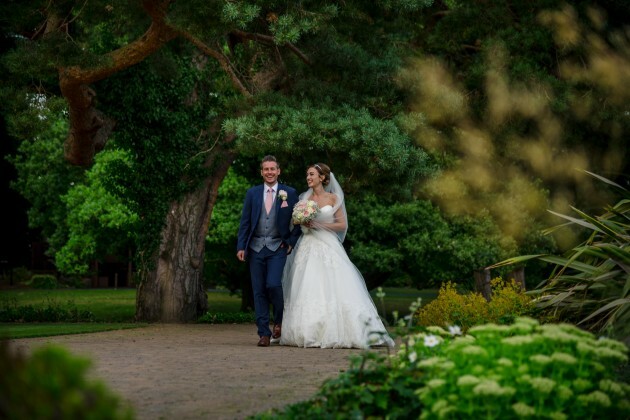 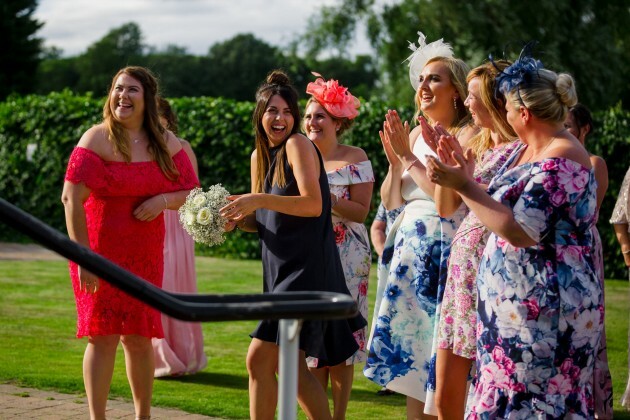 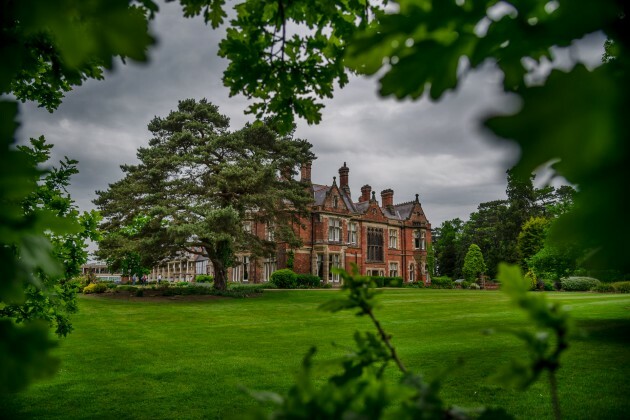 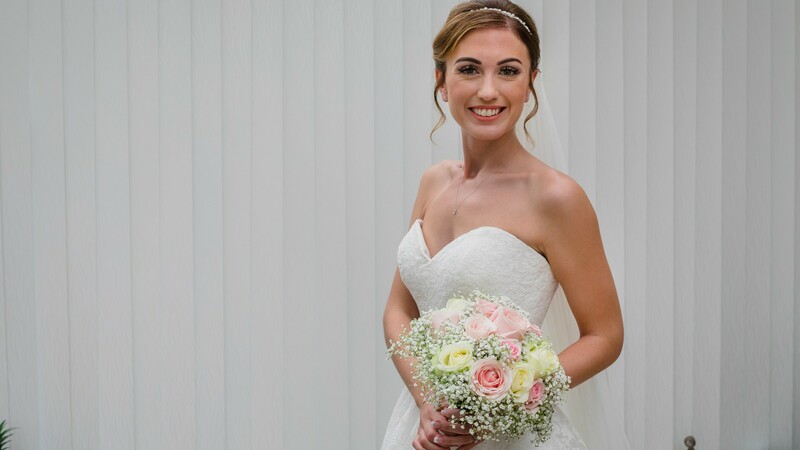 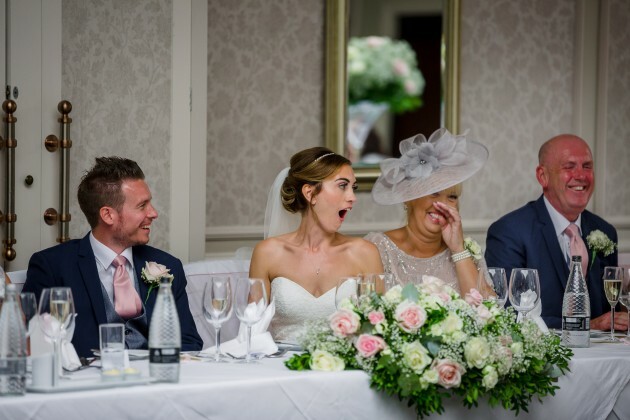 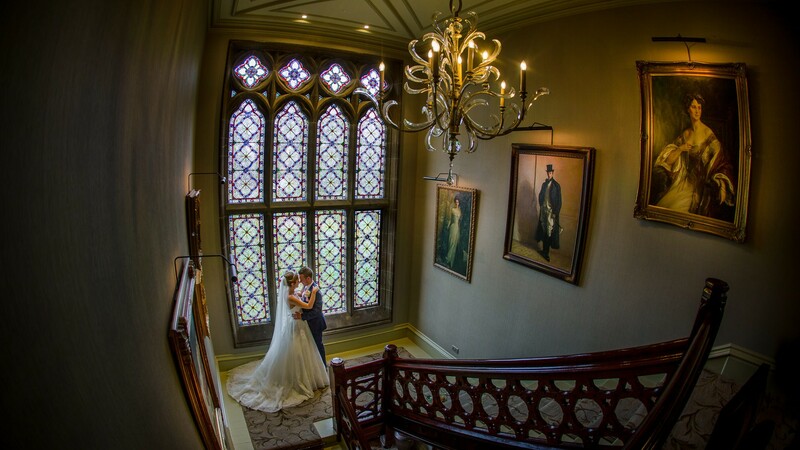 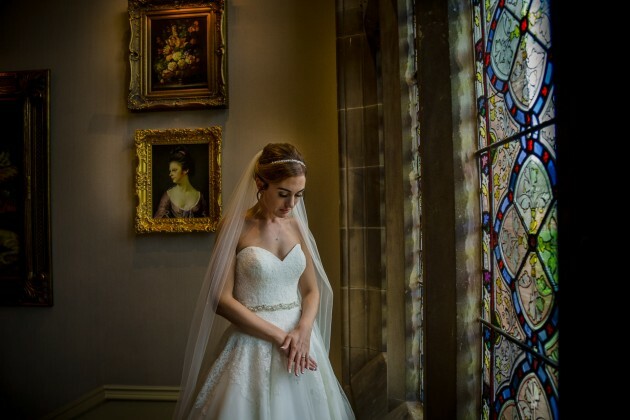 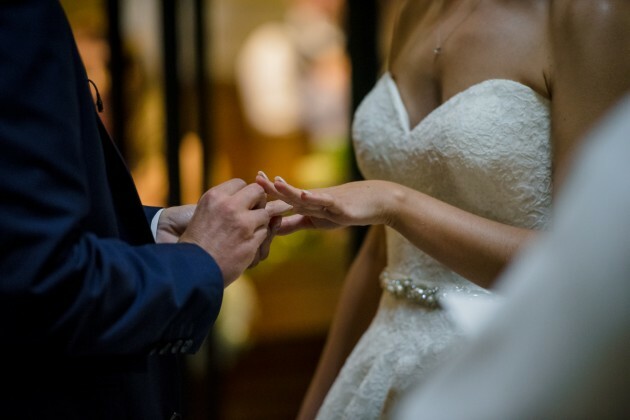 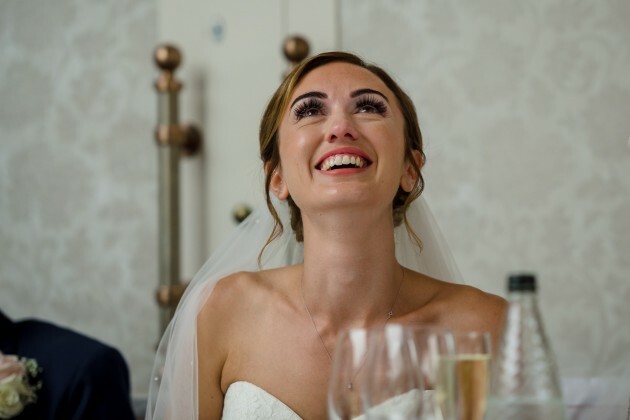 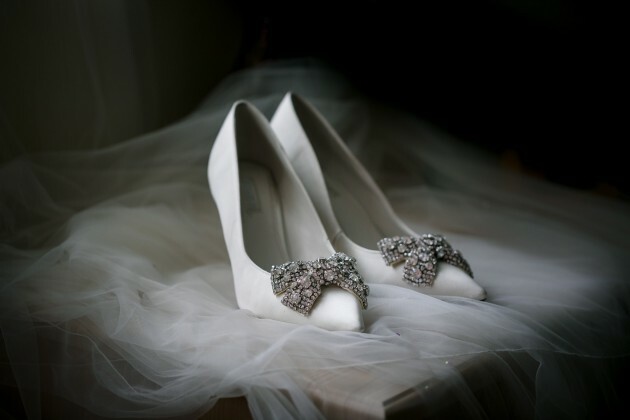 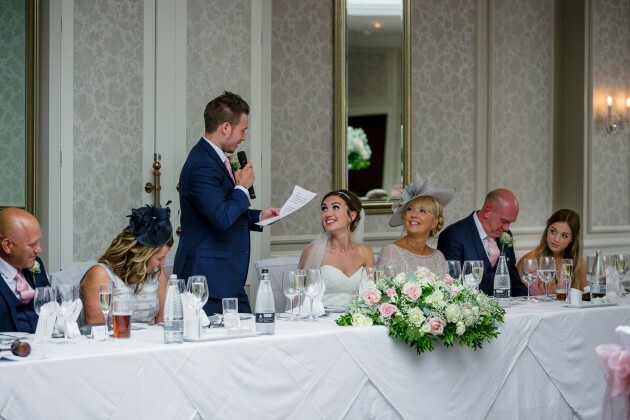 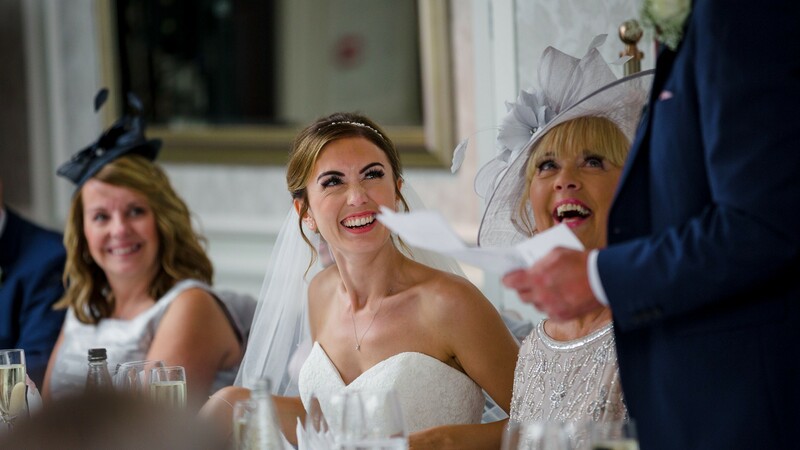 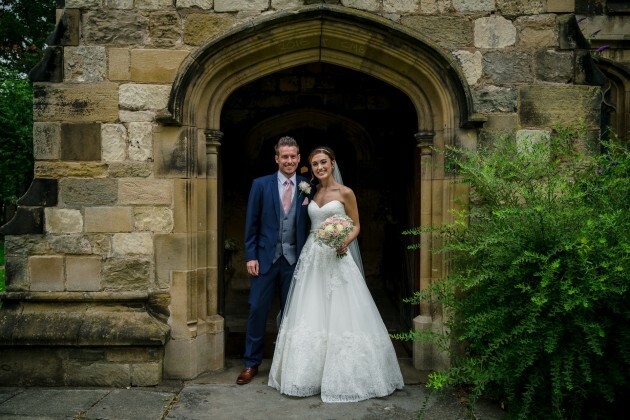 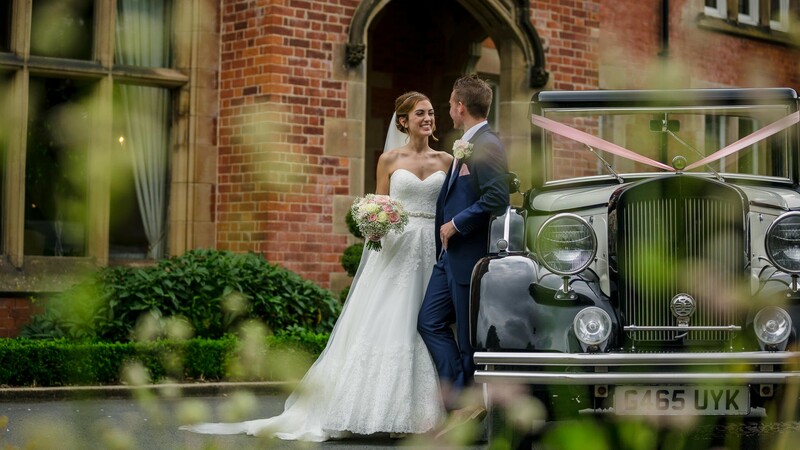 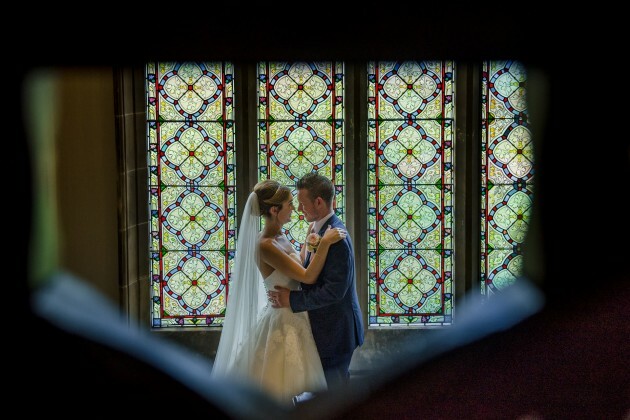 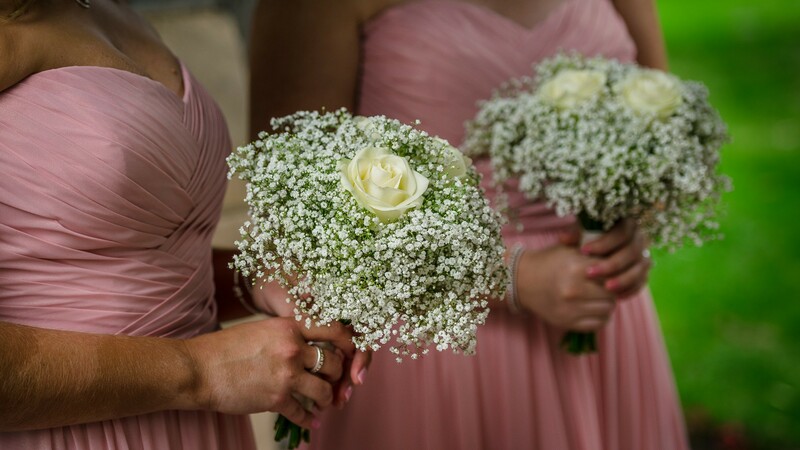 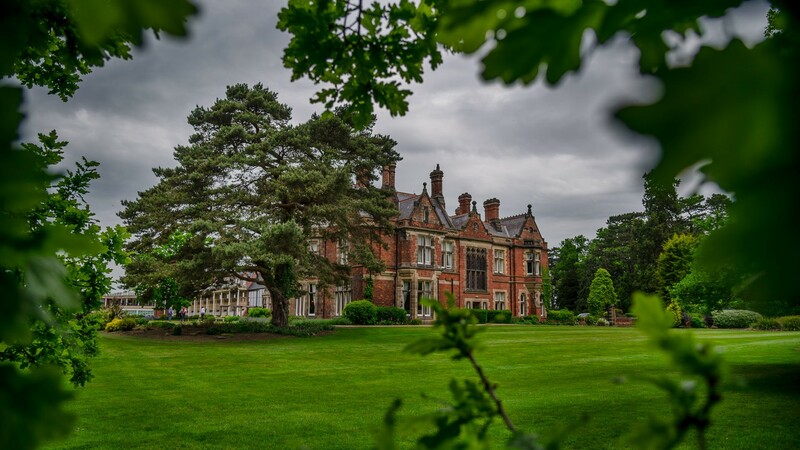 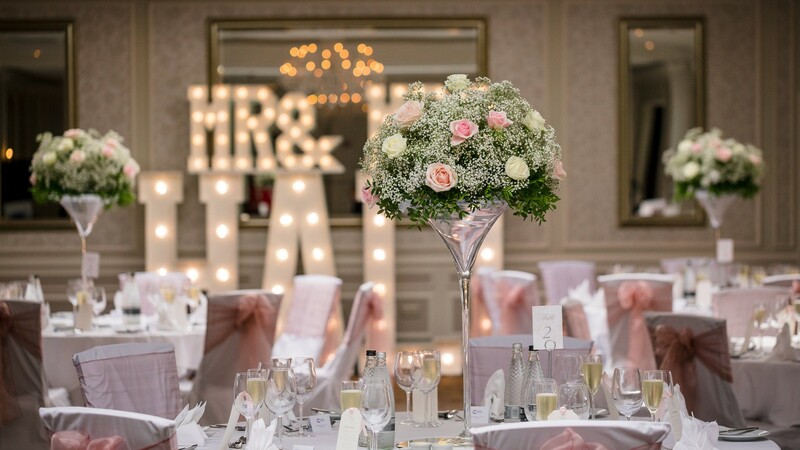 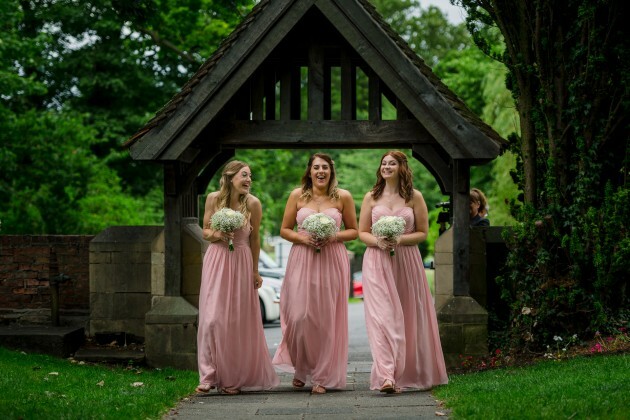 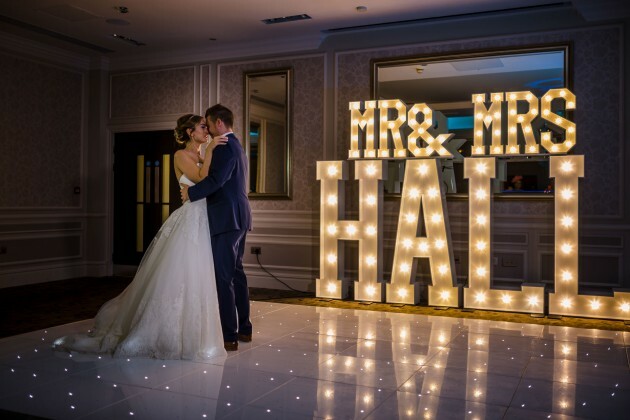 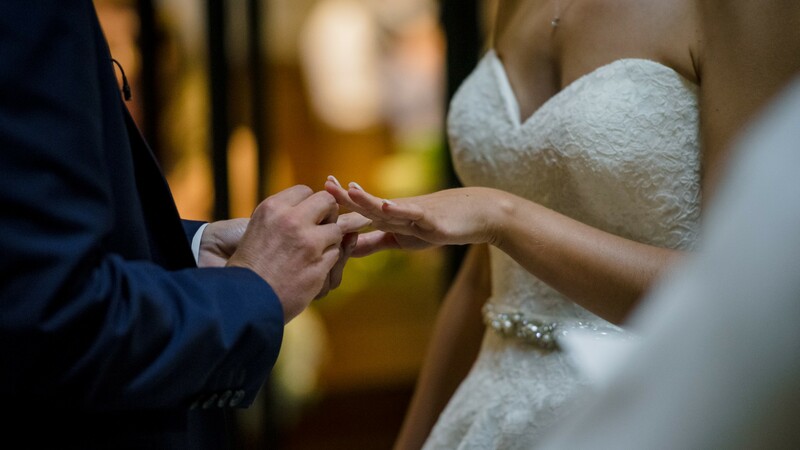 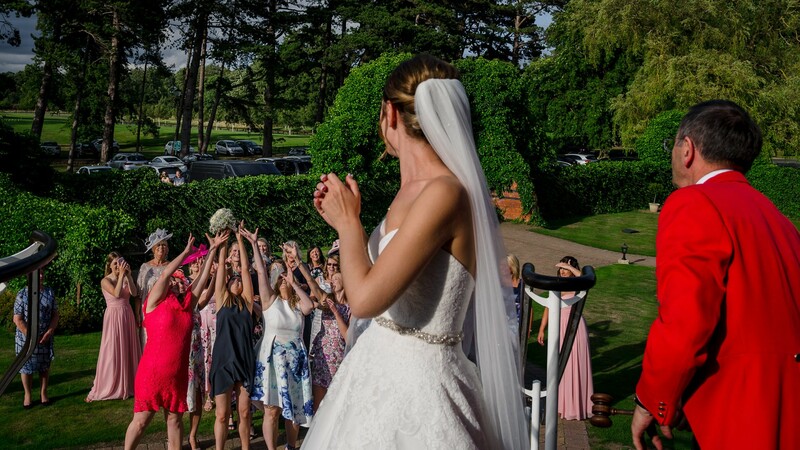 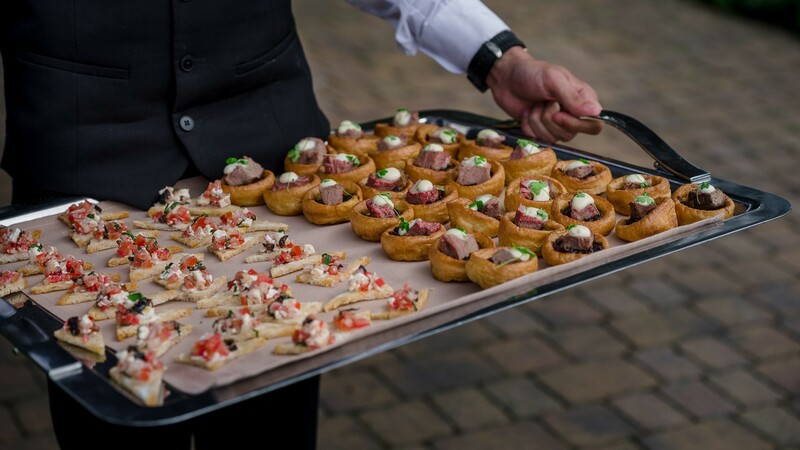 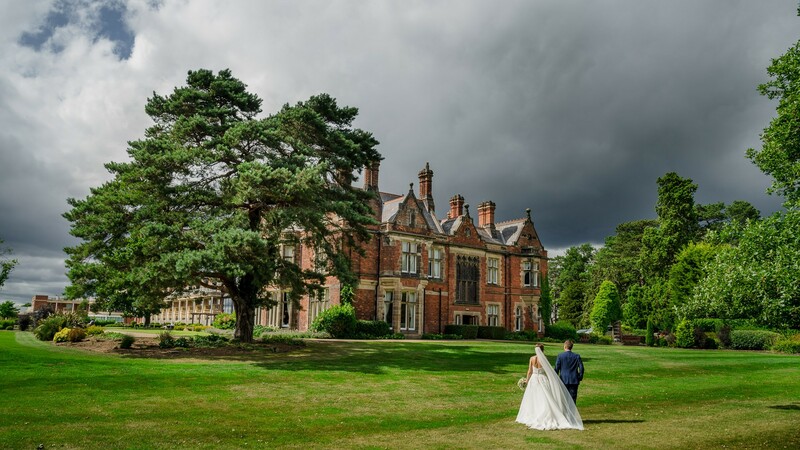 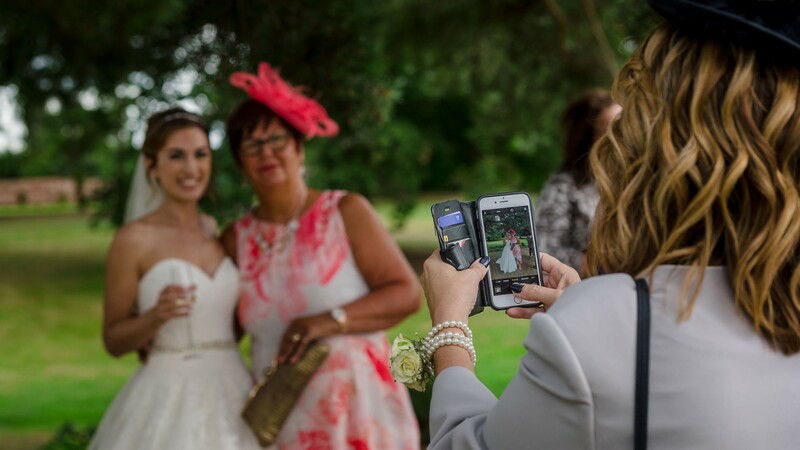 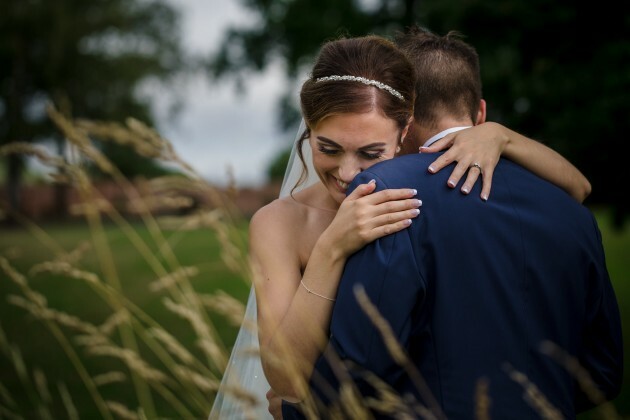 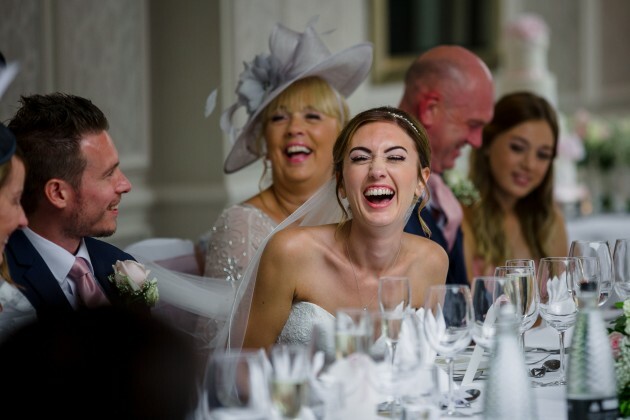 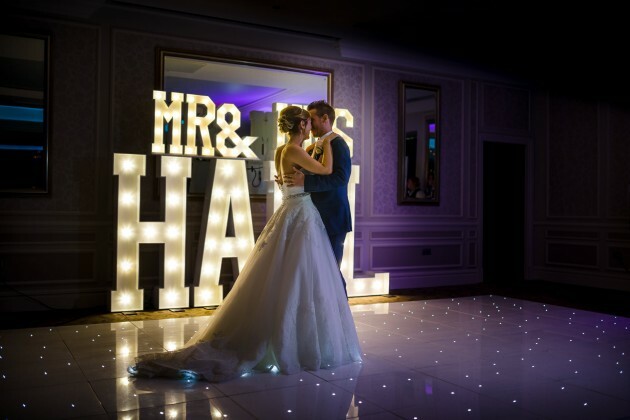 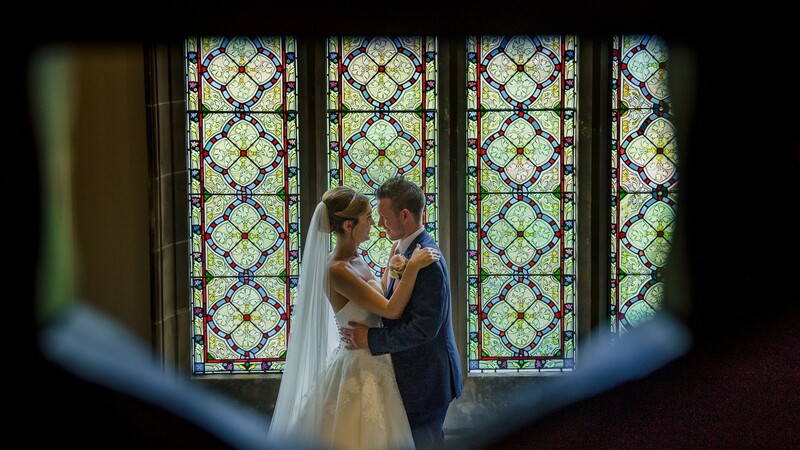 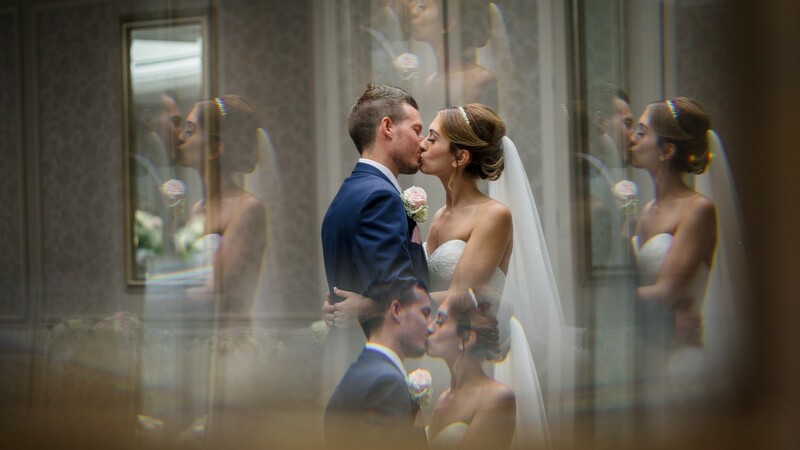 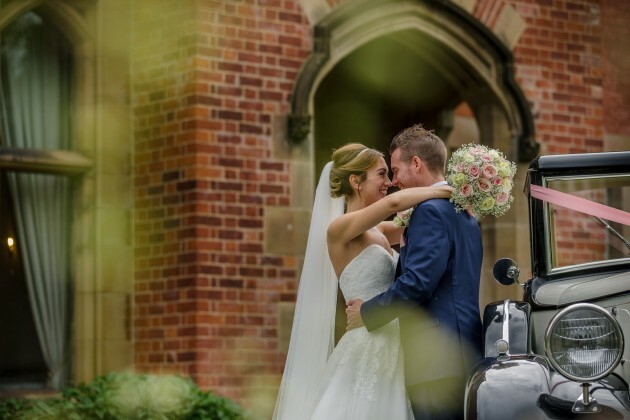 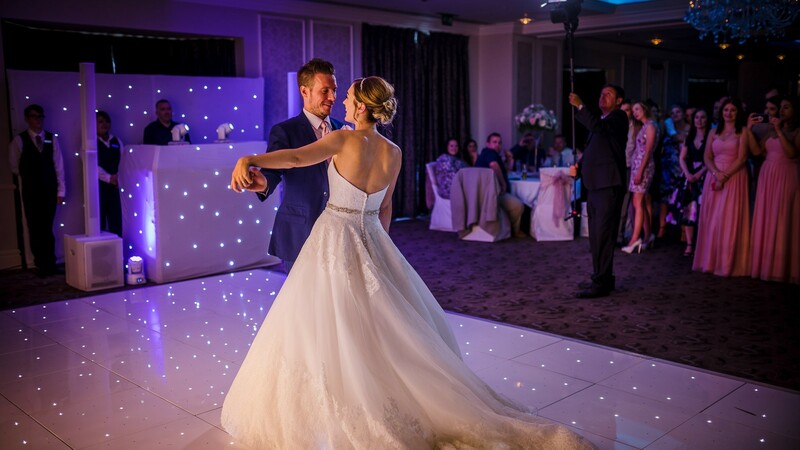 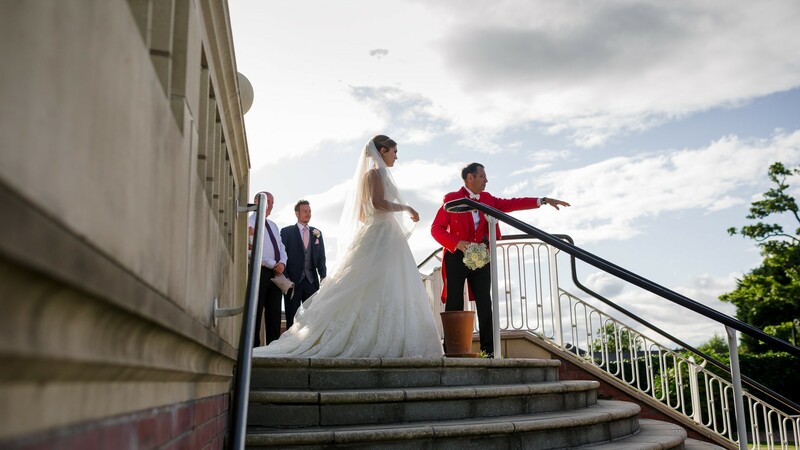 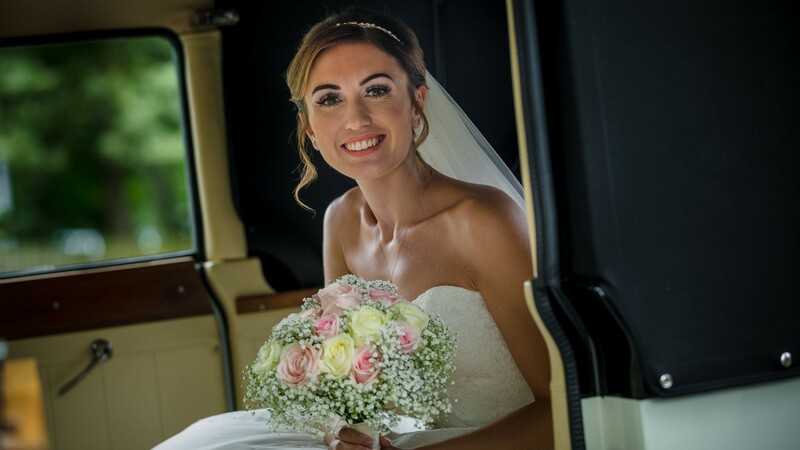 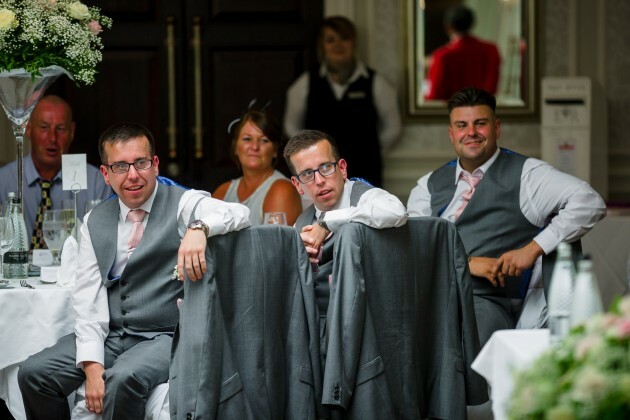 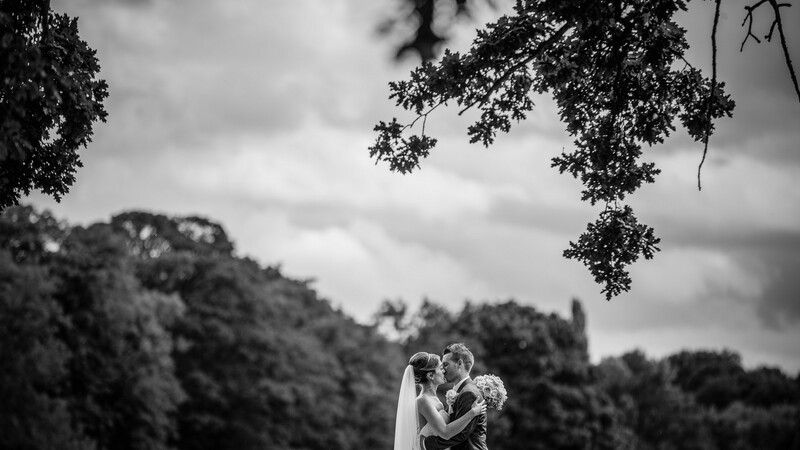 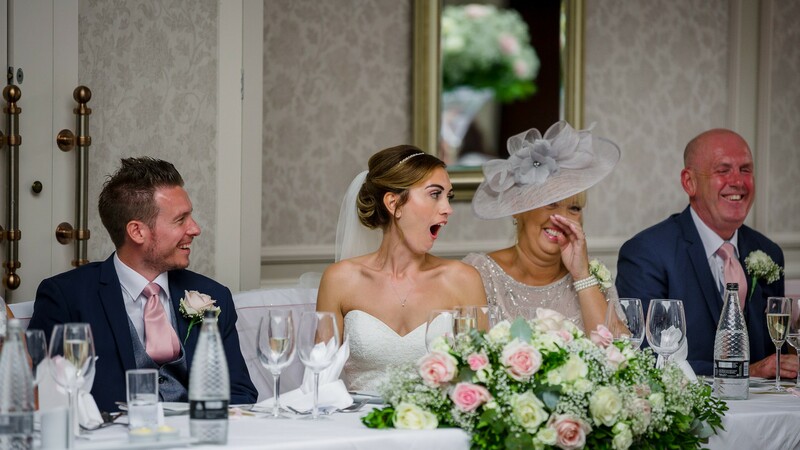 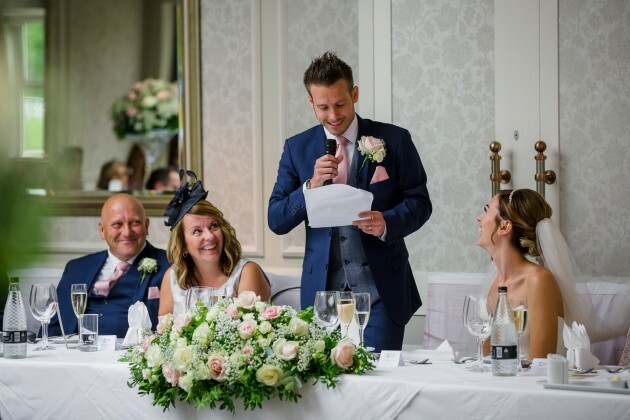 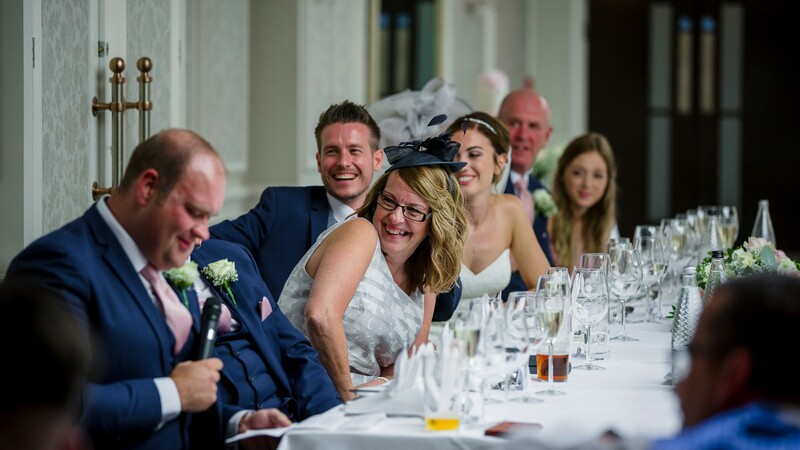 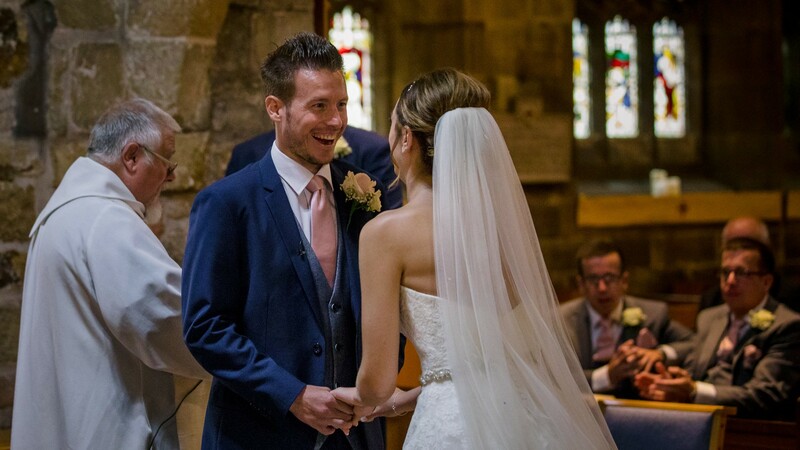 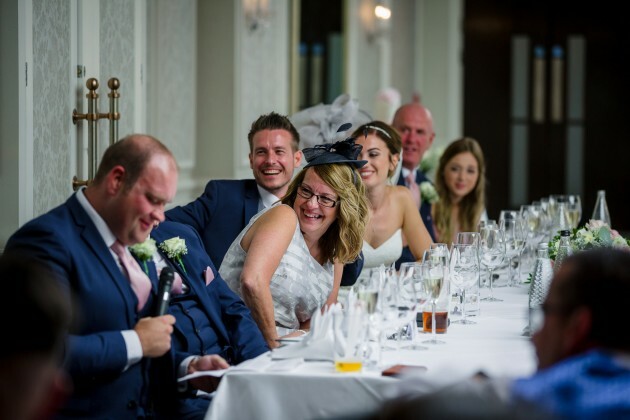 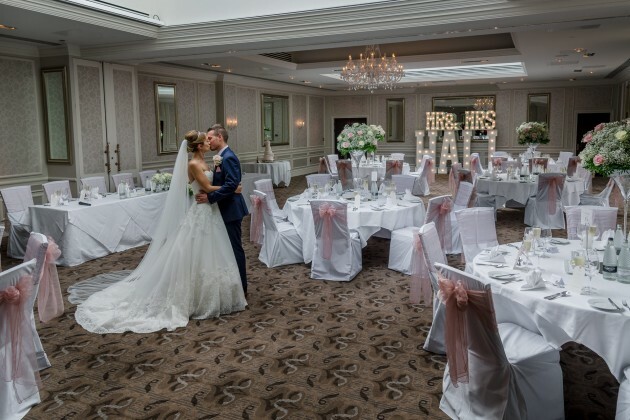 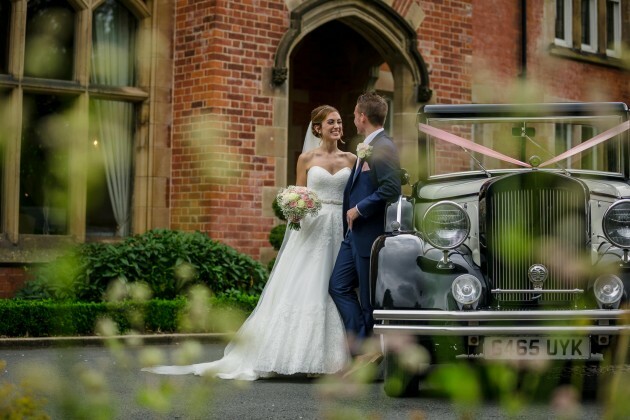 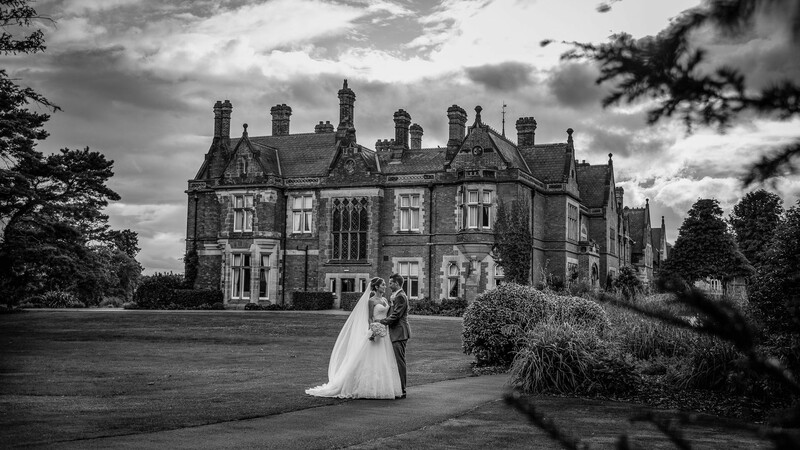 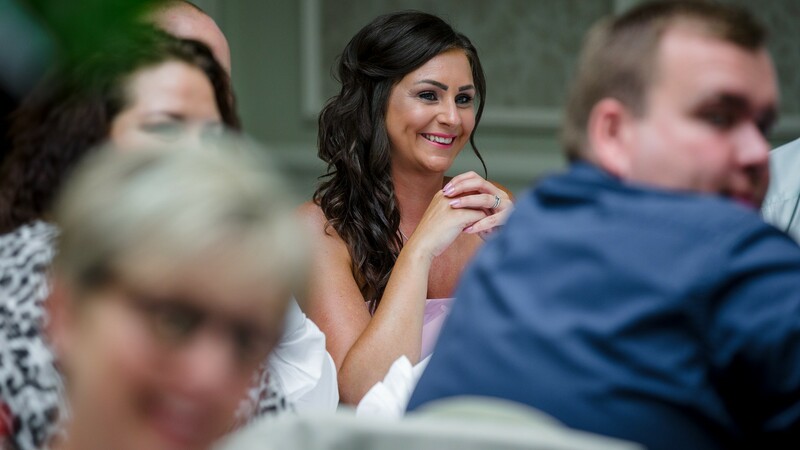 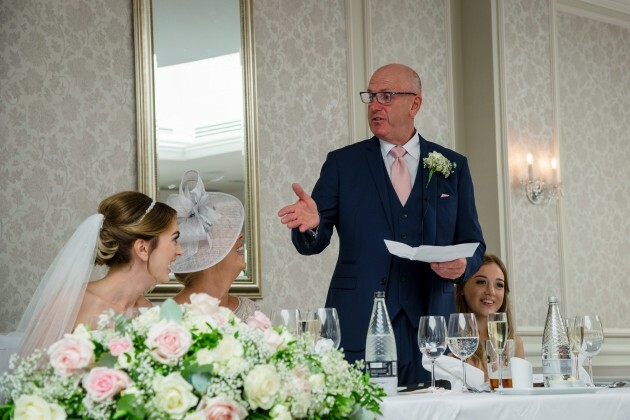 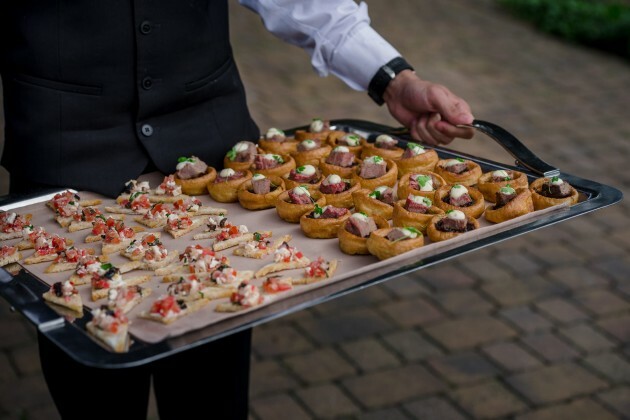 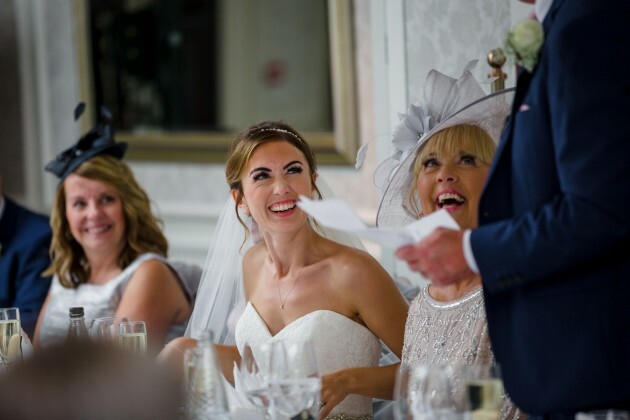 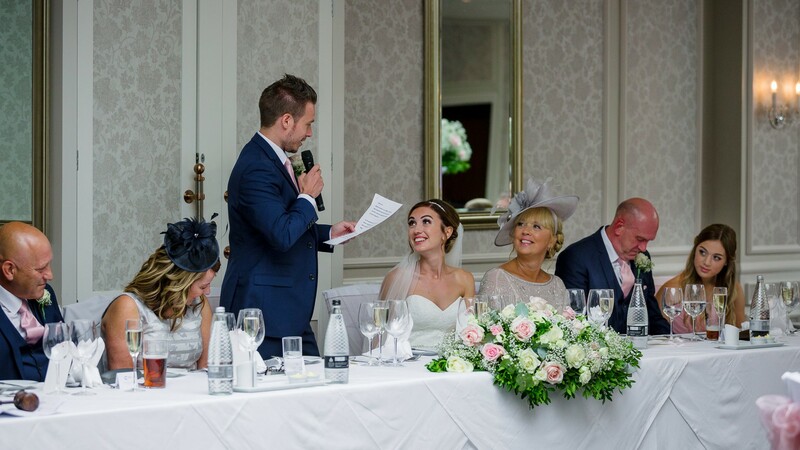 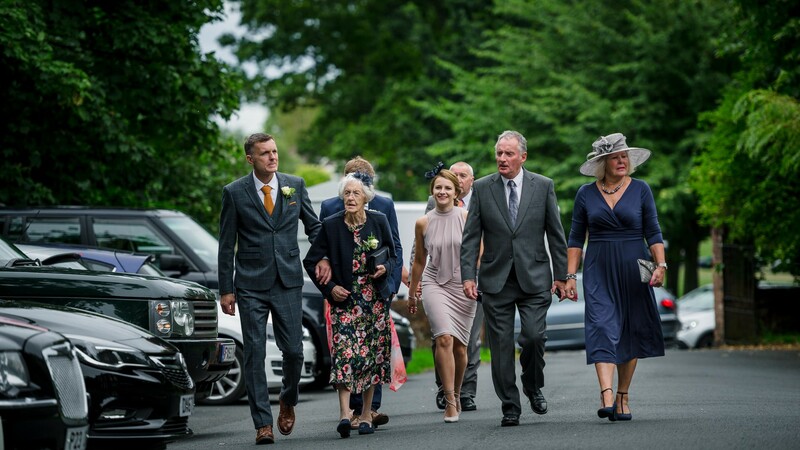 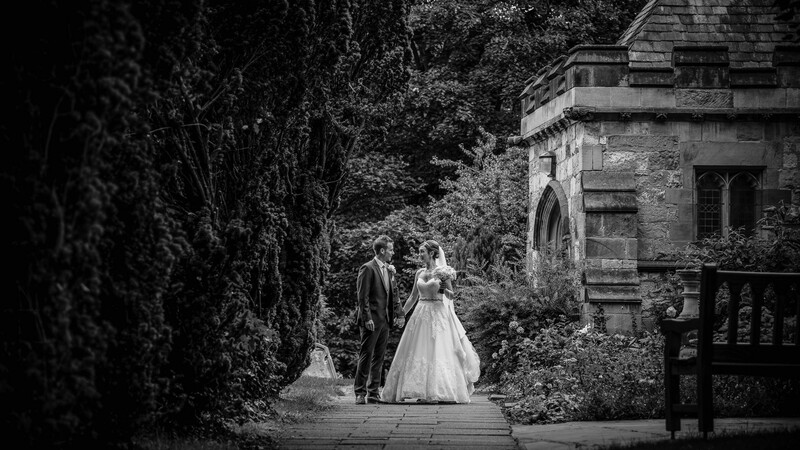 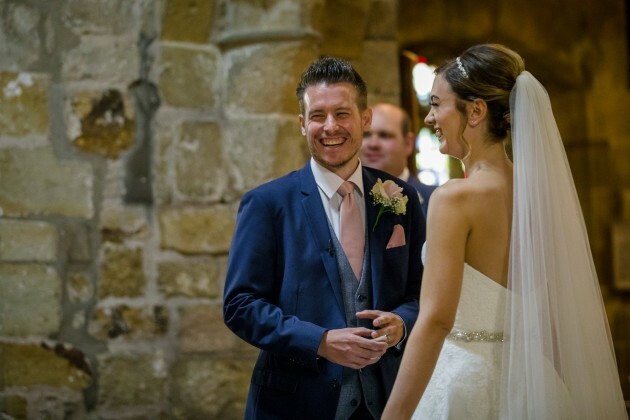 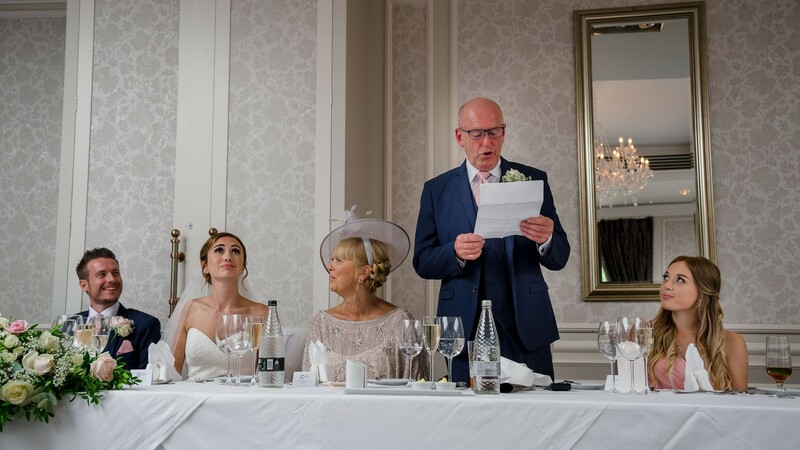 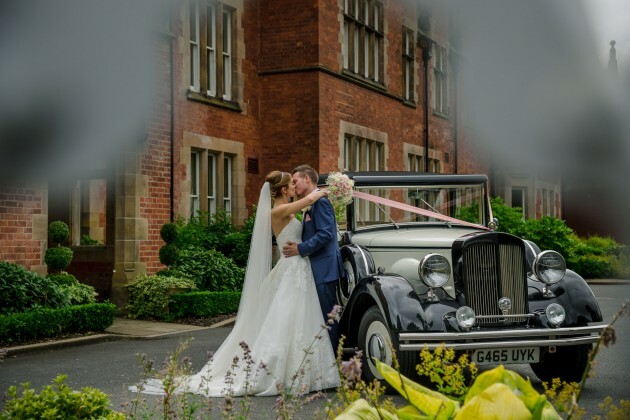 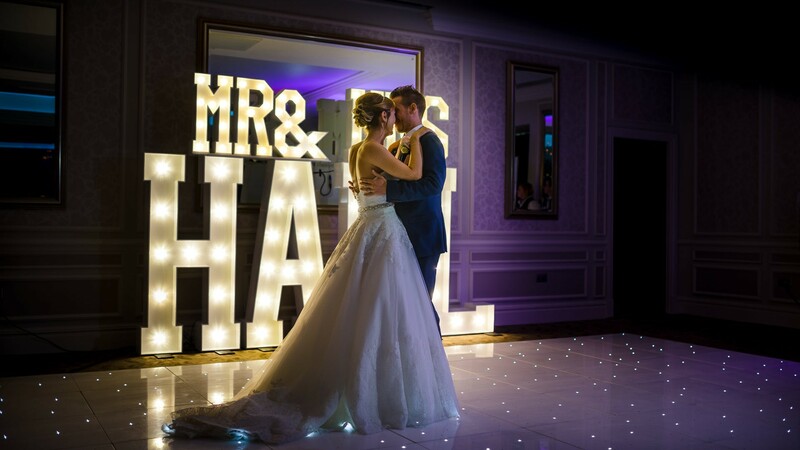 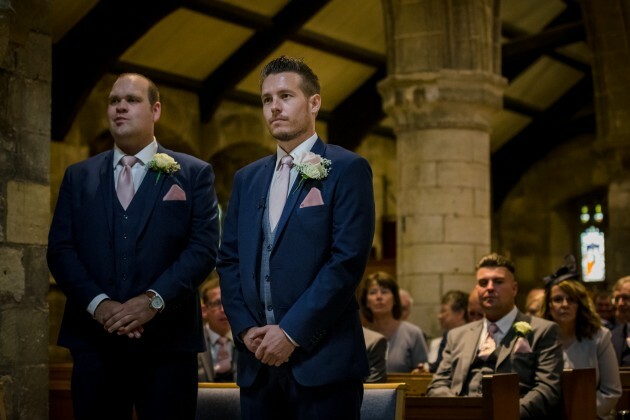 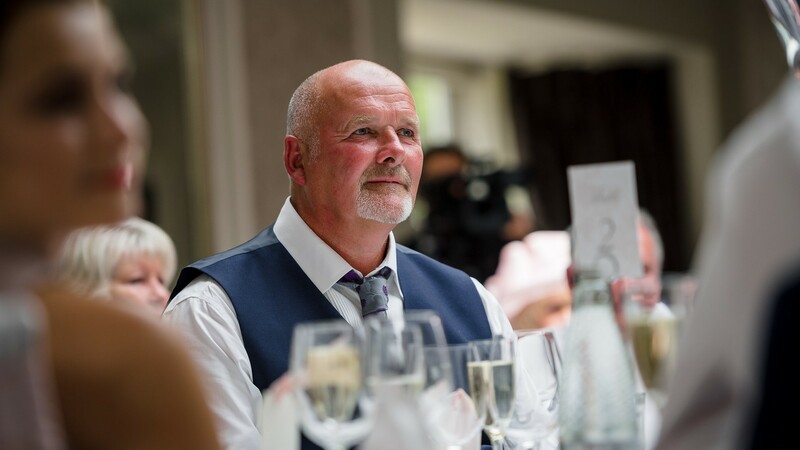 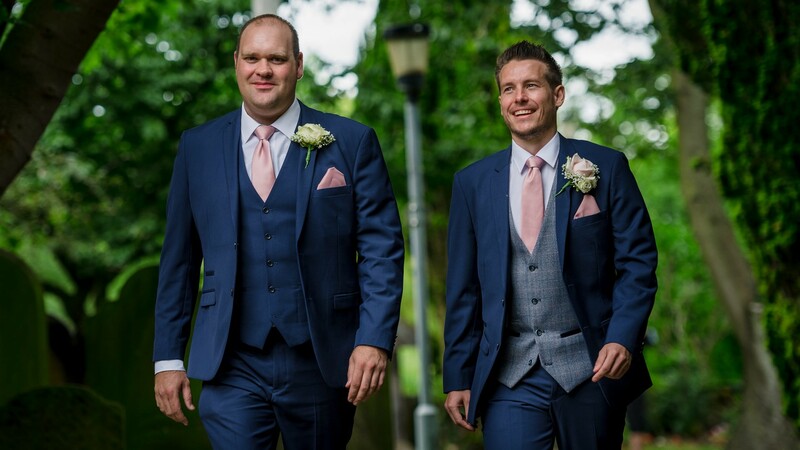 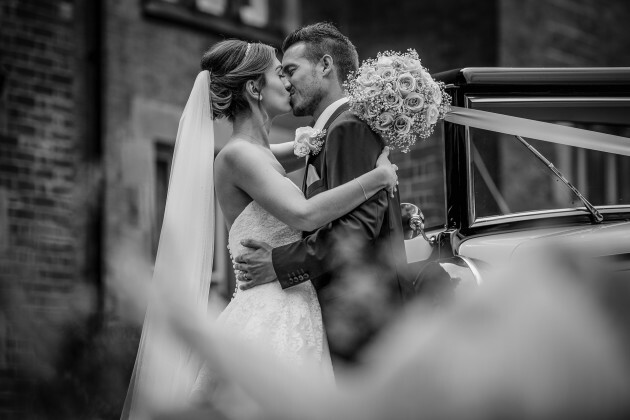 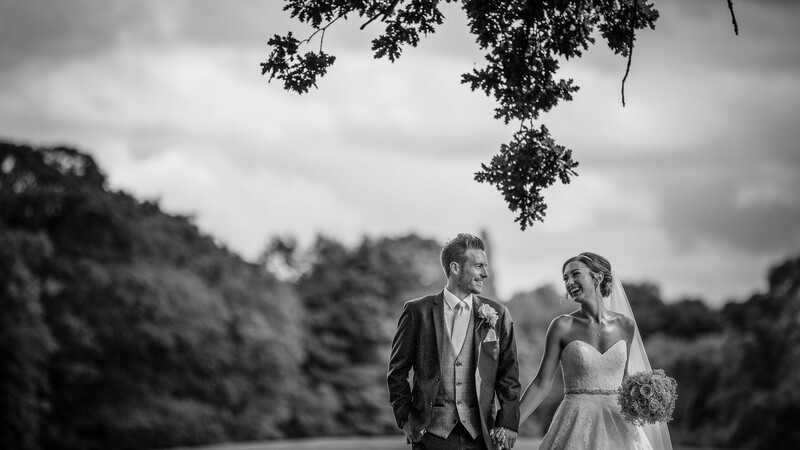 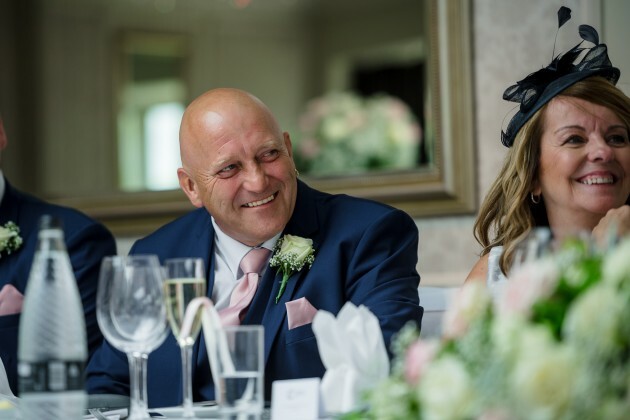 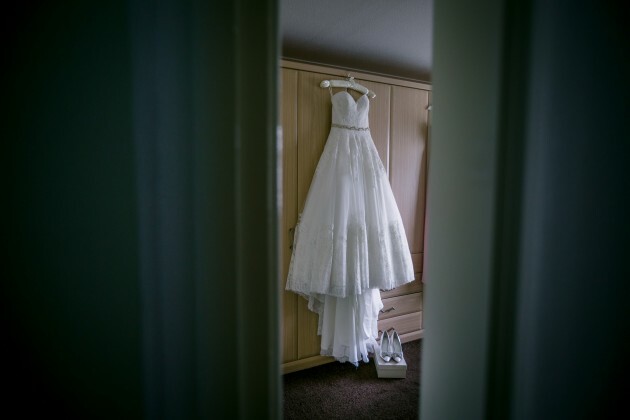 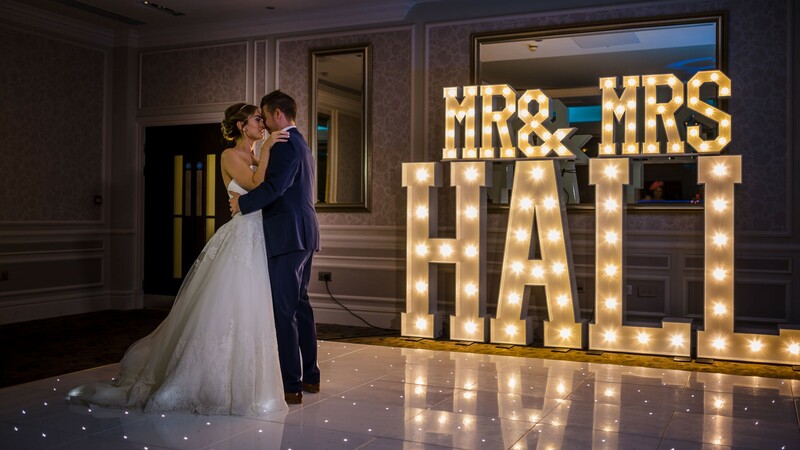 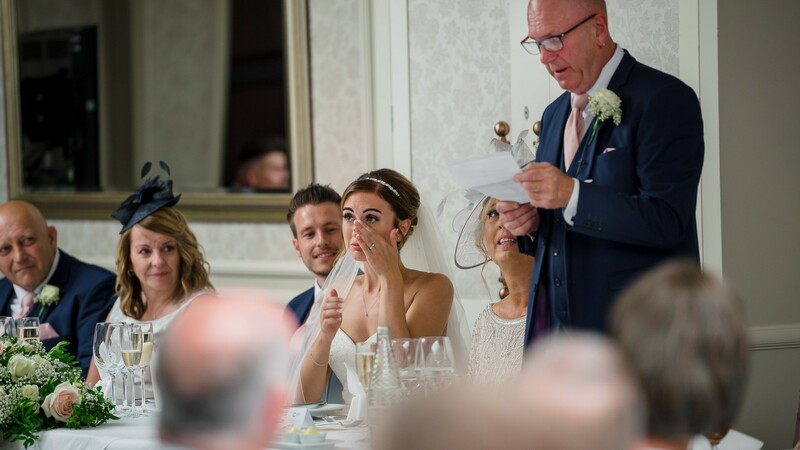 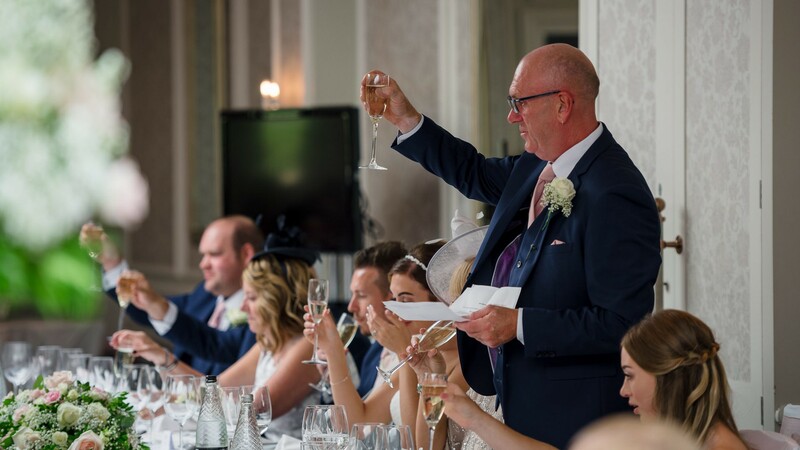 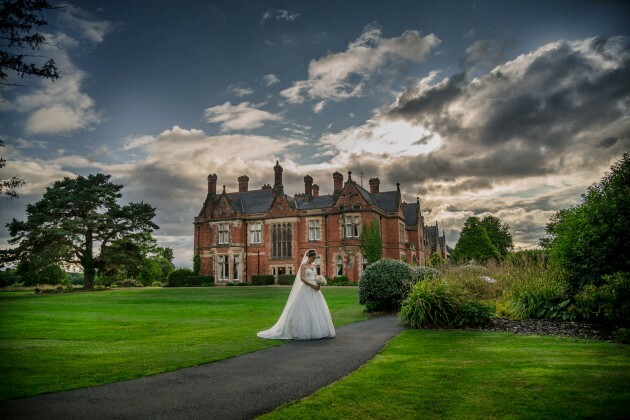 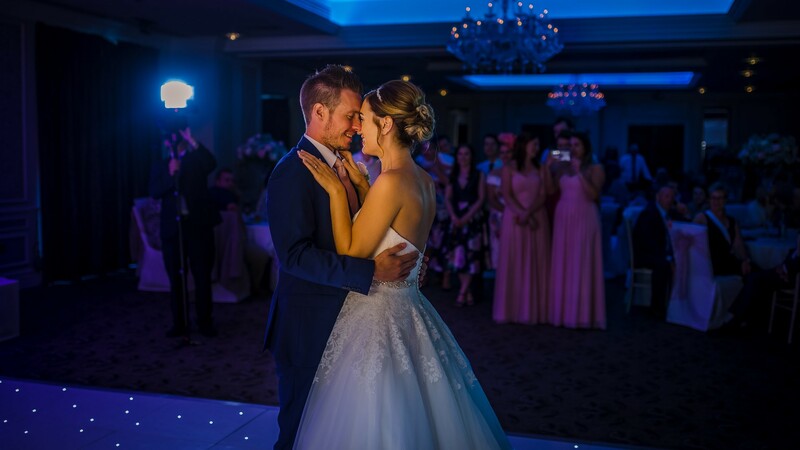 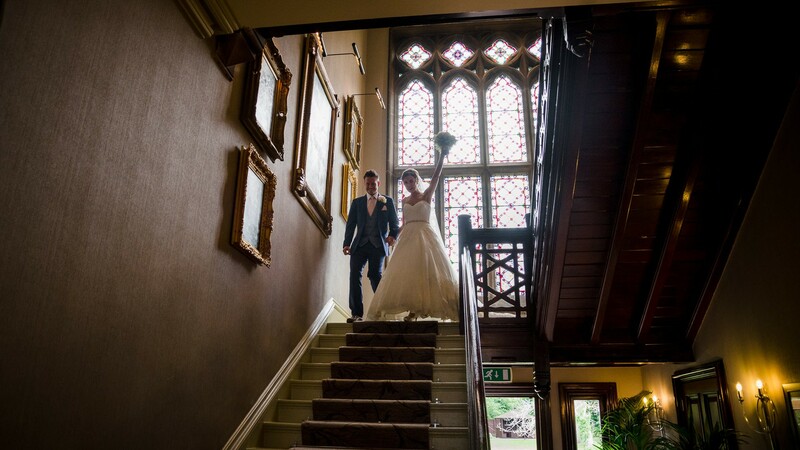 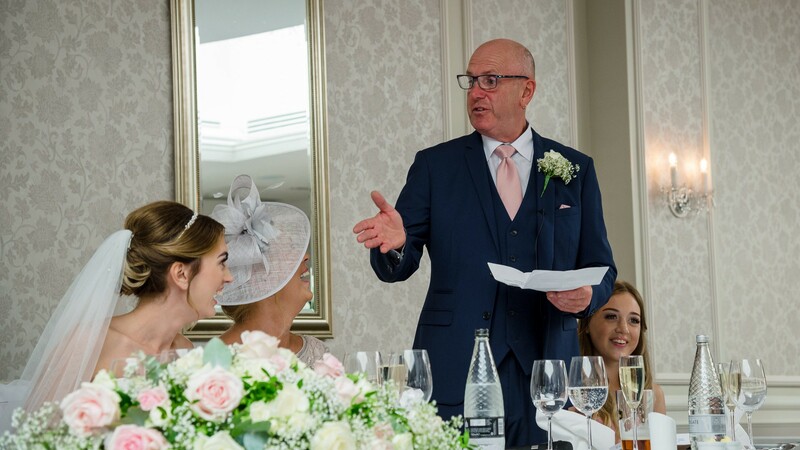 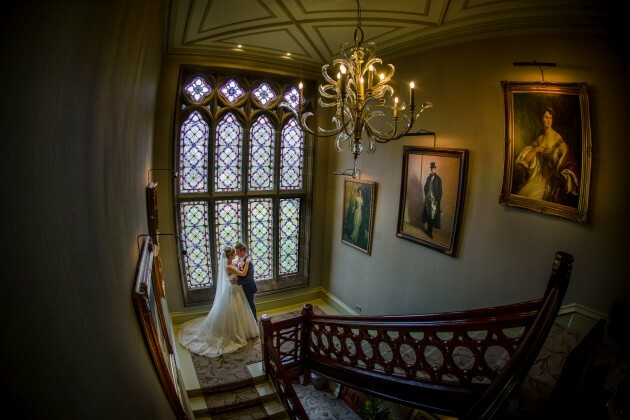 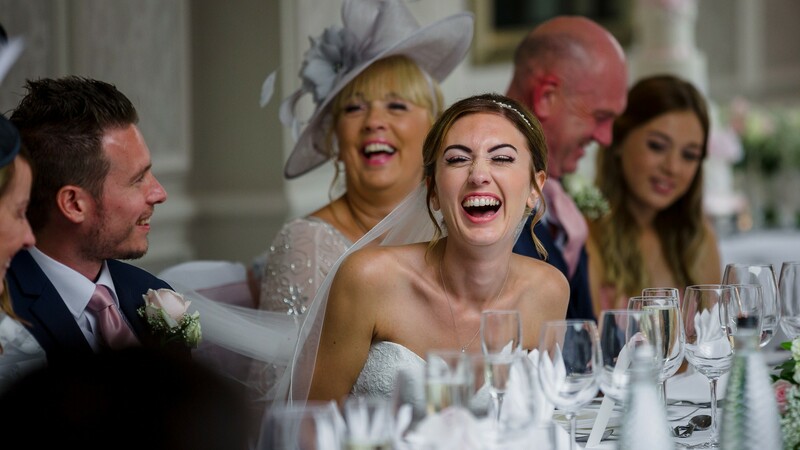 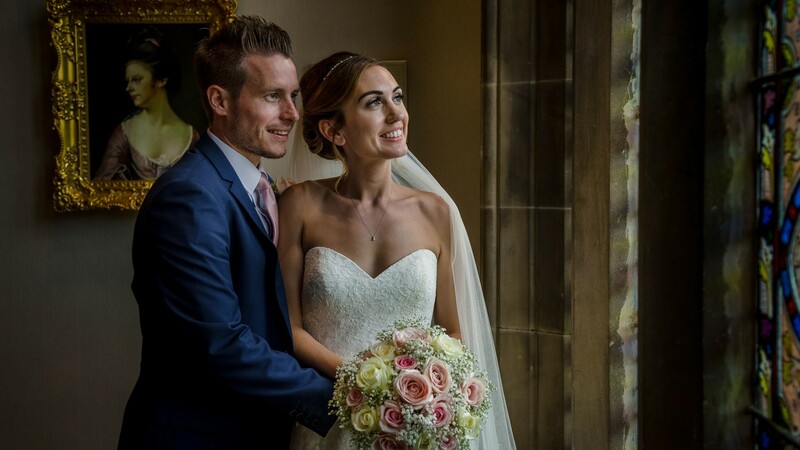 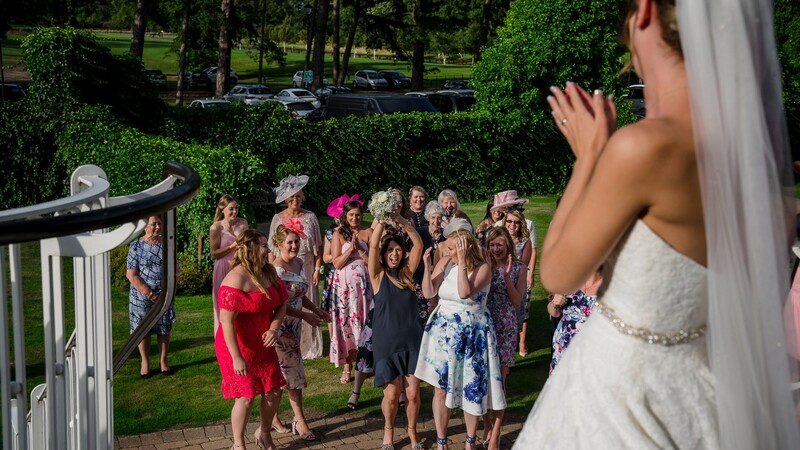 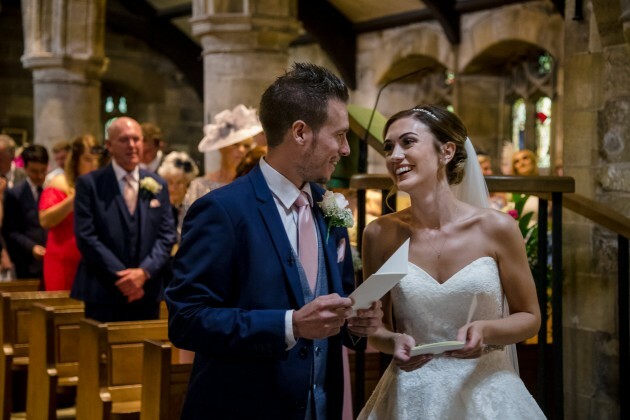 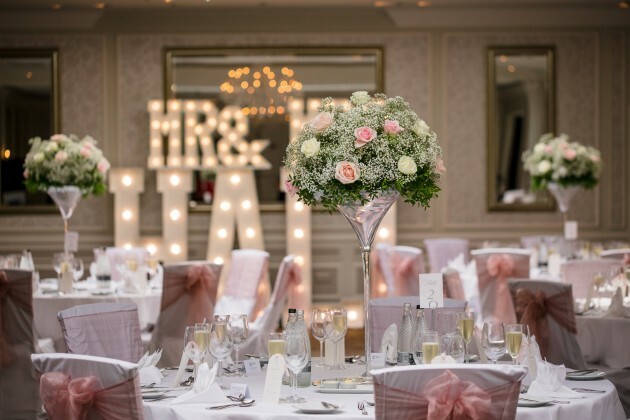 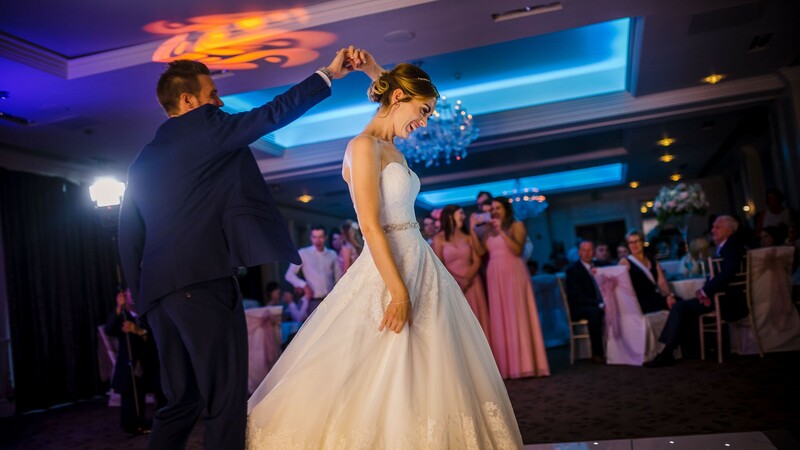 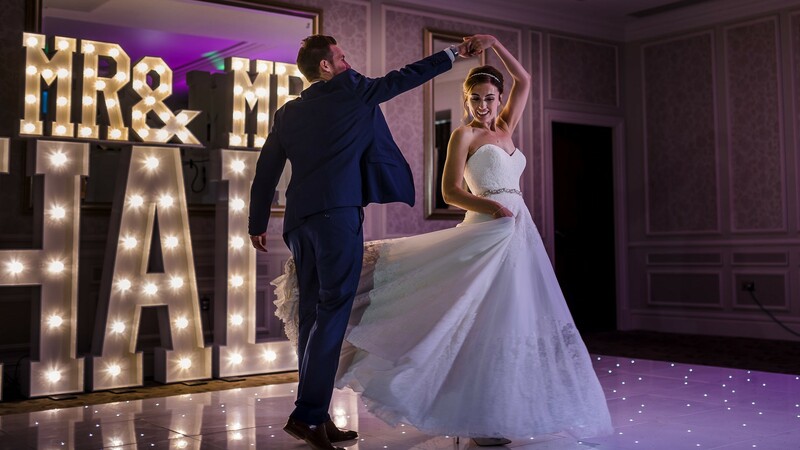 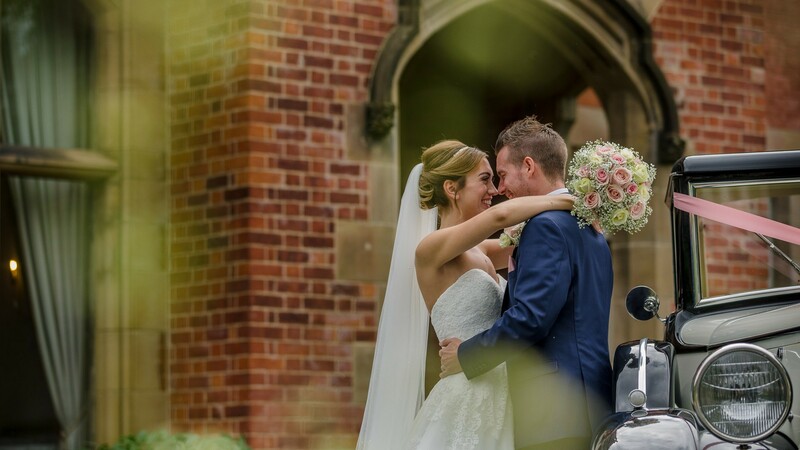 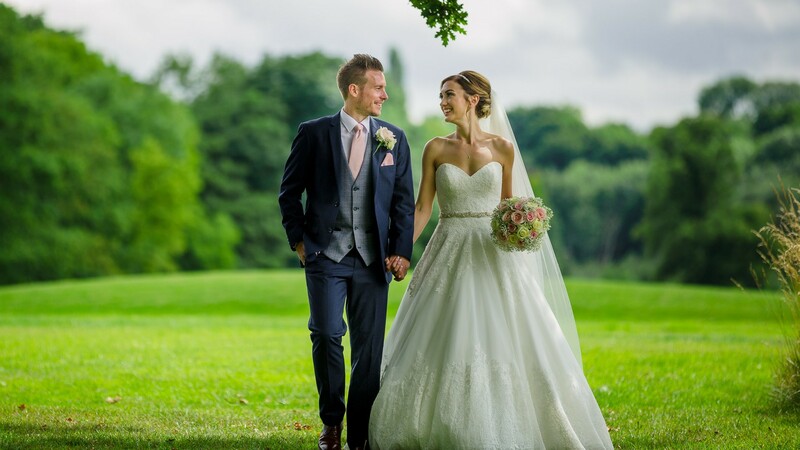 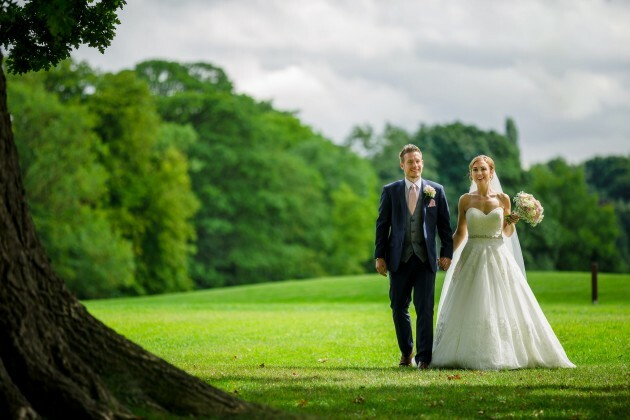 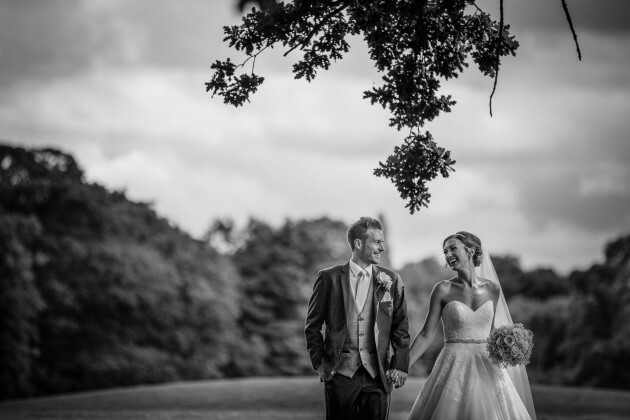 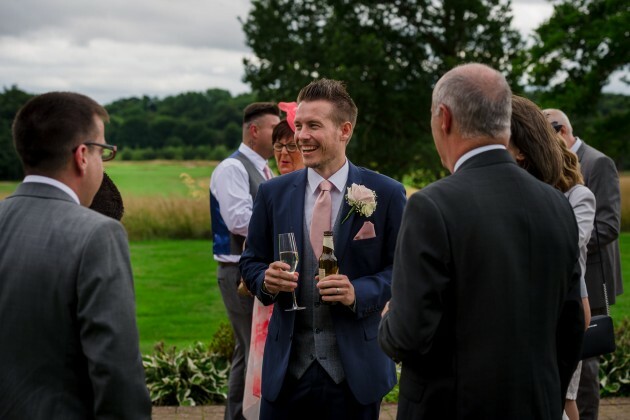 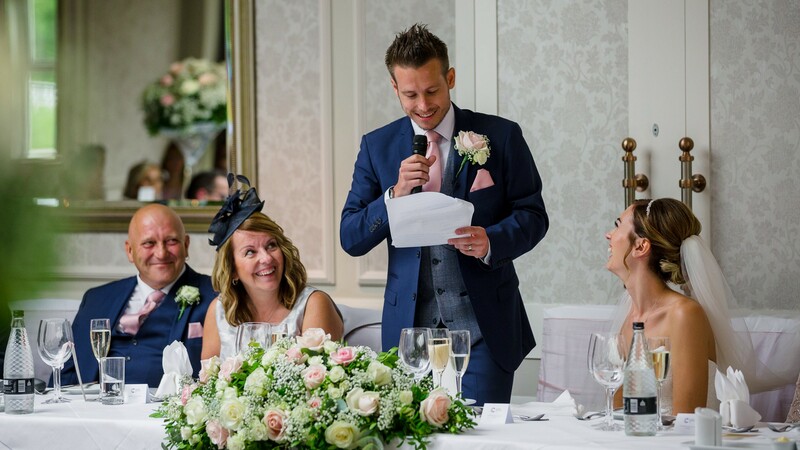 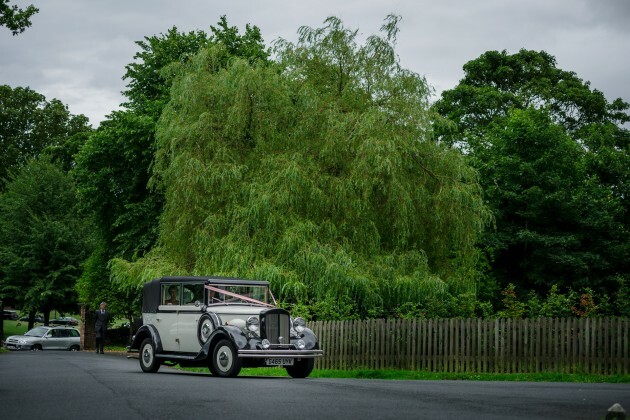 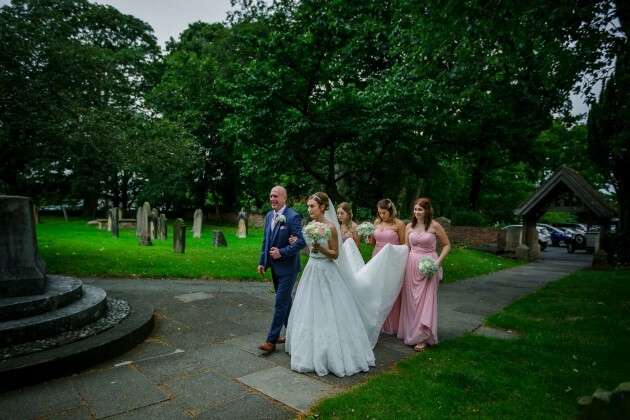 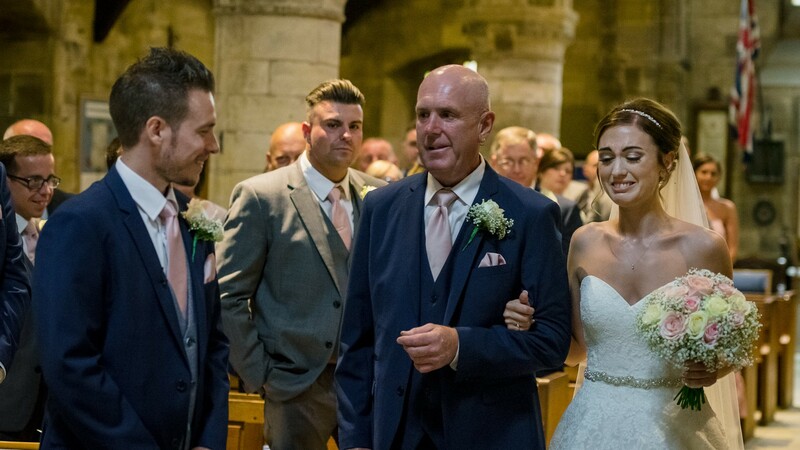 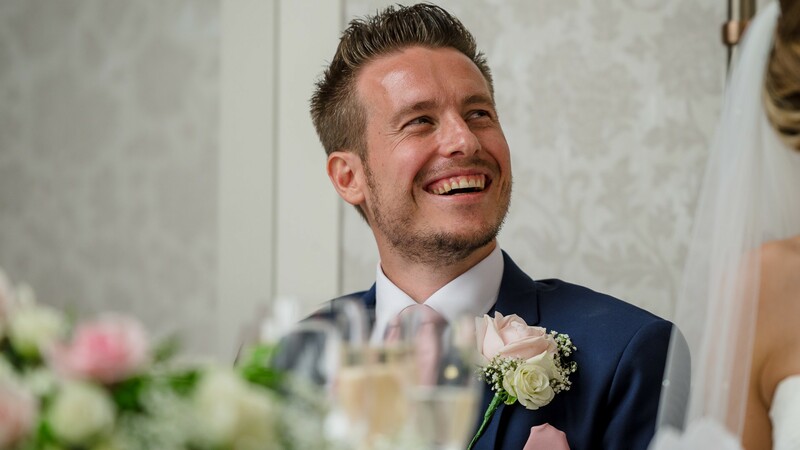 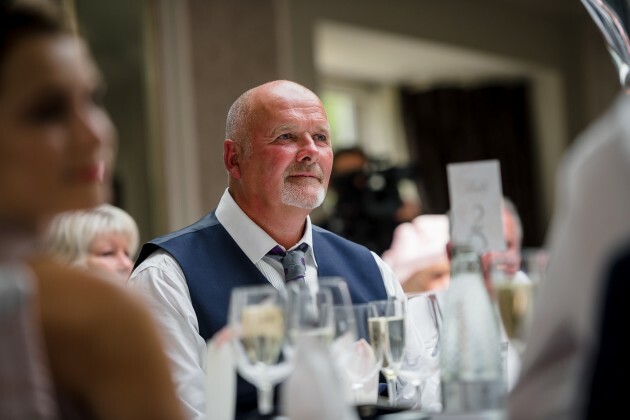 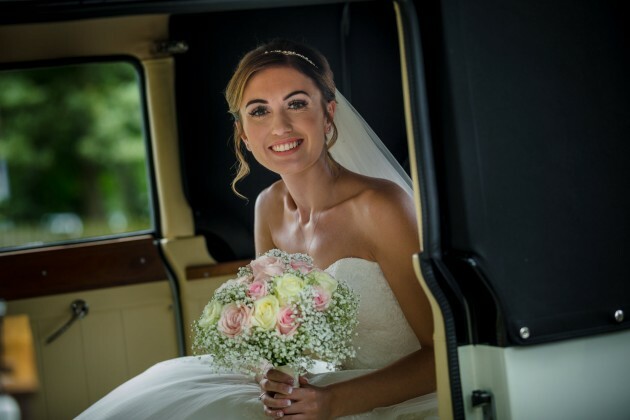 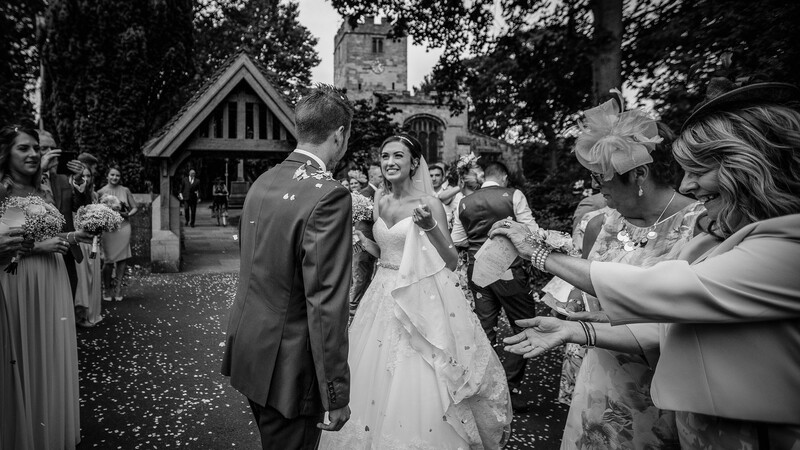 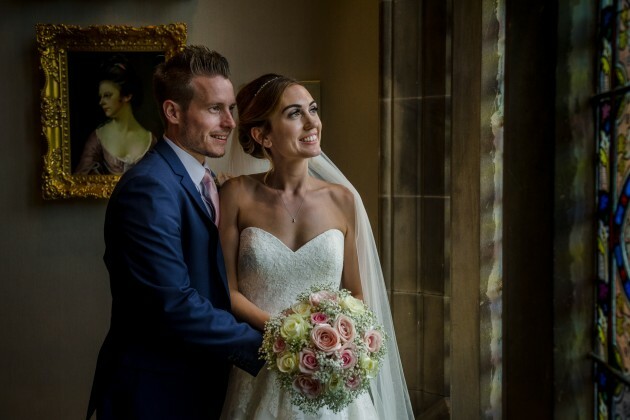 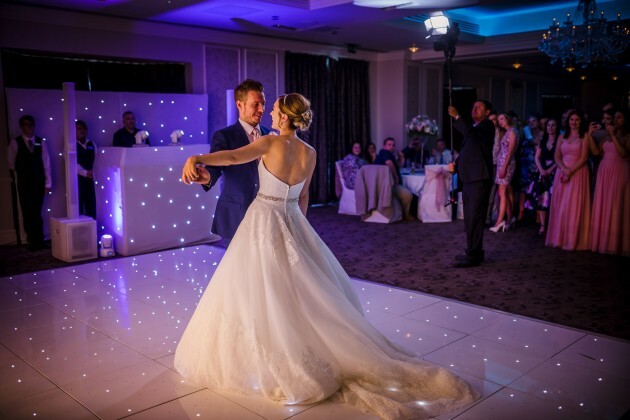 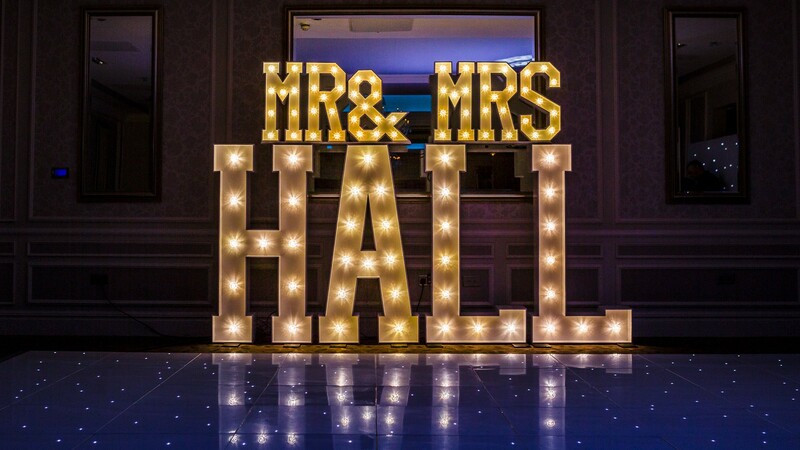 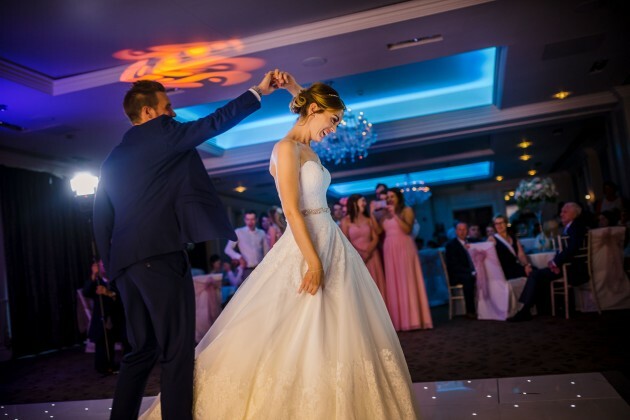 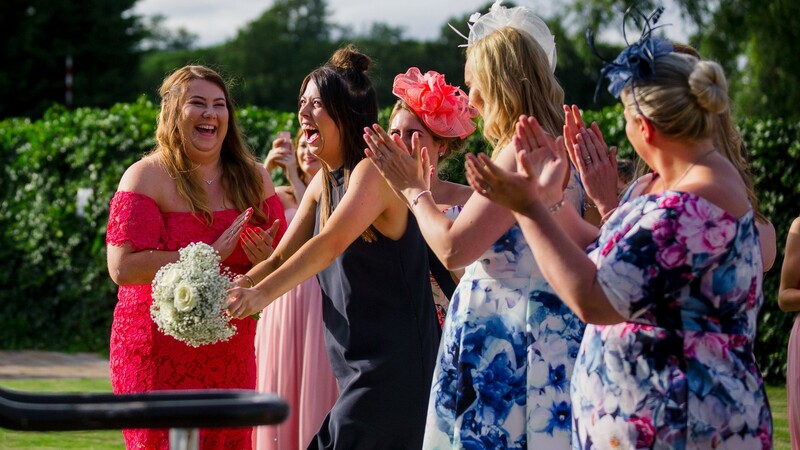 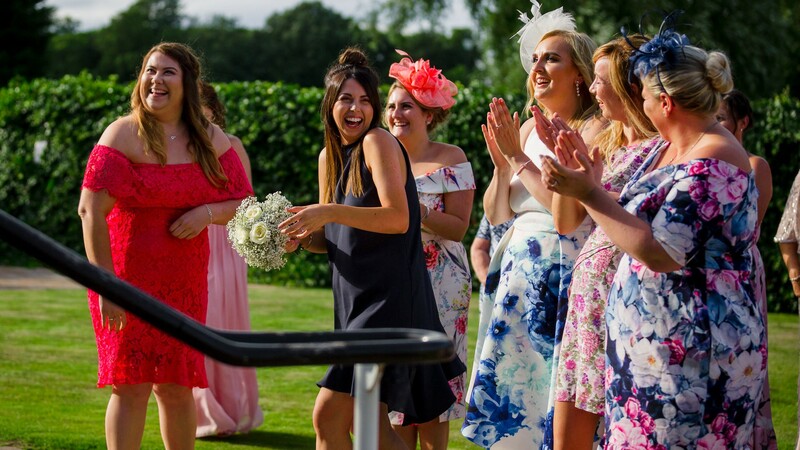 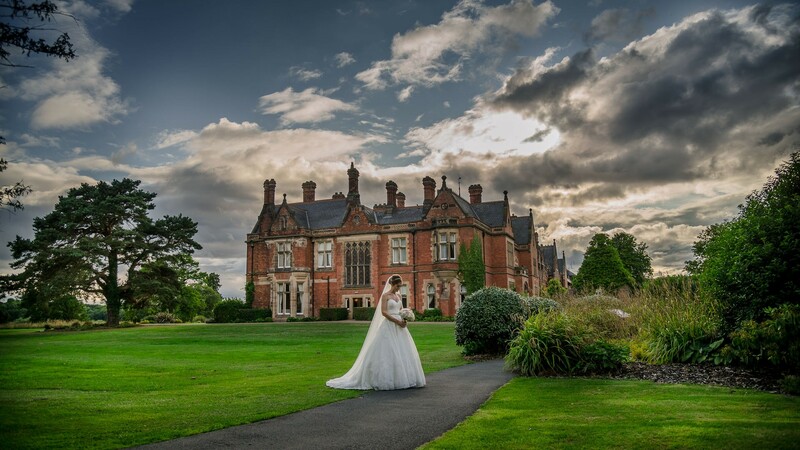 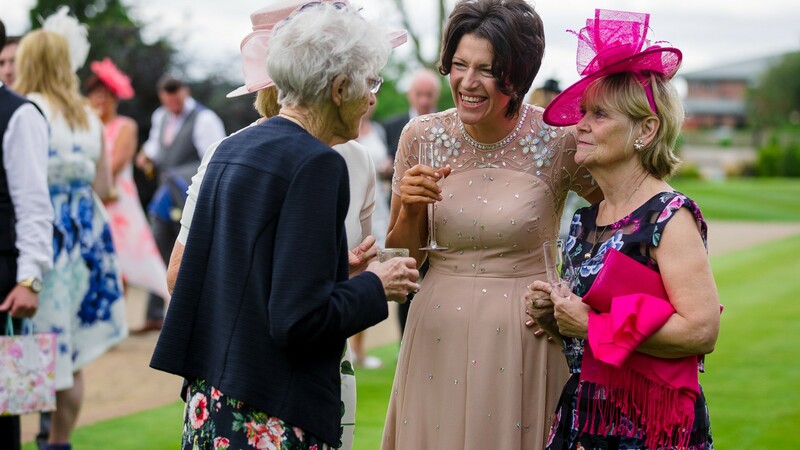 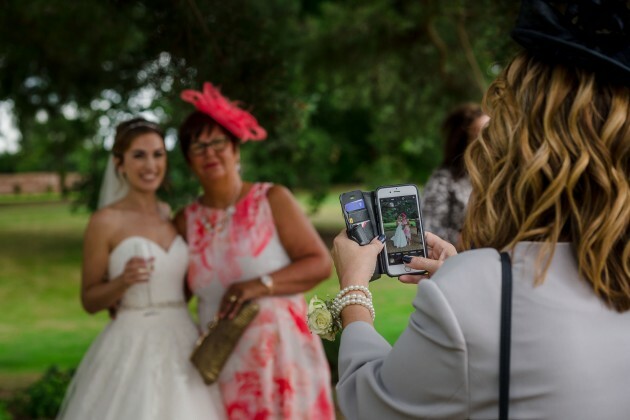 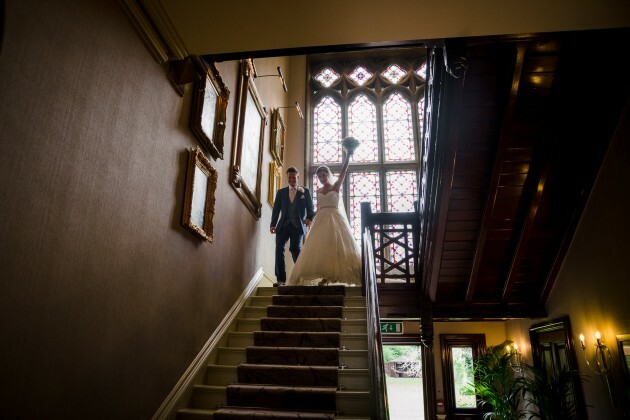 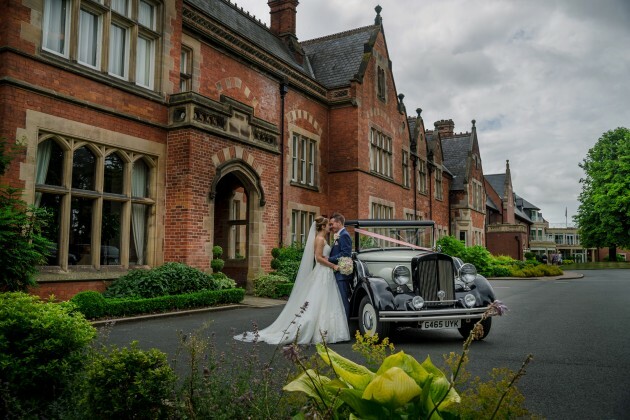 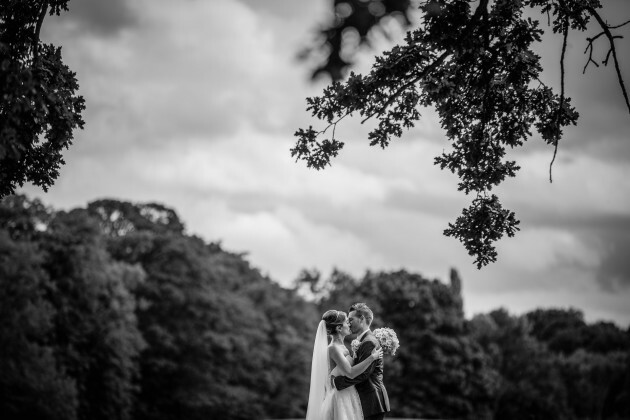 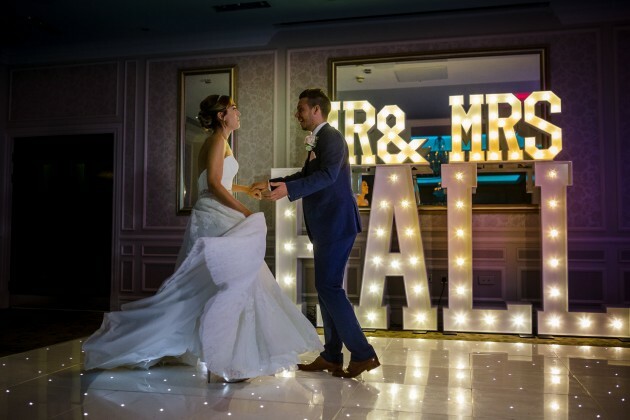 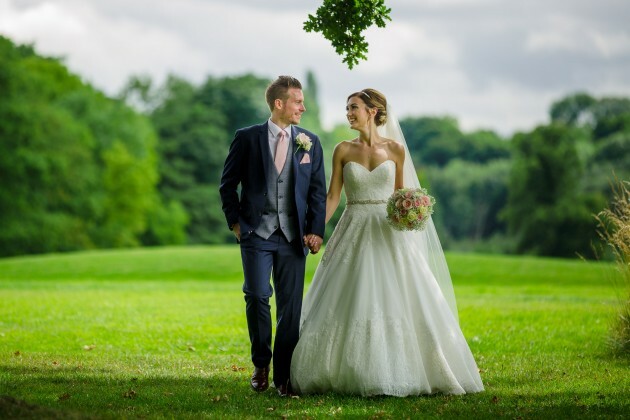 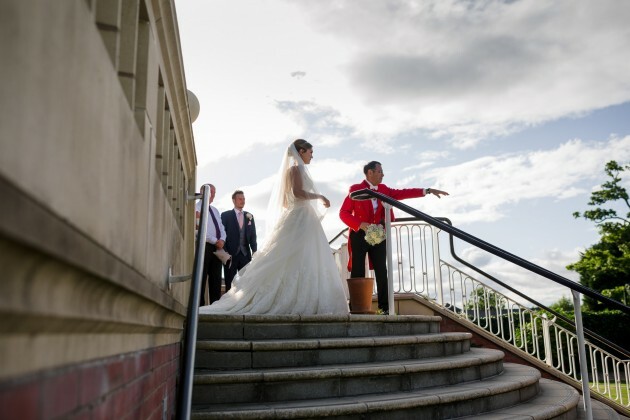 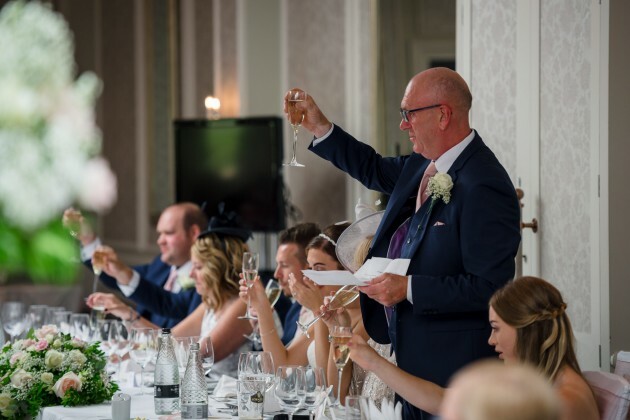 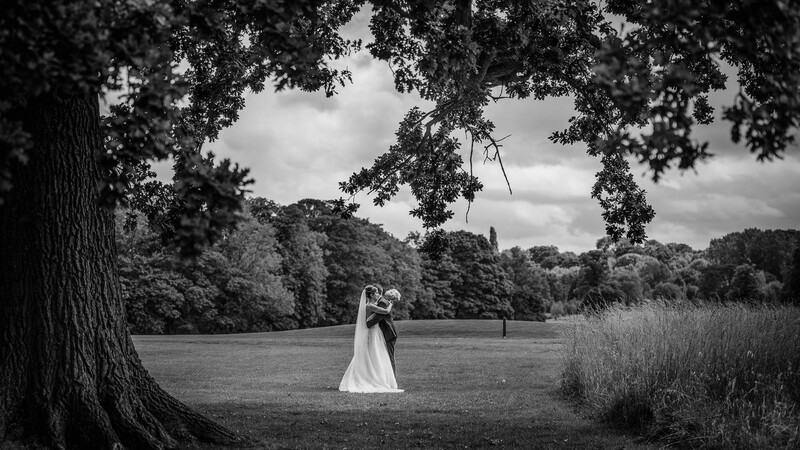 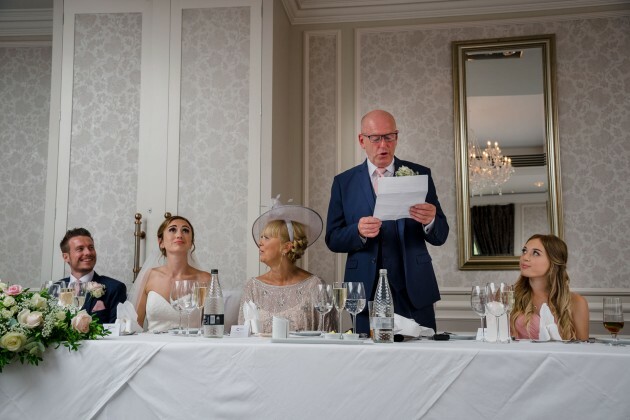 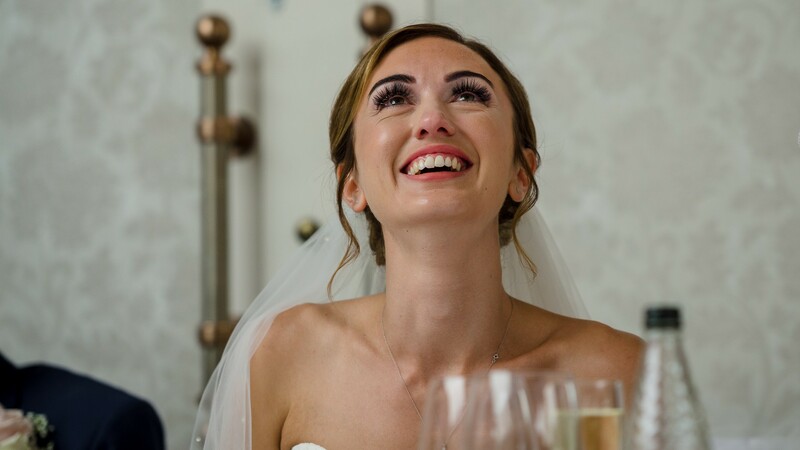 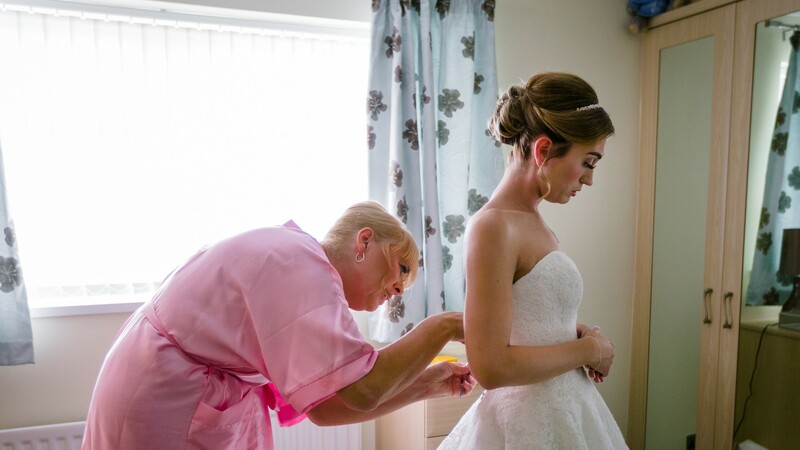 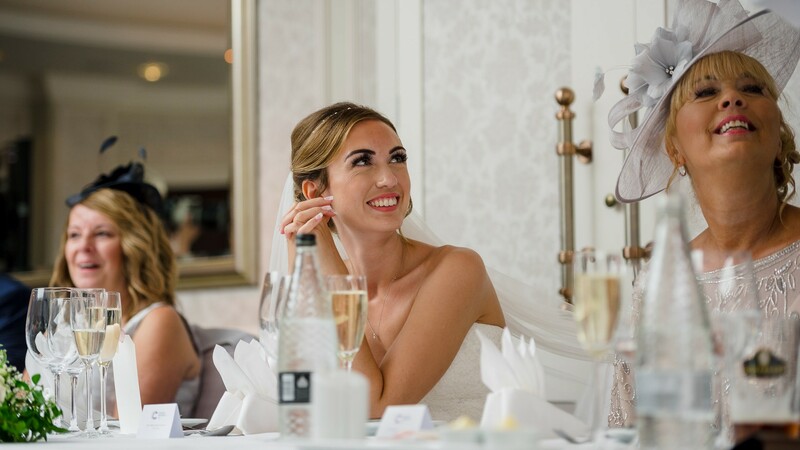 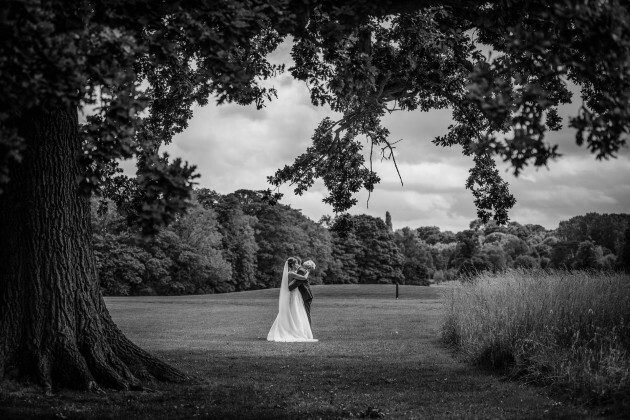 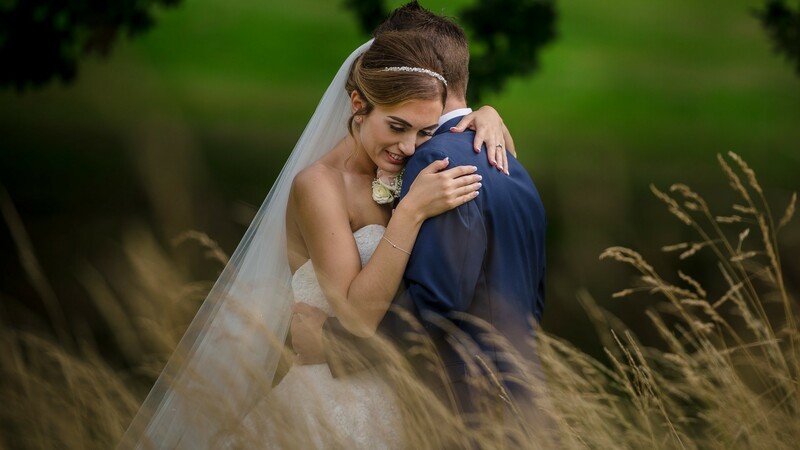 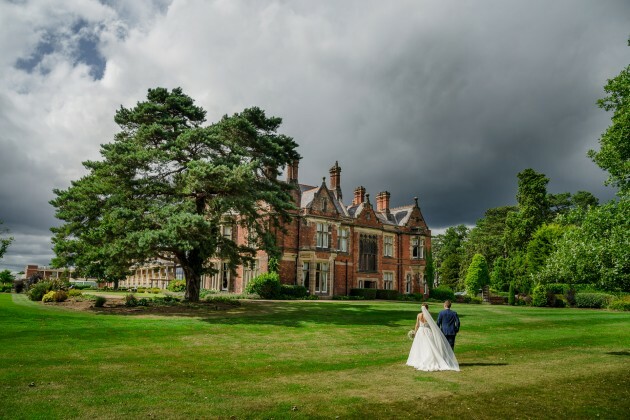 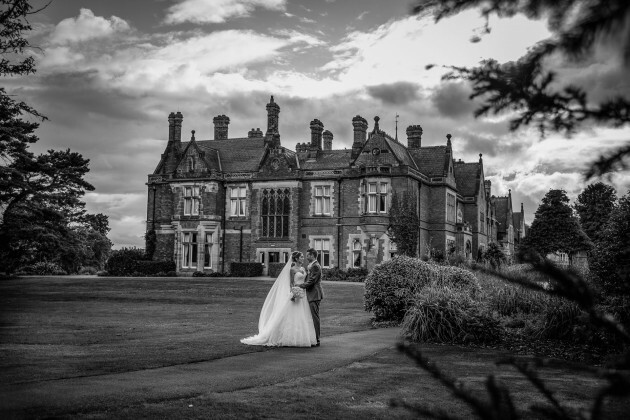 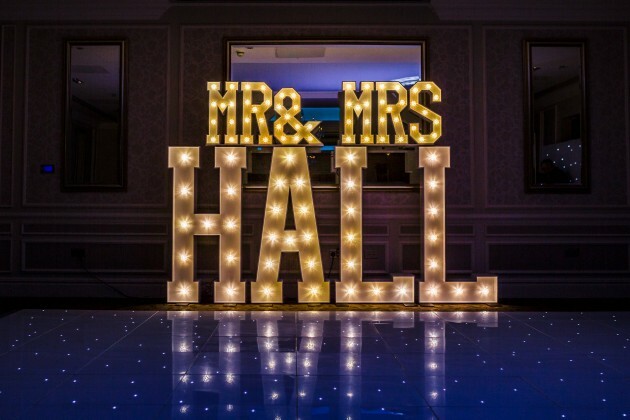 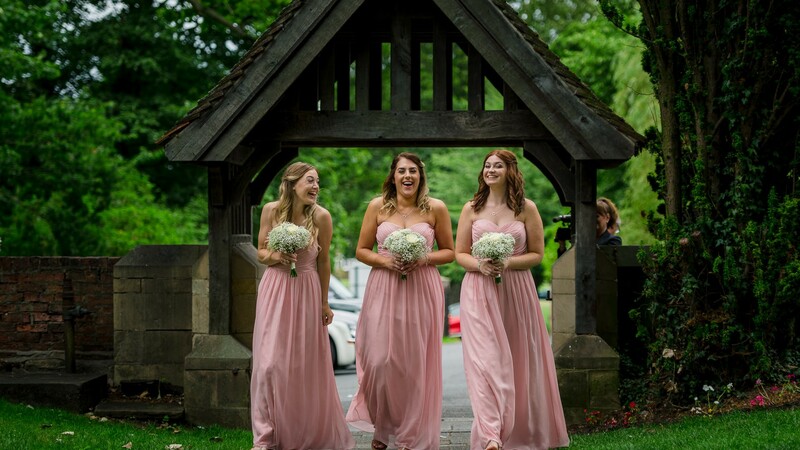 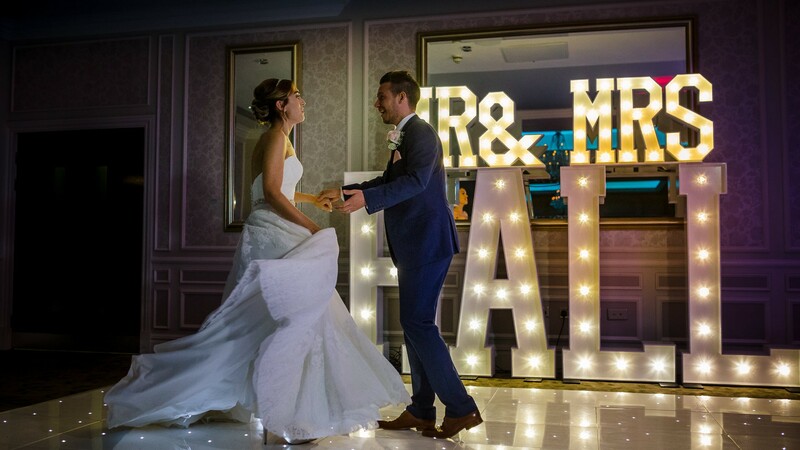 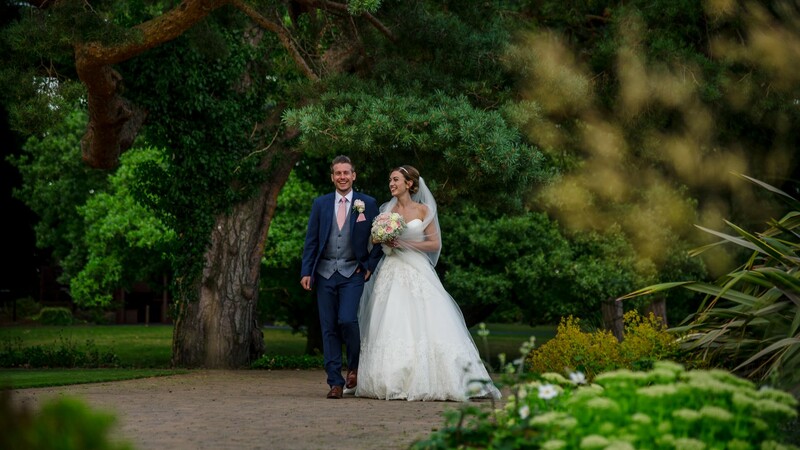 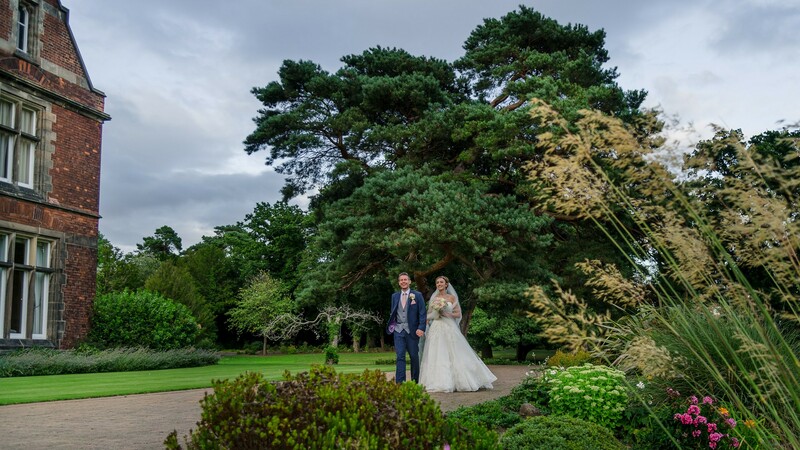 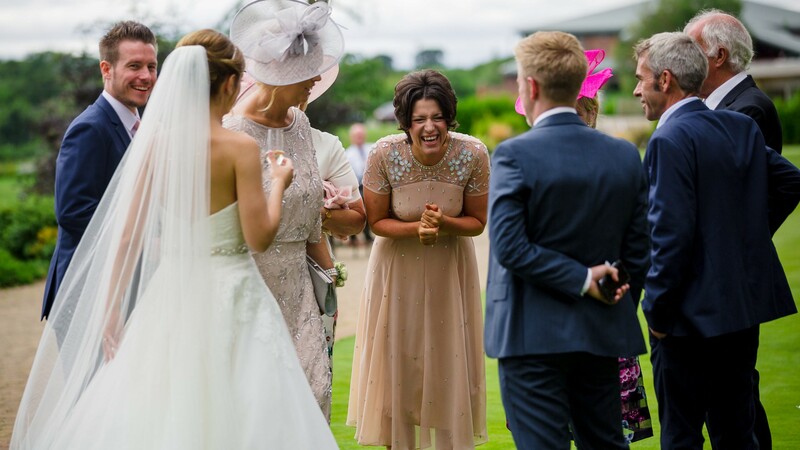 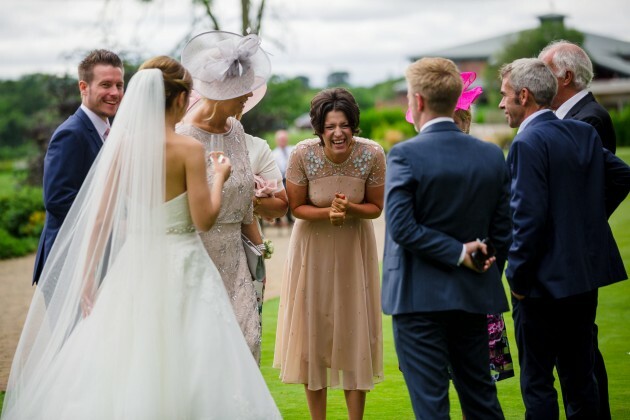 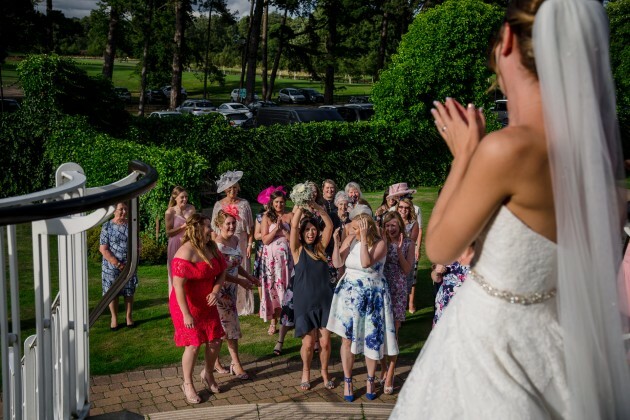 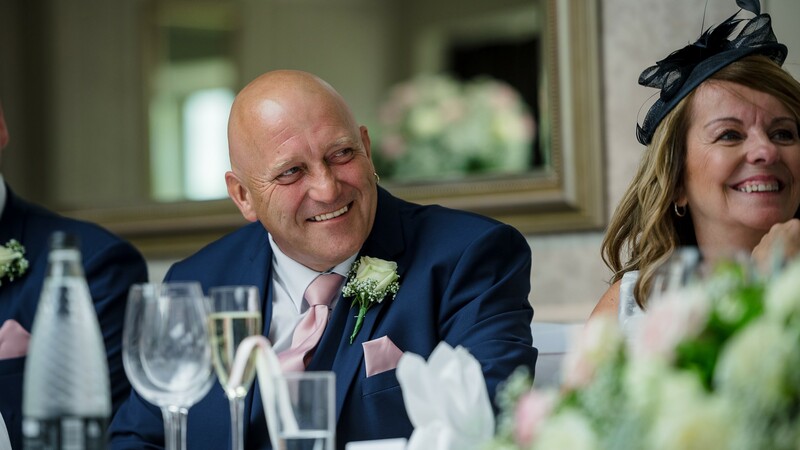 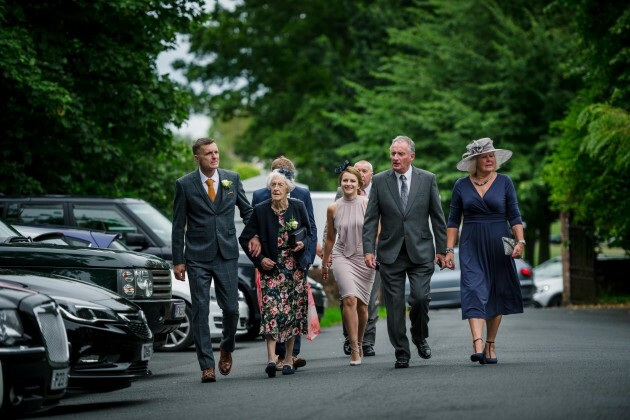 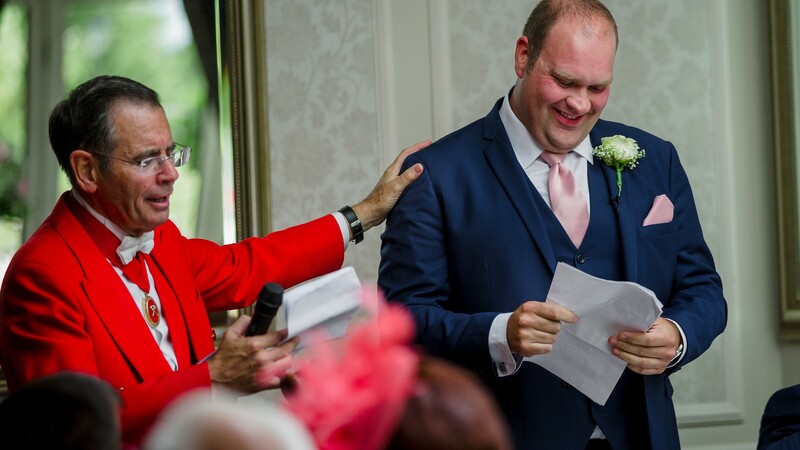 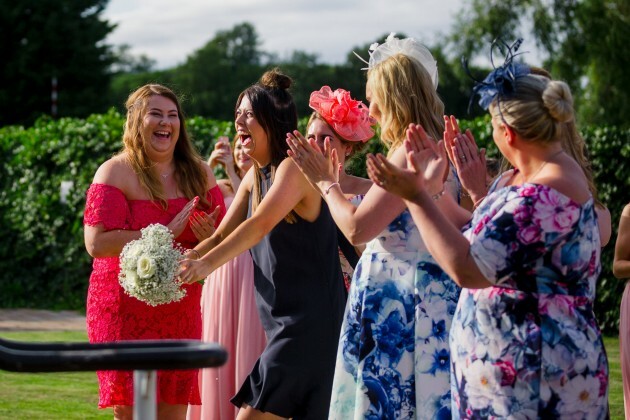 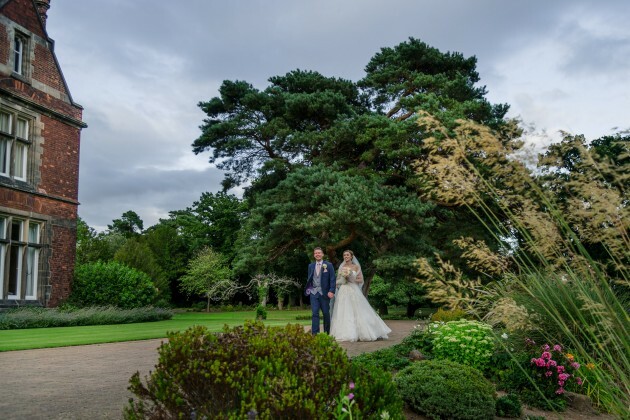 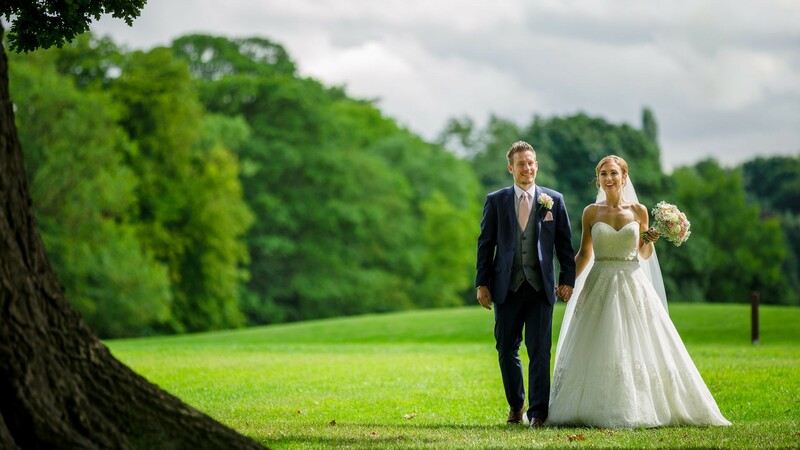 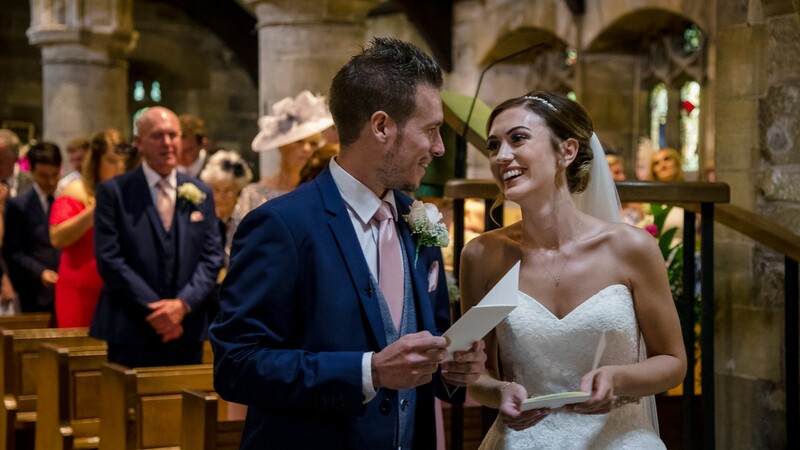 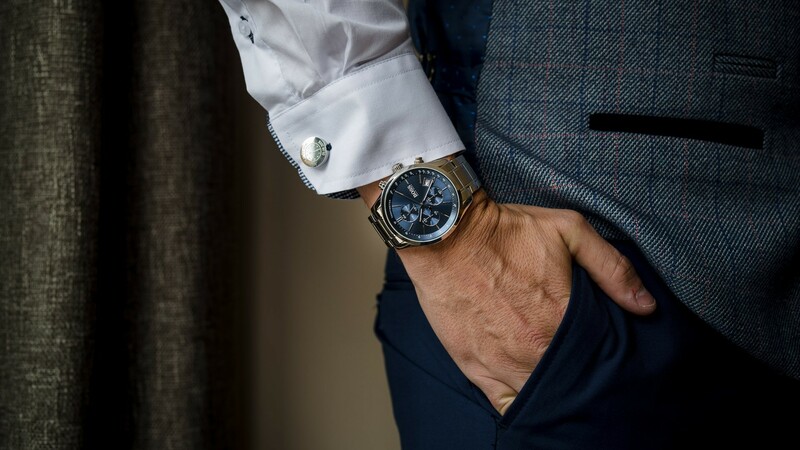 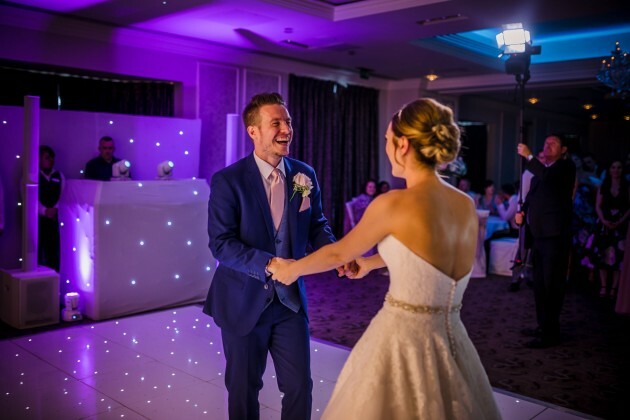 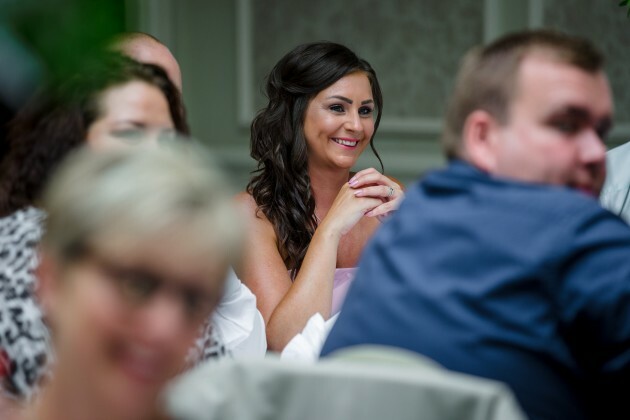 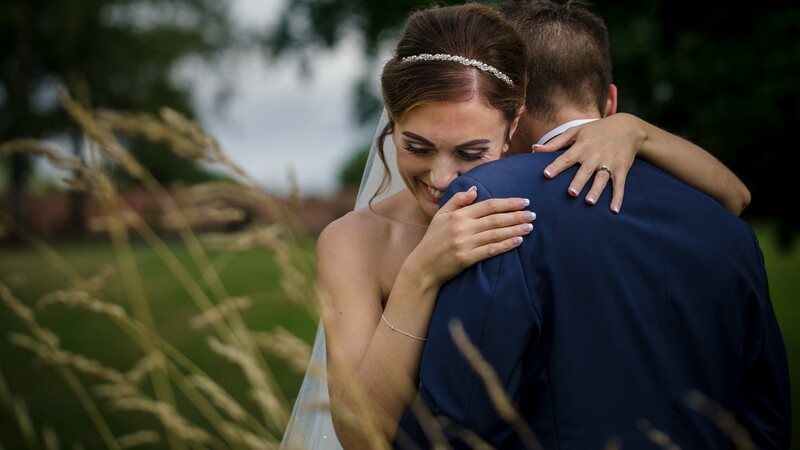 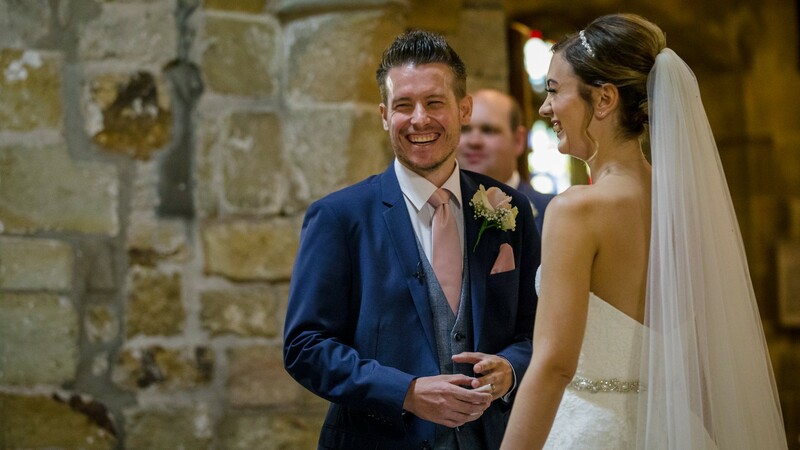 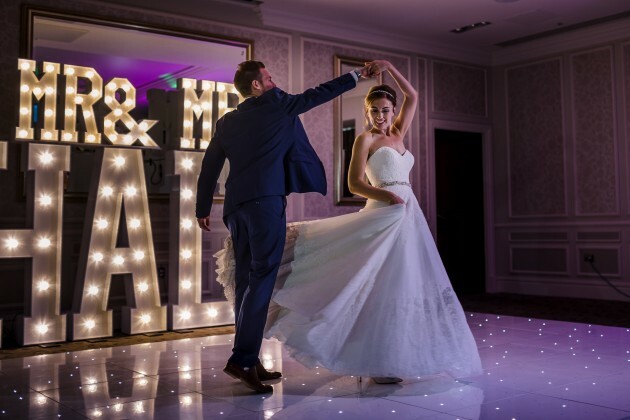 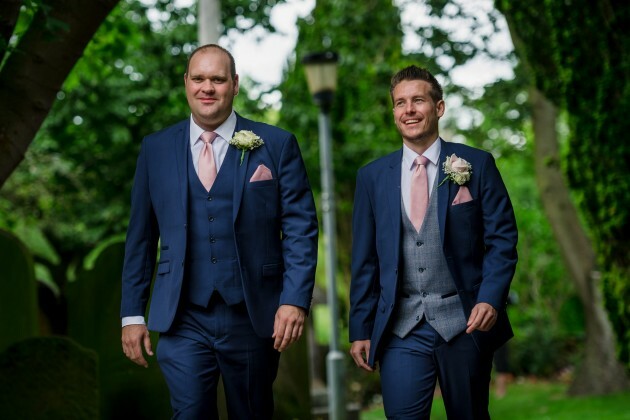 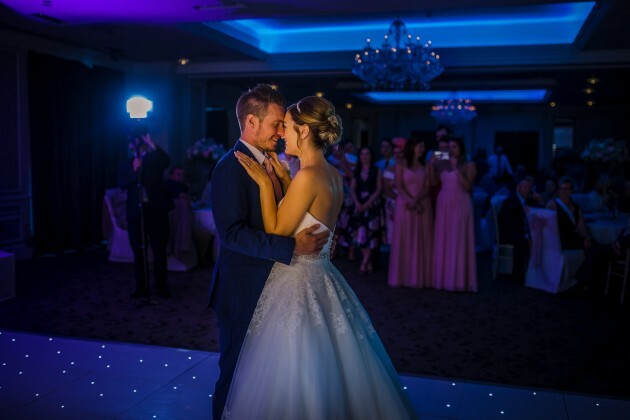 They chosen the five star wedding venue Rockliffe Hall which is set in a quiet corner of the North East countryside, between the villages of Croft and Hurworth on Tees. 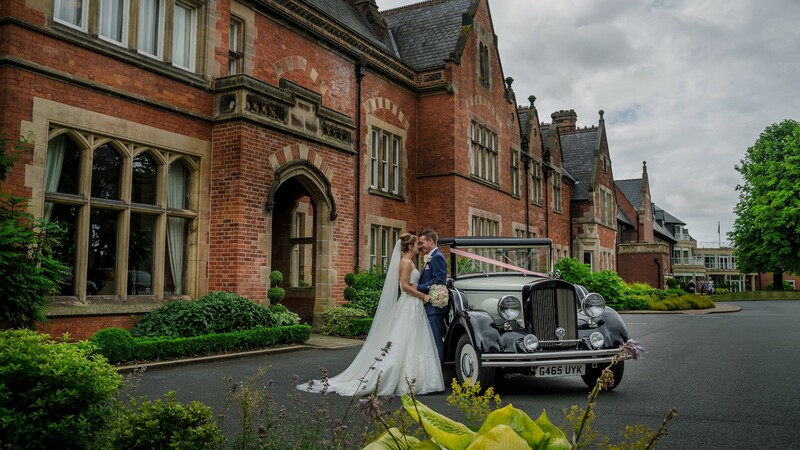 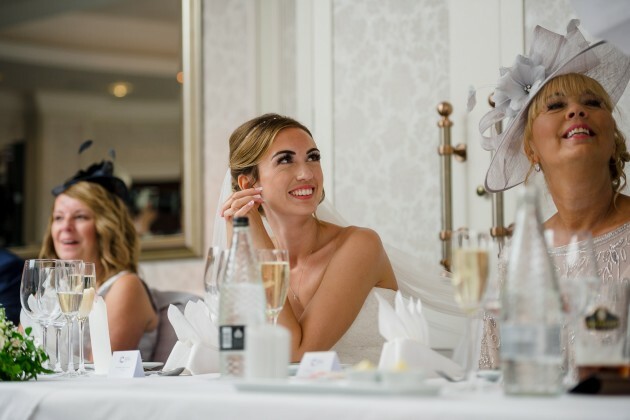 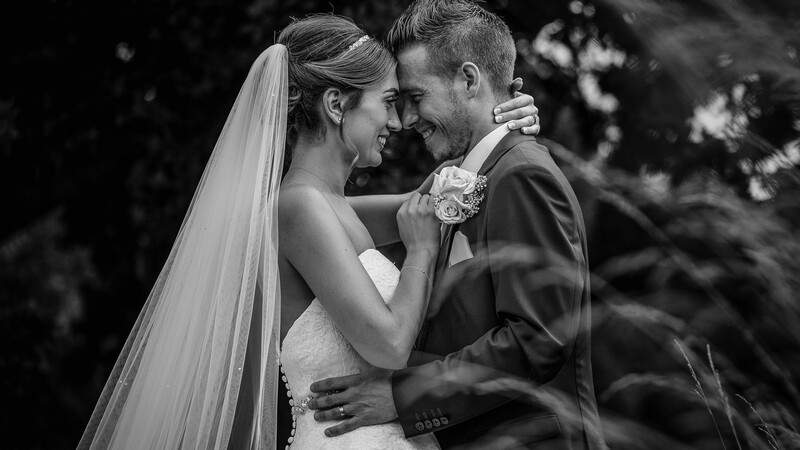 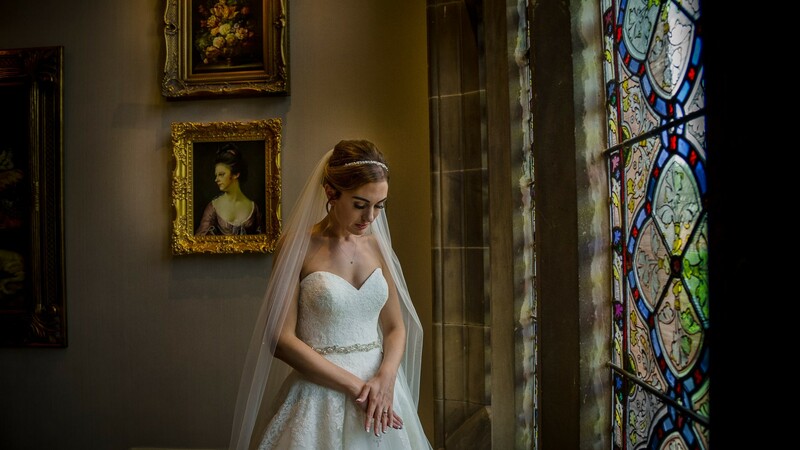 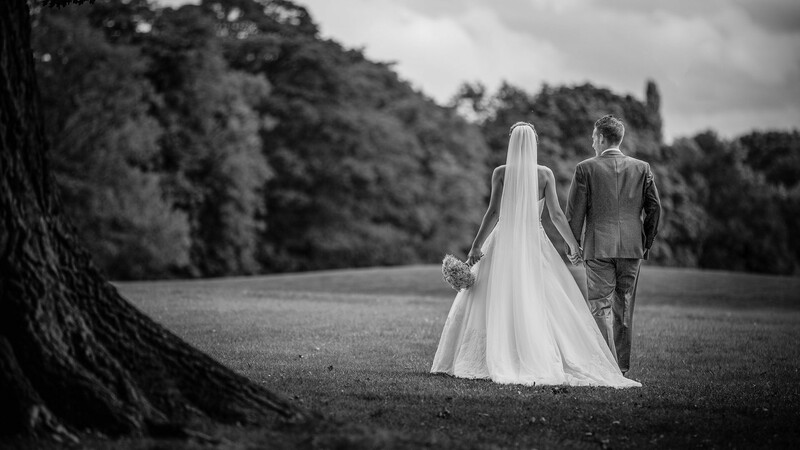 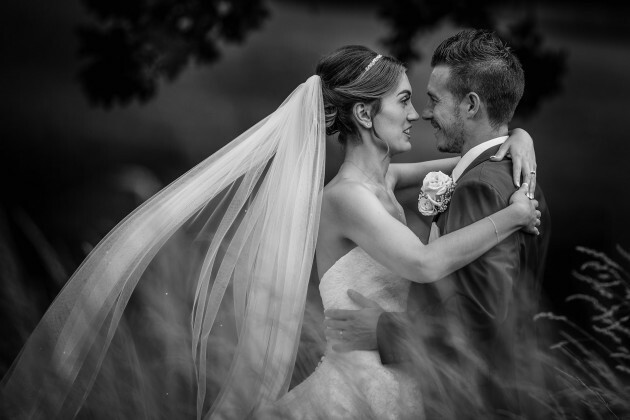 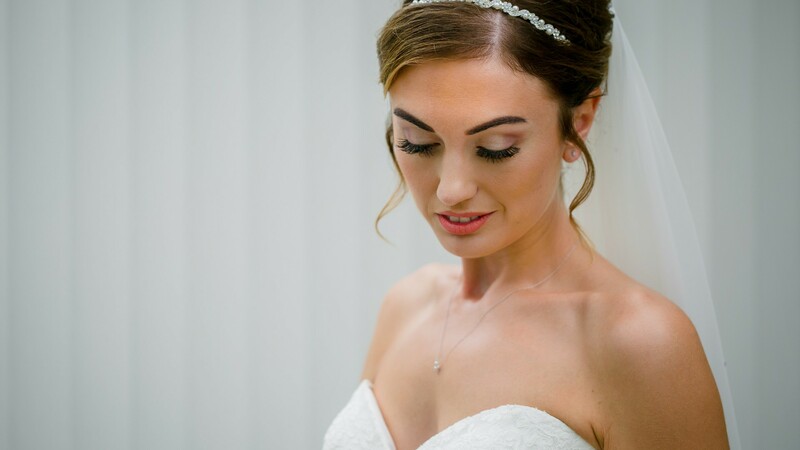 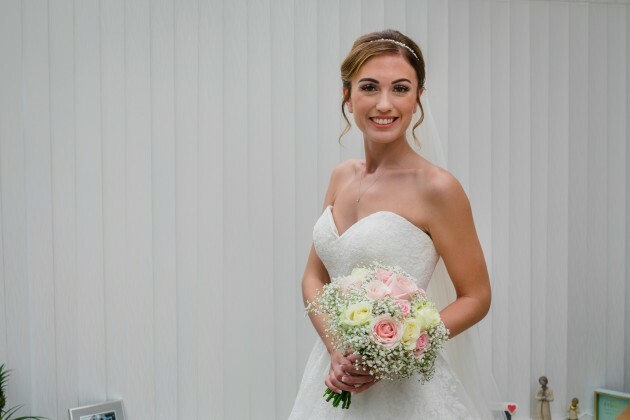 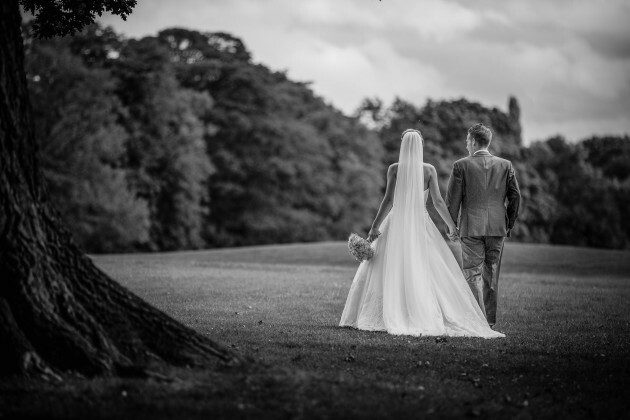 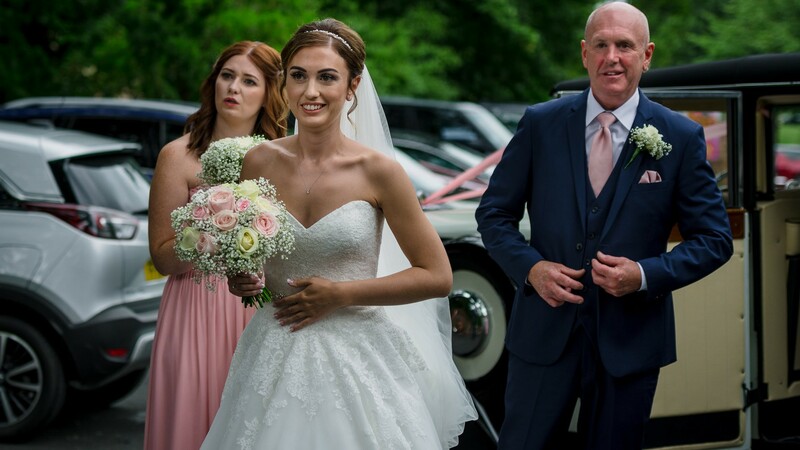 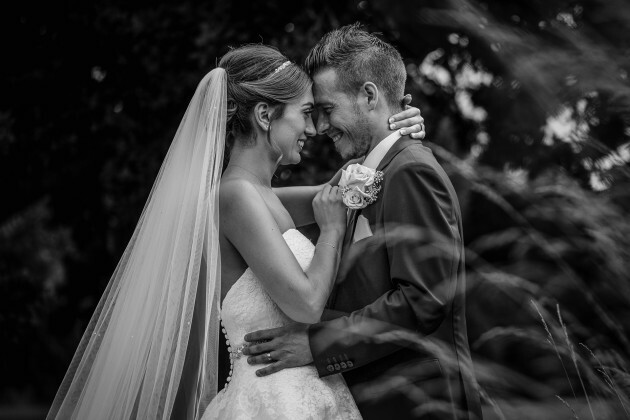 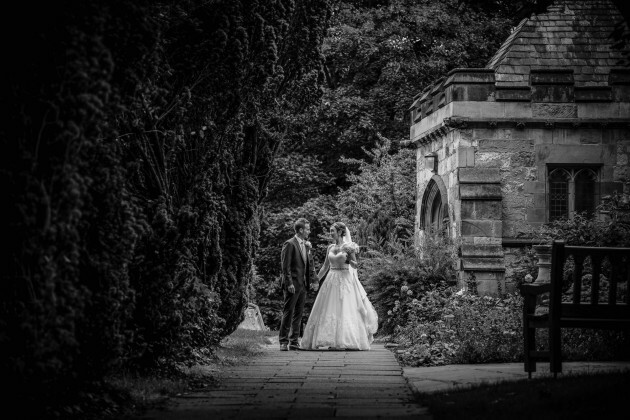 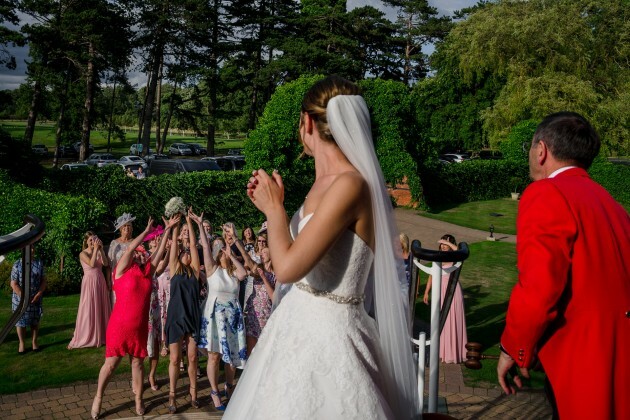 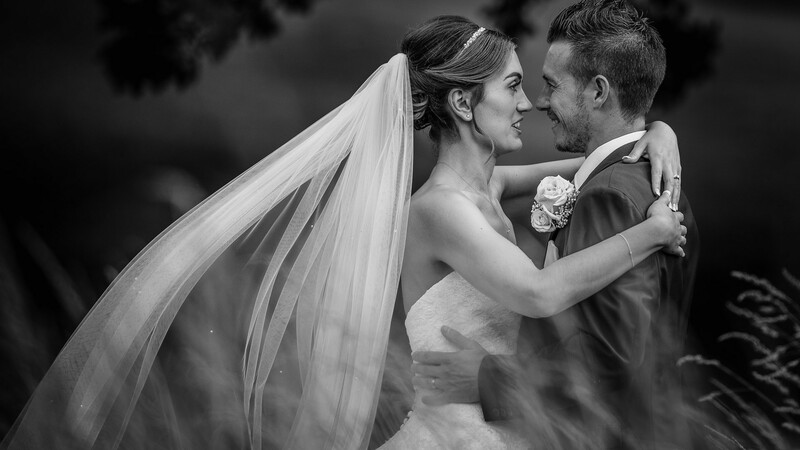 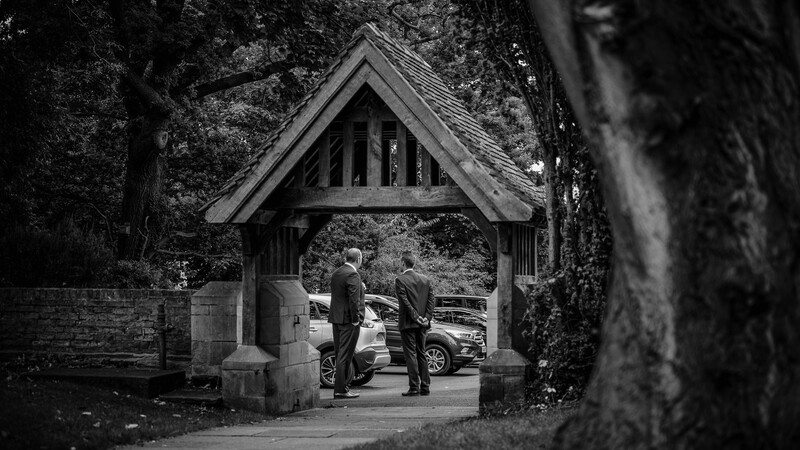 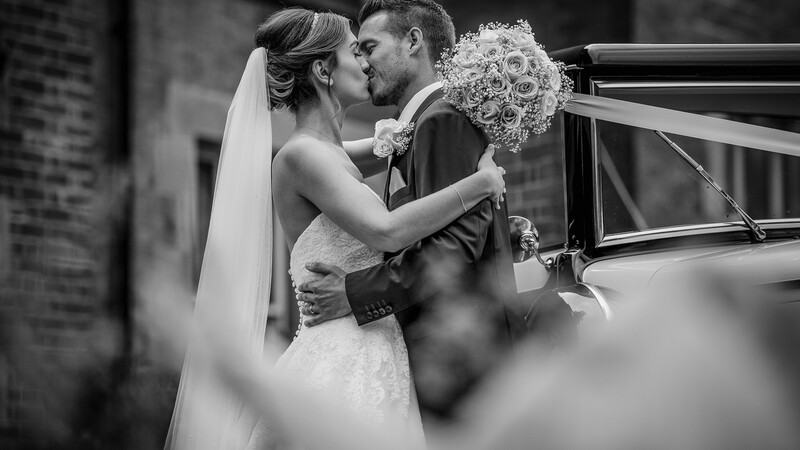 Rockliffe really is the perfect place for a wedding with it's beautiful reception rooms, bedrooms and extensive grounds and leisure facilities.Not only a fabulous wedding venue but a lovely location for your wedding guests to experience. 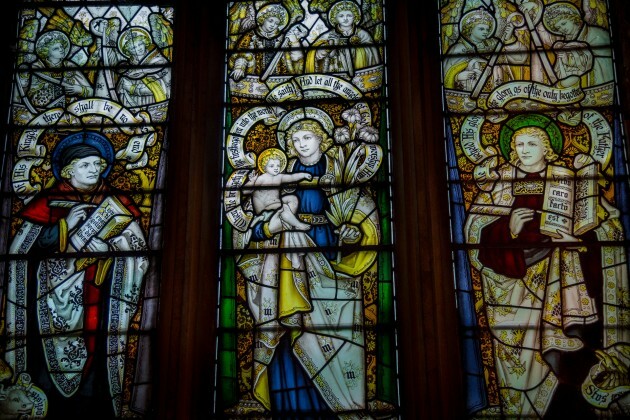 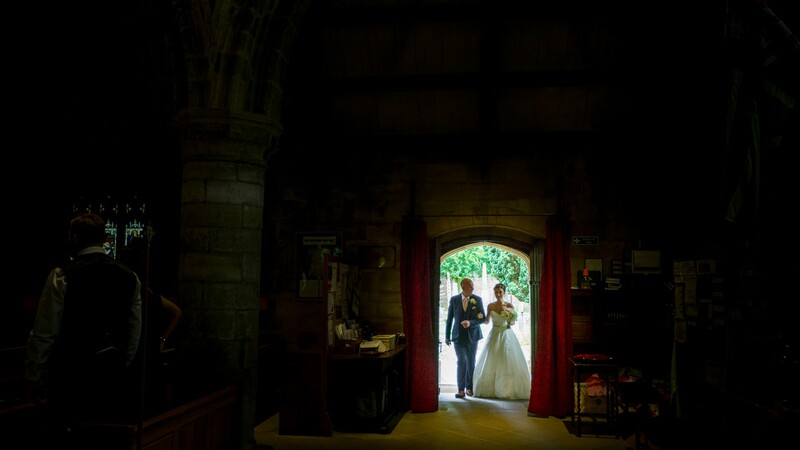 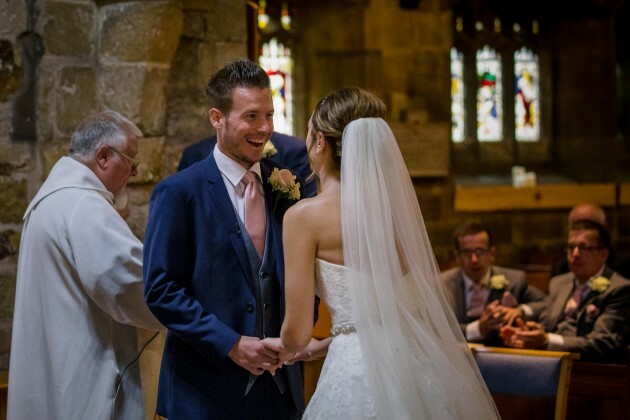 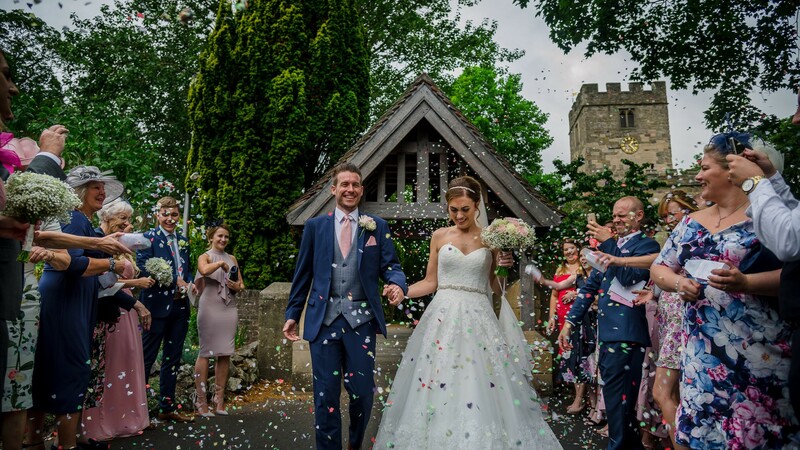 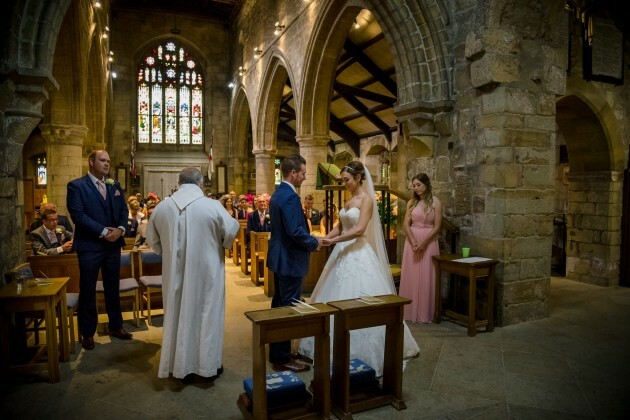 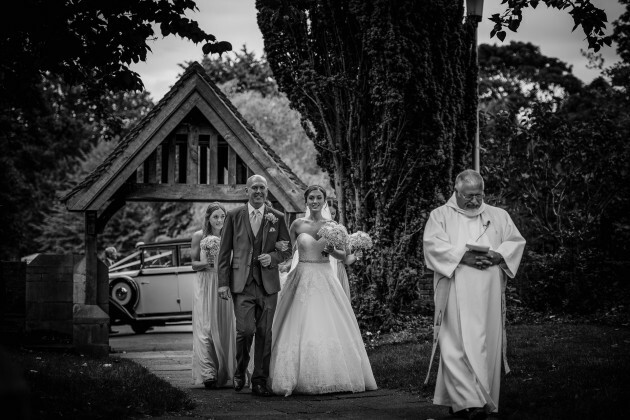 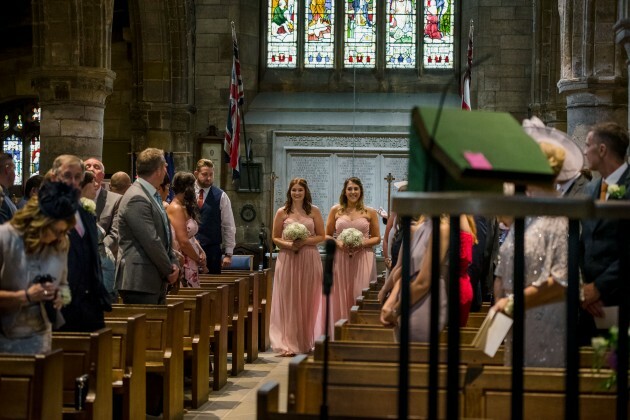 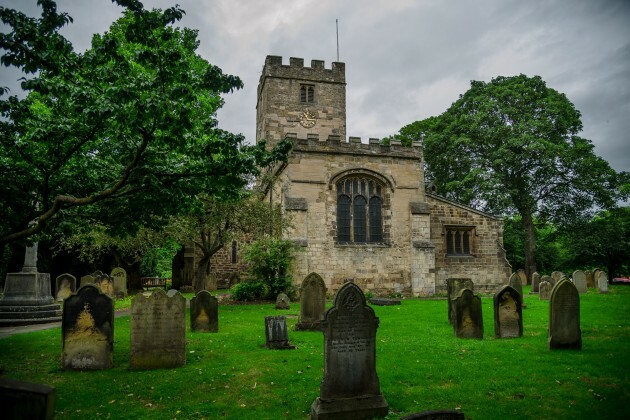 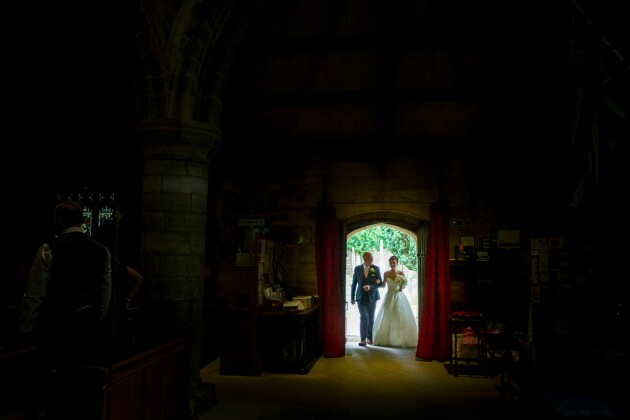 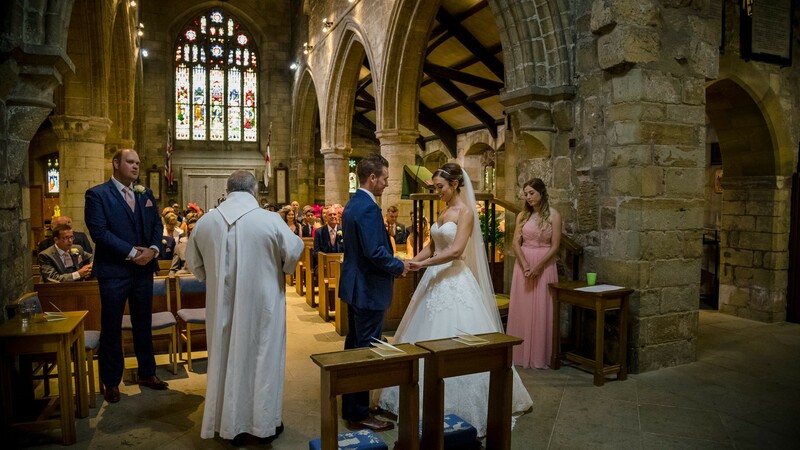 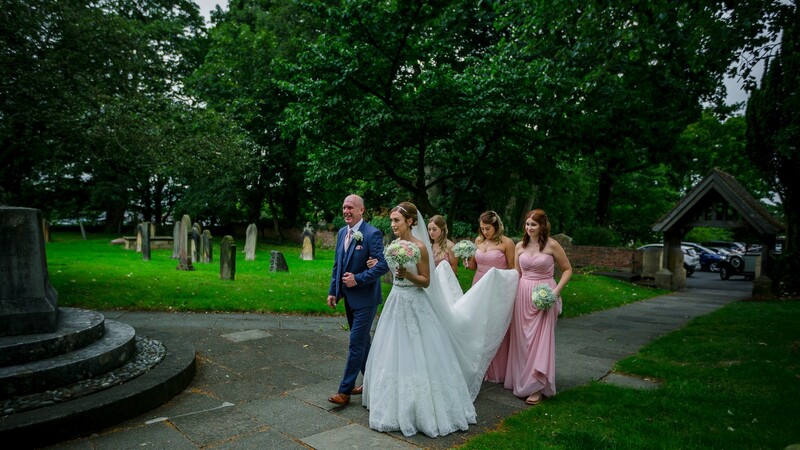 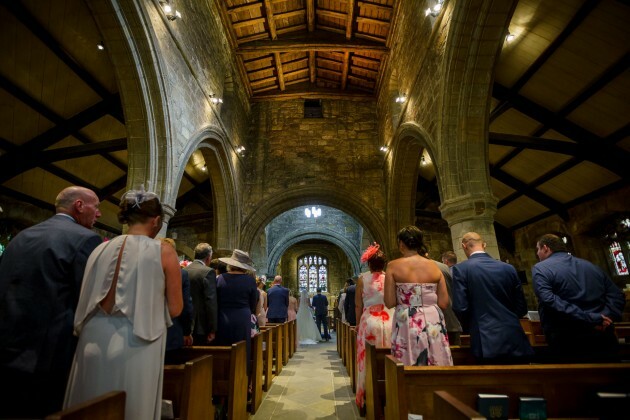 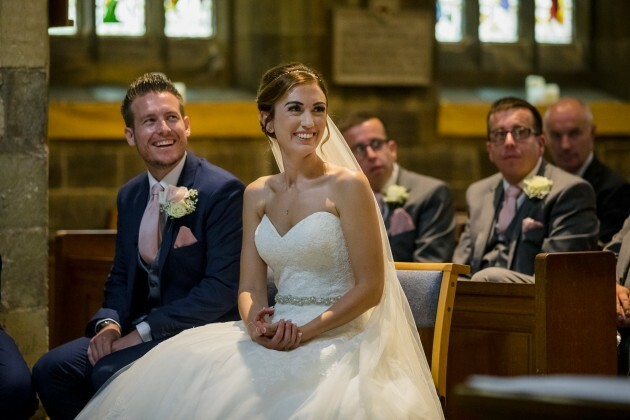 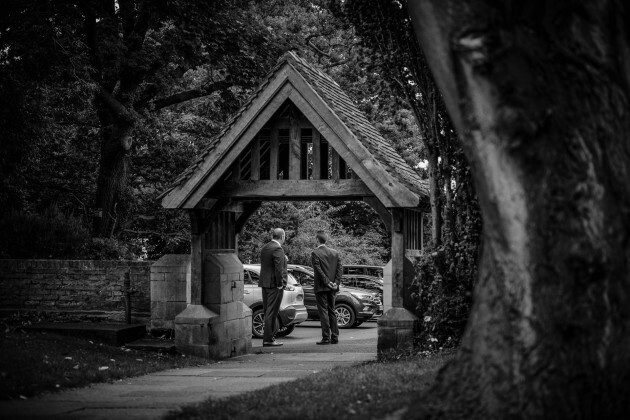 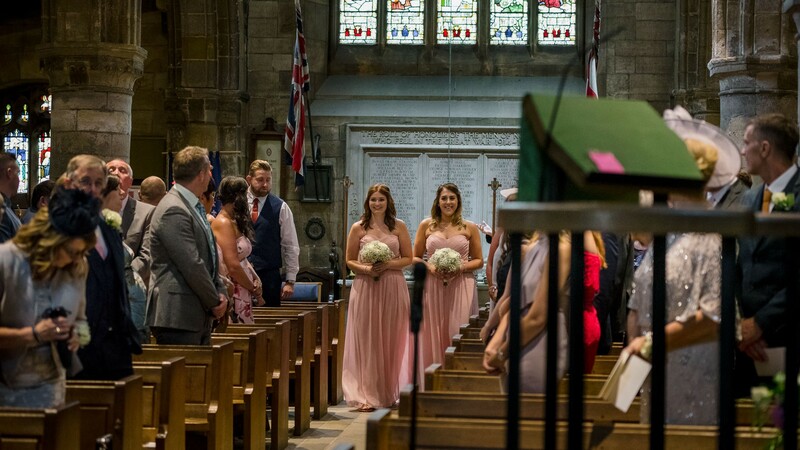 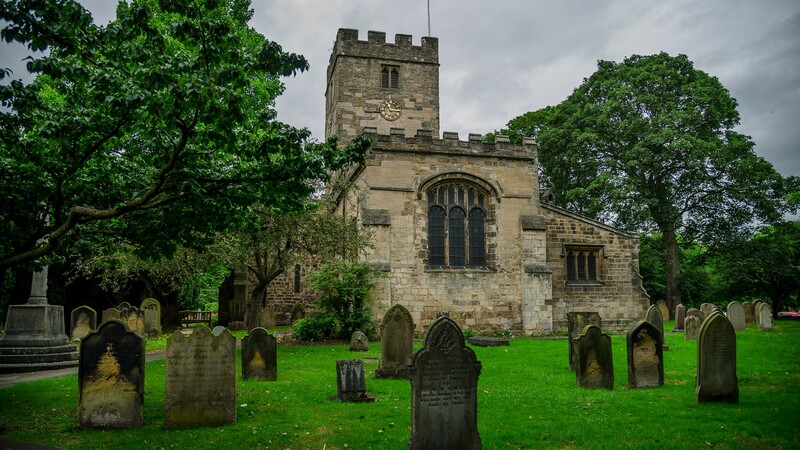 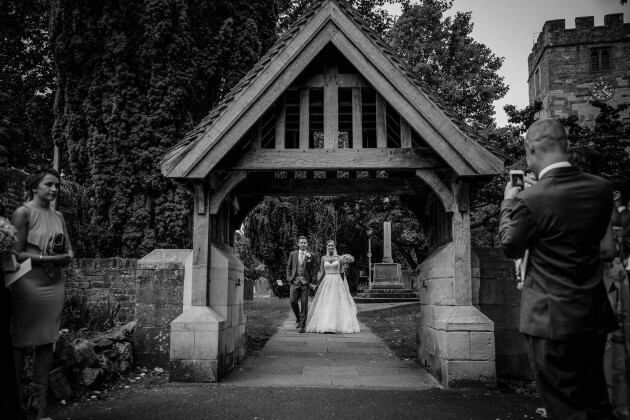 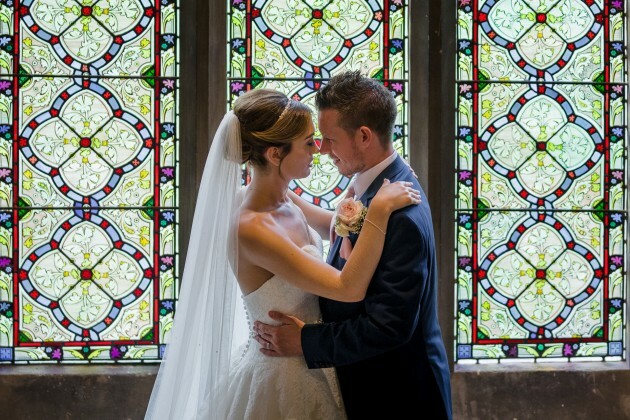 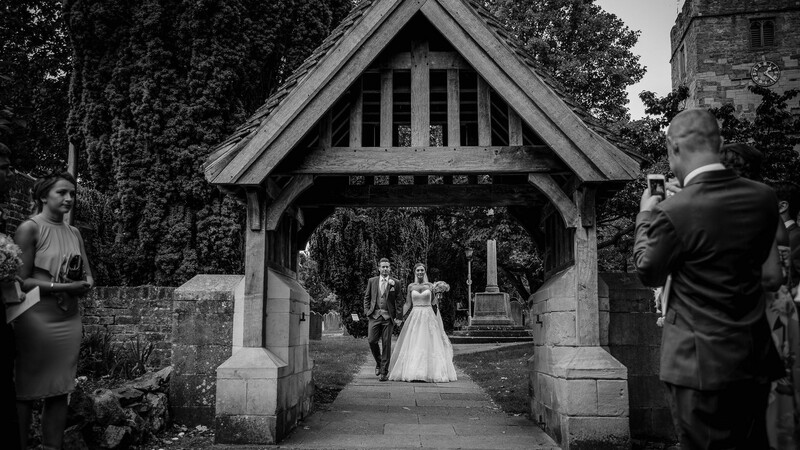 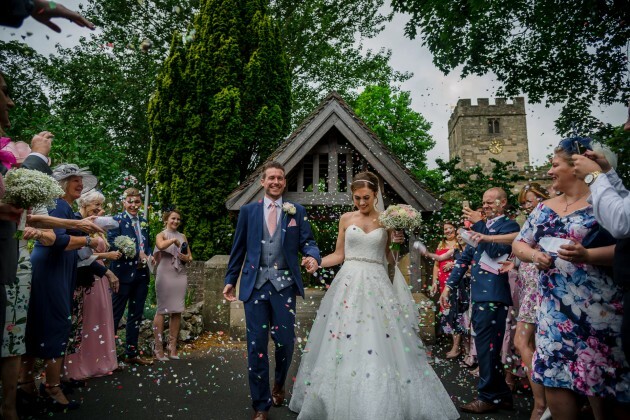 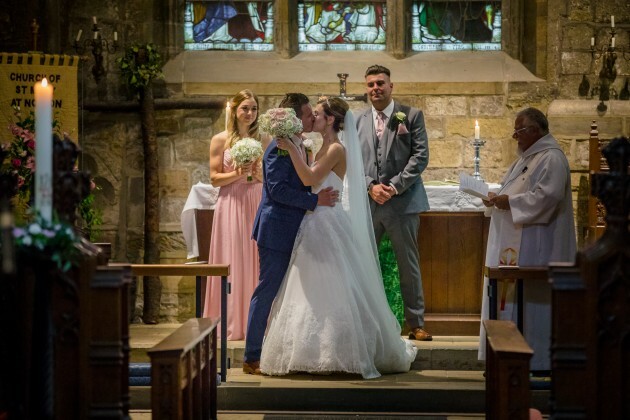 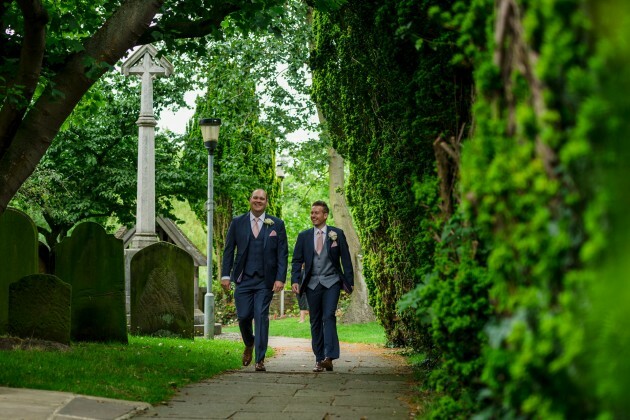 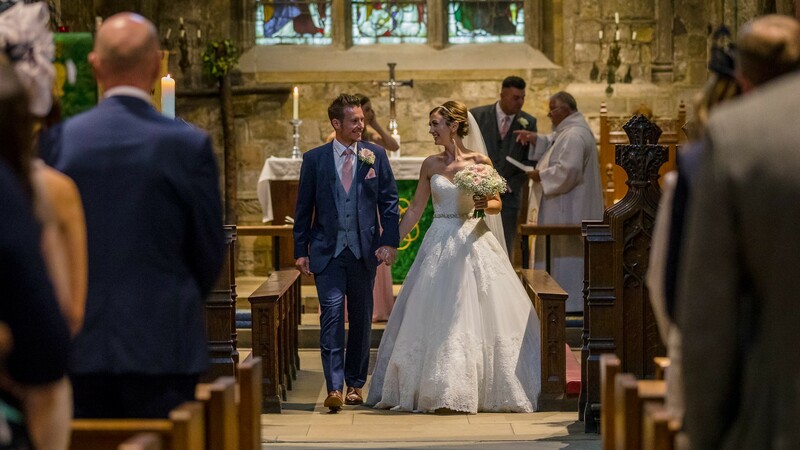 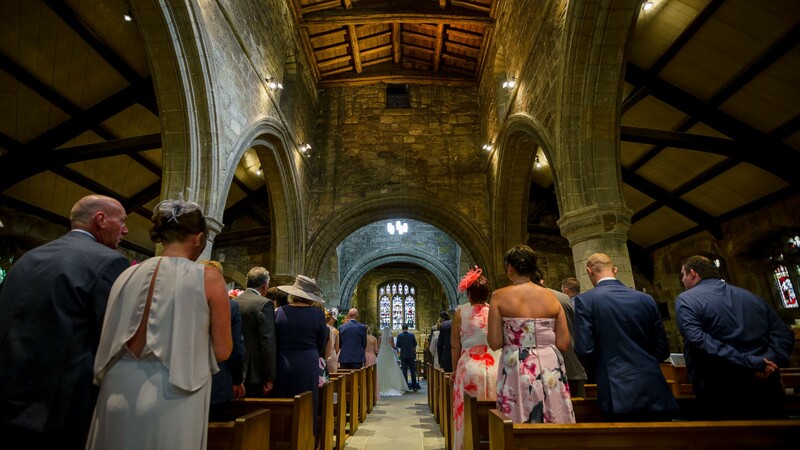 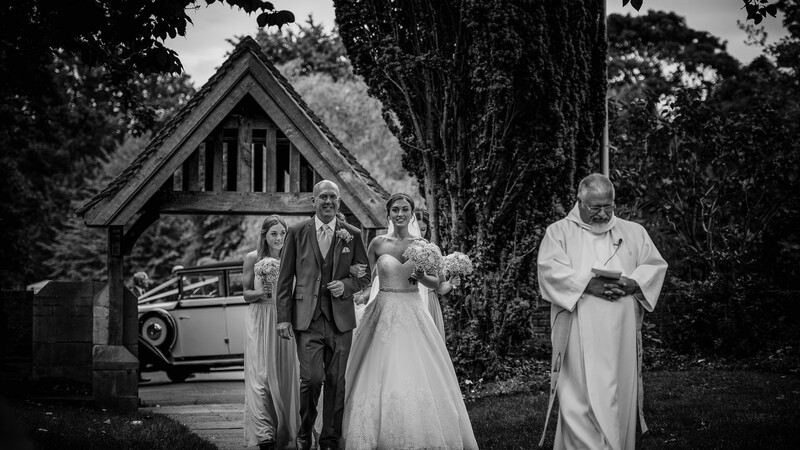 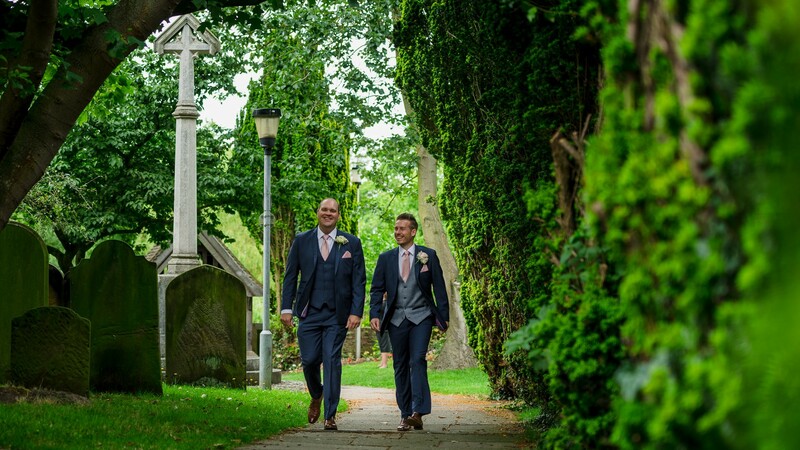 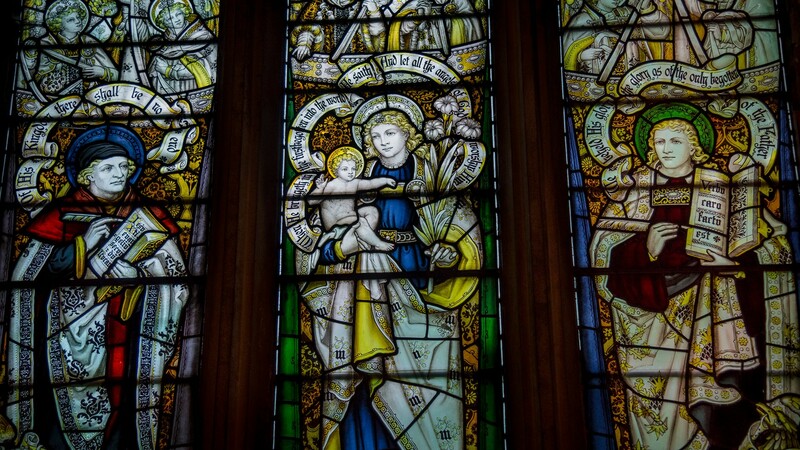 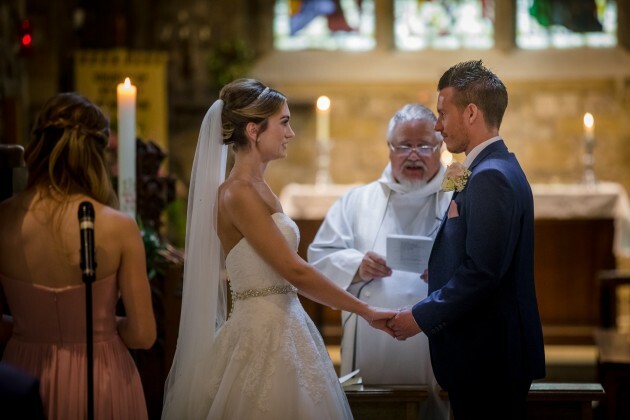 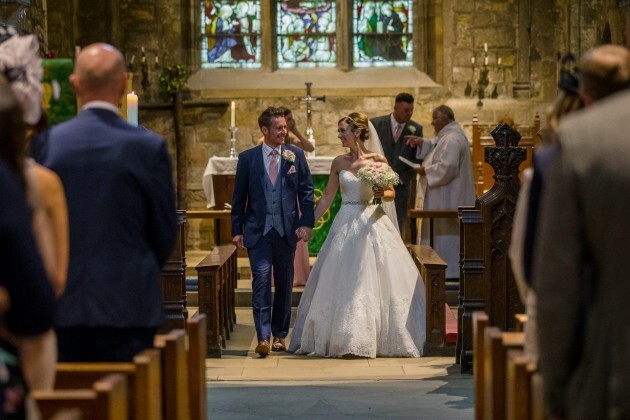 St Marys Church in Norton is a beautiful Anglican church set on the village green of Norton and as this is their local church, Sarah and Andrew chose here for their wedding ceremony. 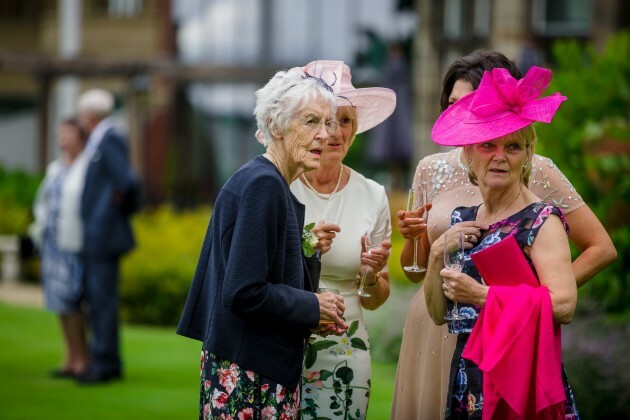 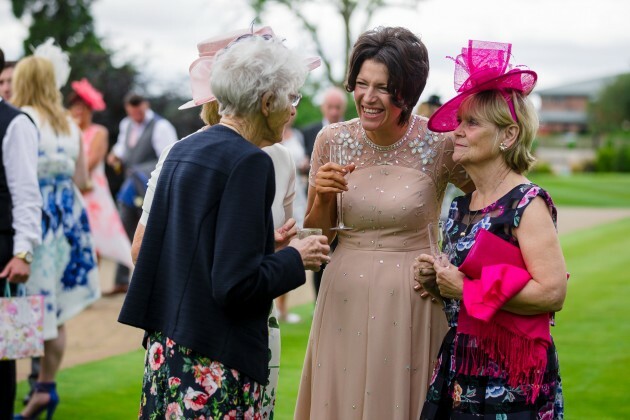 Although rain threatened several times we were really lucky to mainly avoid it and managed to have the drinks reception on the croquet lawn at Rockliffe. 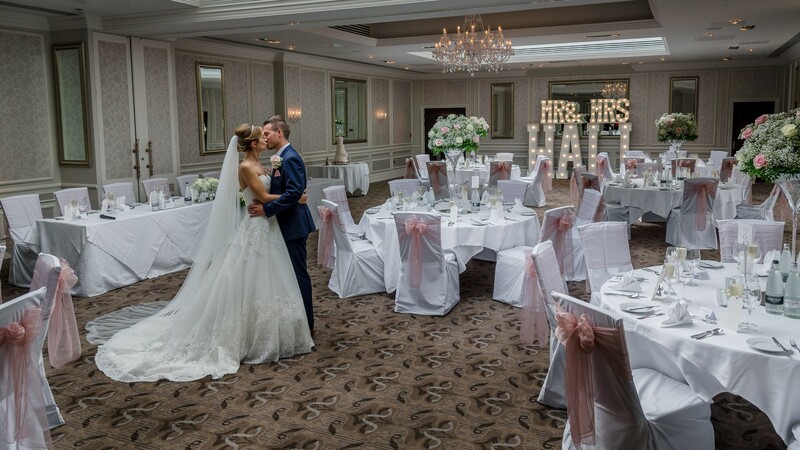 We moved to the Rockliffe Suite for the wedding breakfast at the end of which Sarah threw her bouquet. 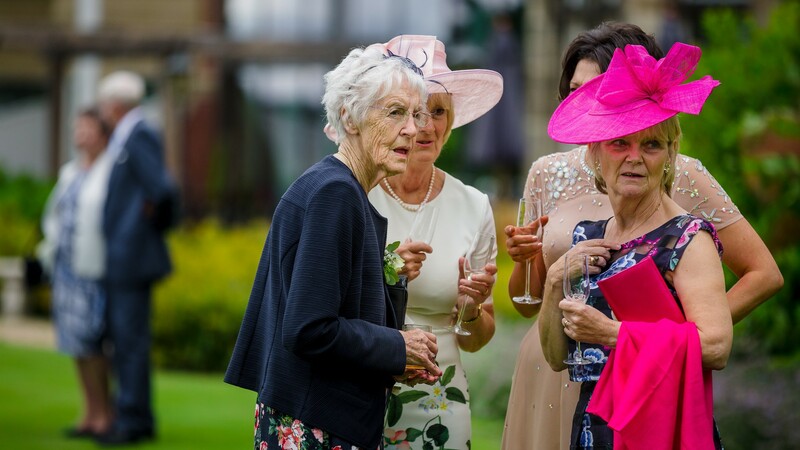 There were lots of girls keen to catch it much to the the dismay of one or two guys looking on. 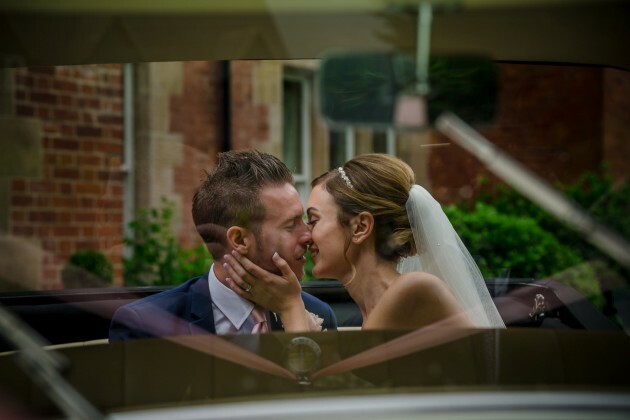 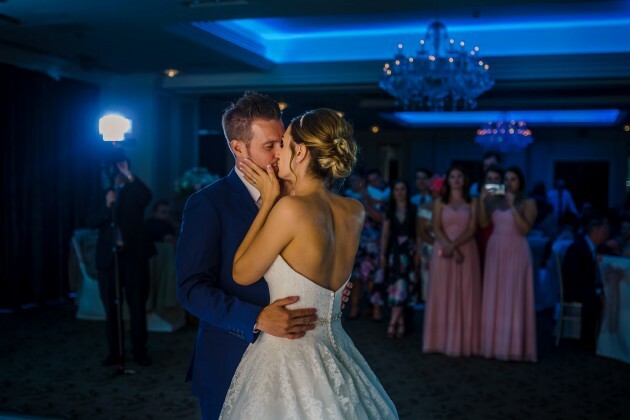 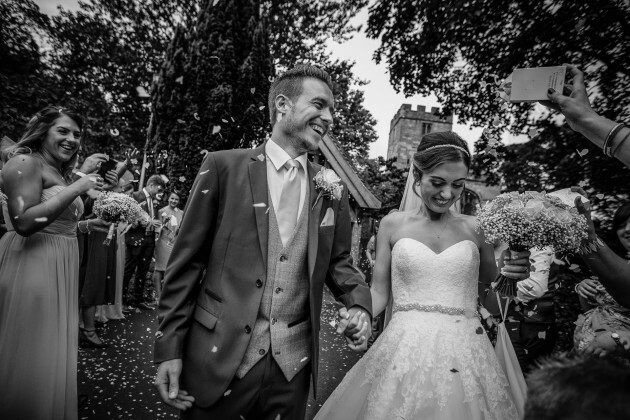 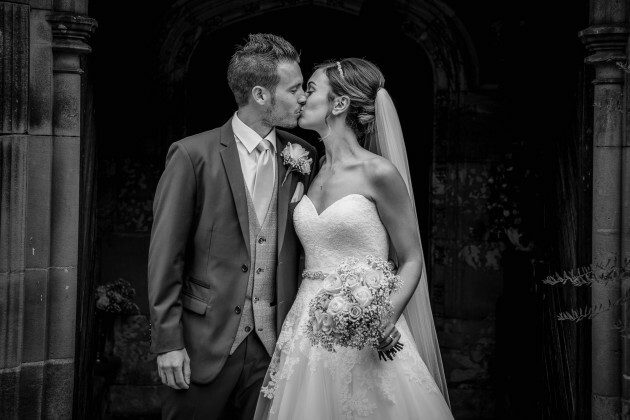 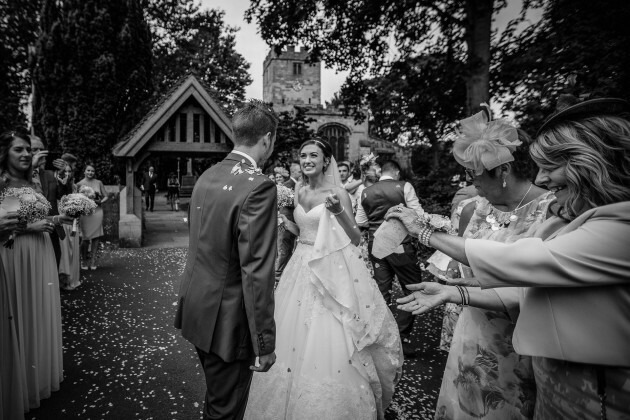 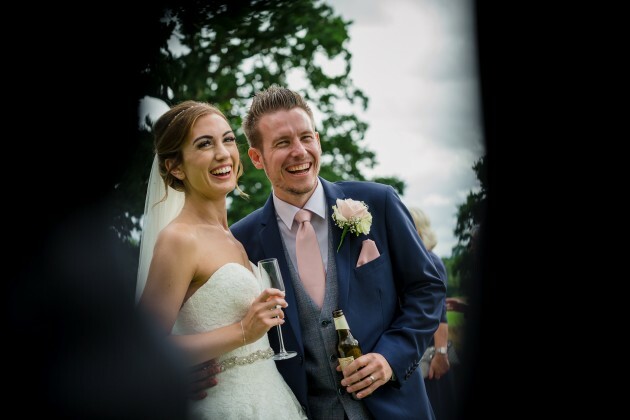 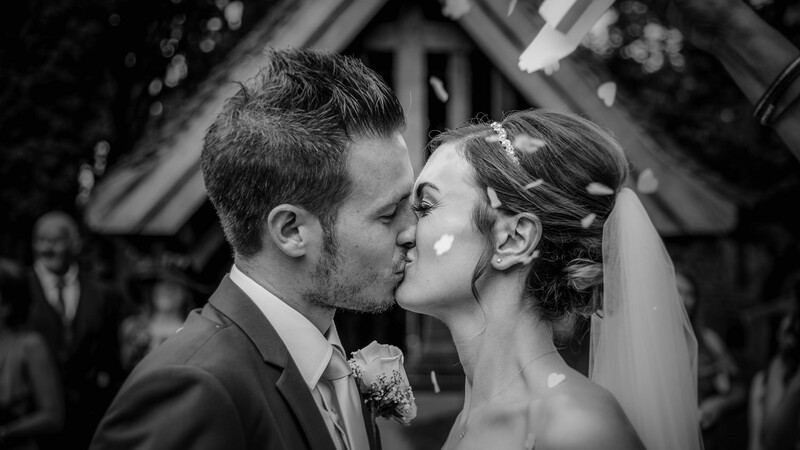 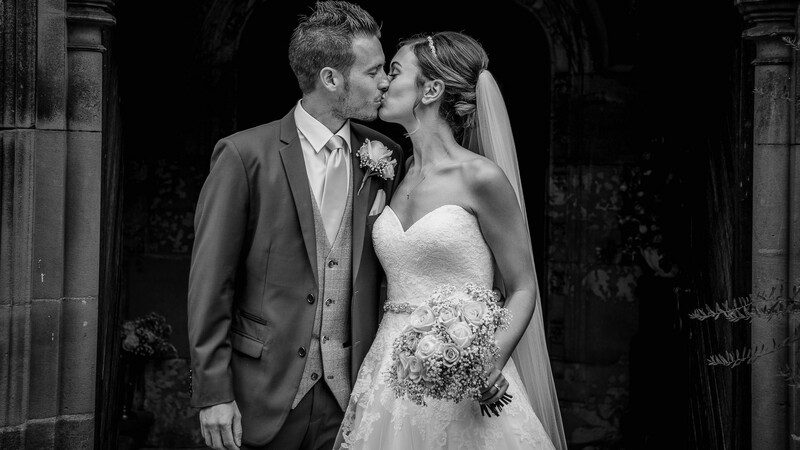 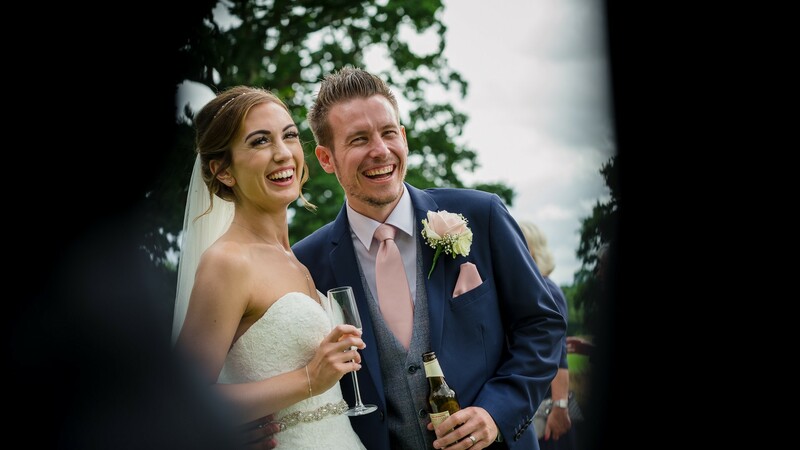 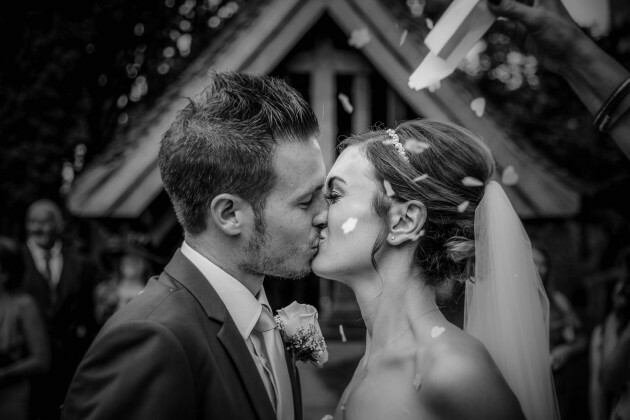 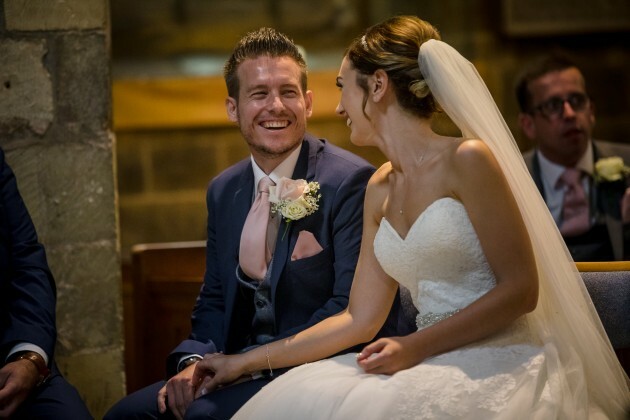 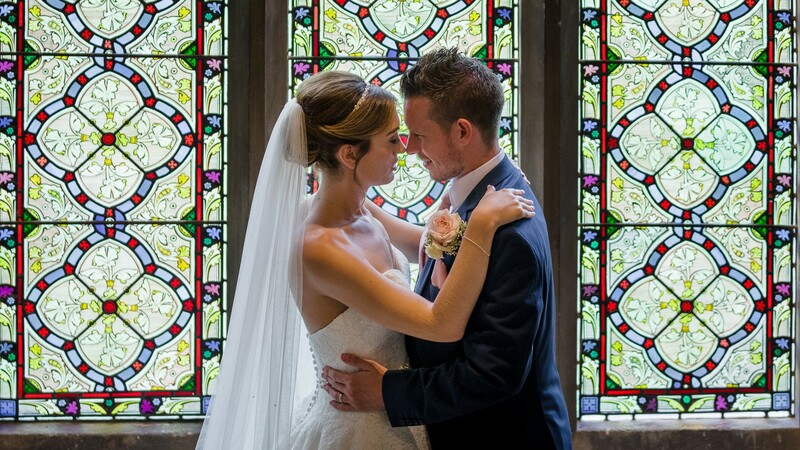 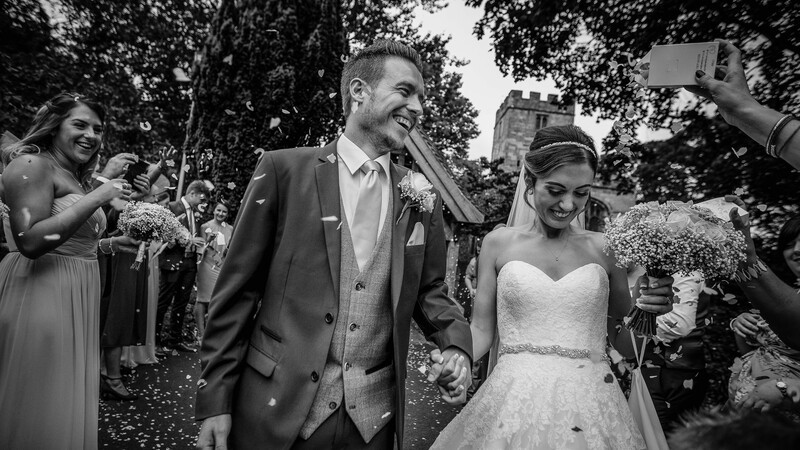 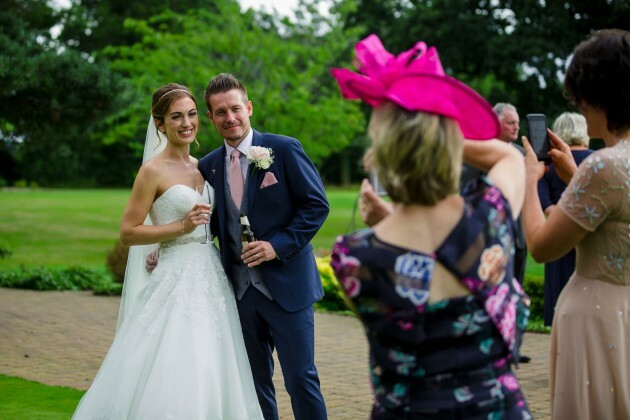 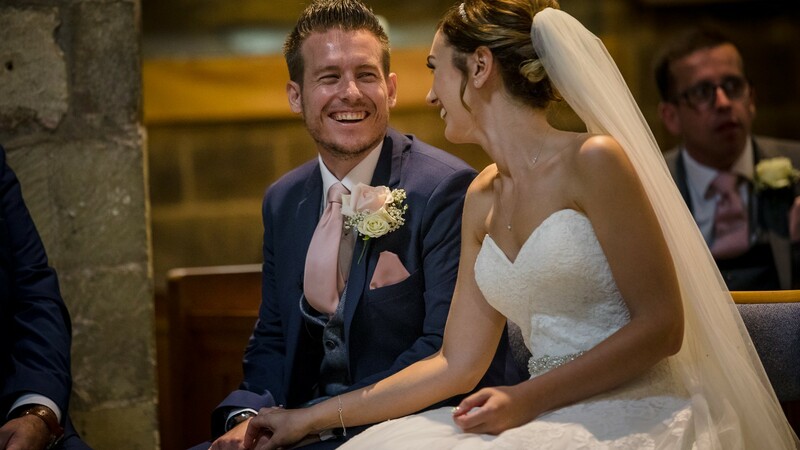 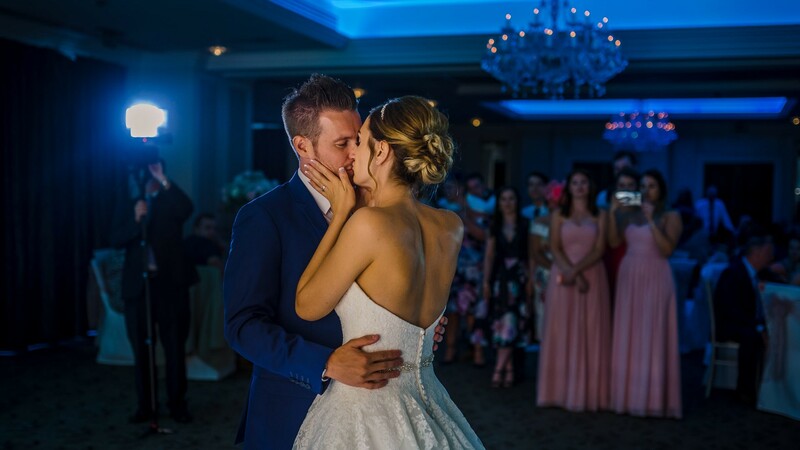 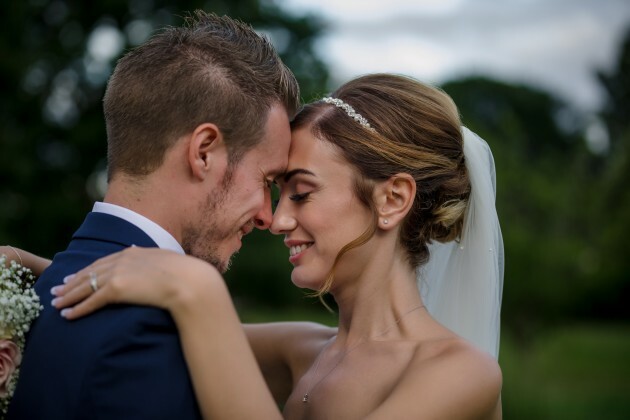 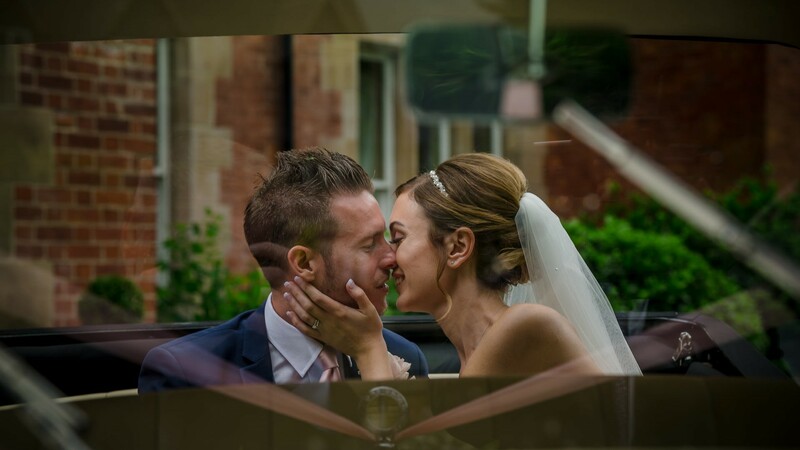 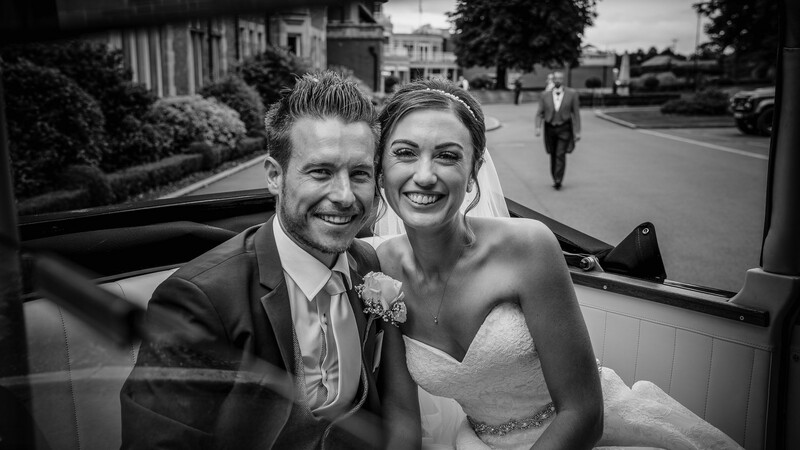 What they said about their wedding photography "We both just want to say a huge Thankyou for our gorgeous wedding photographs. 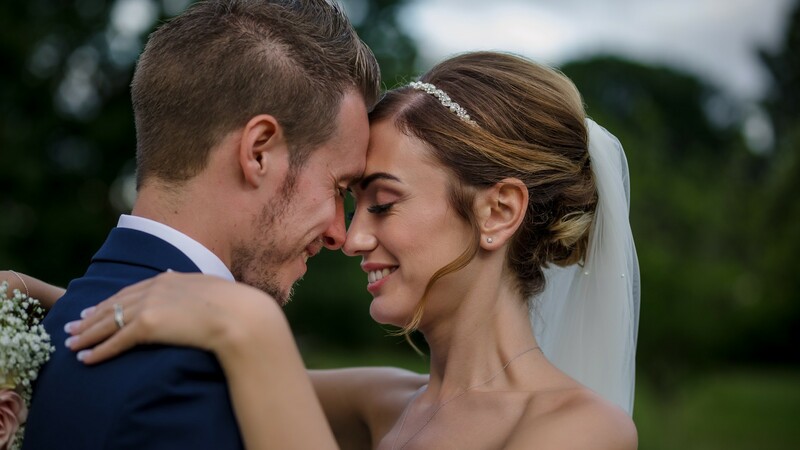 We truly love them, more each time we look at them. 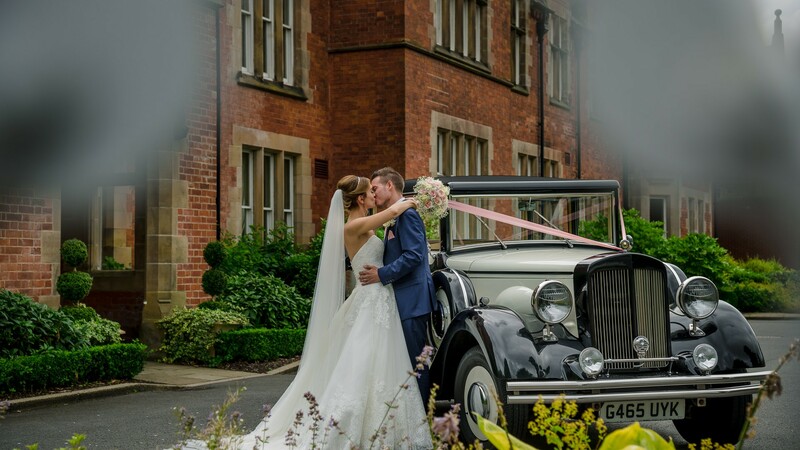 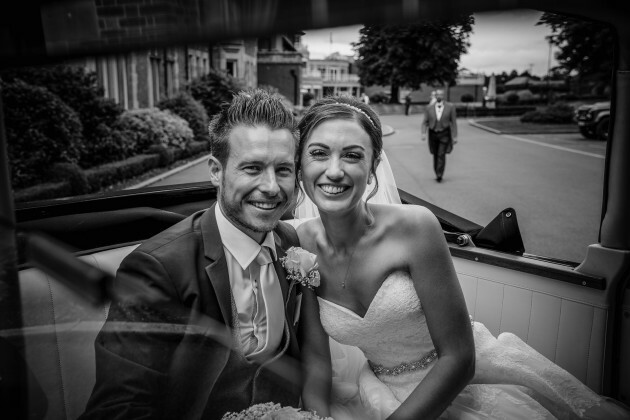 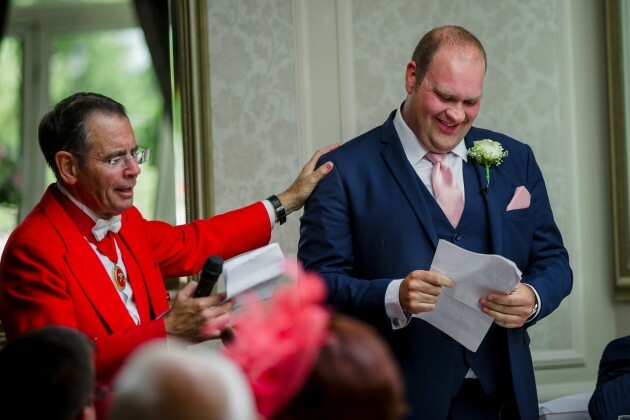 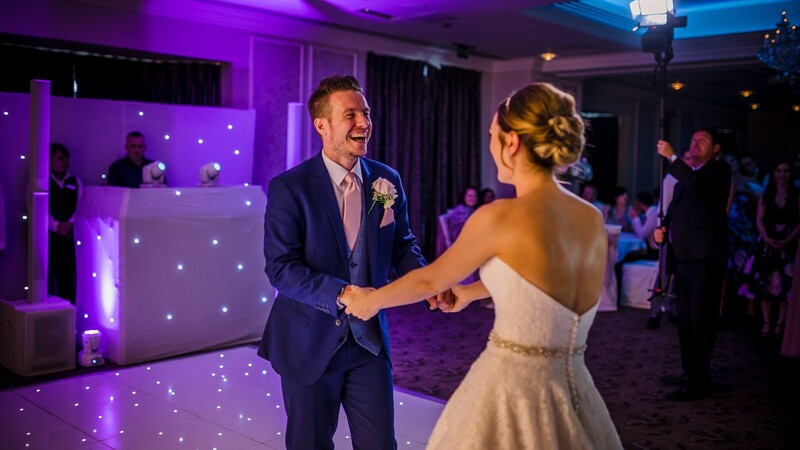 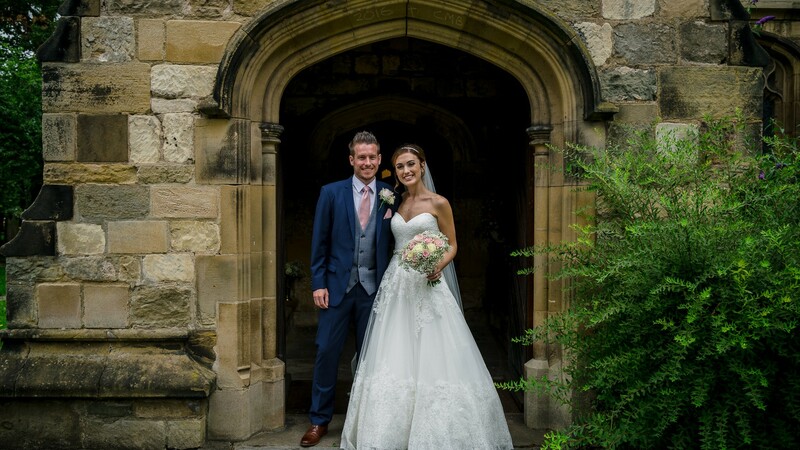 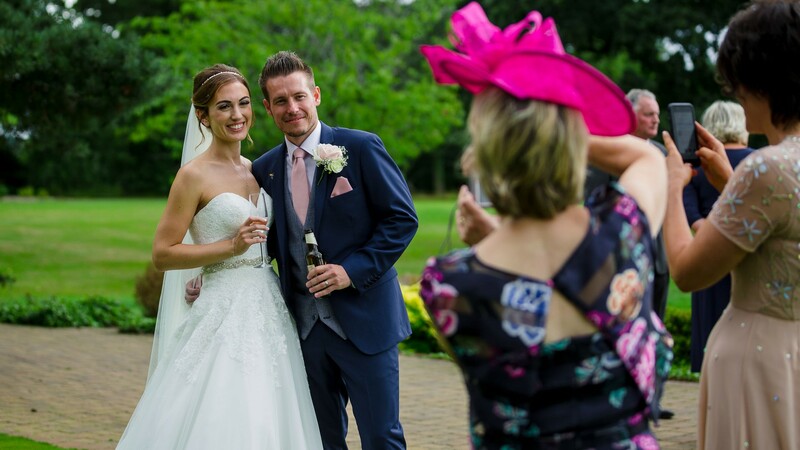 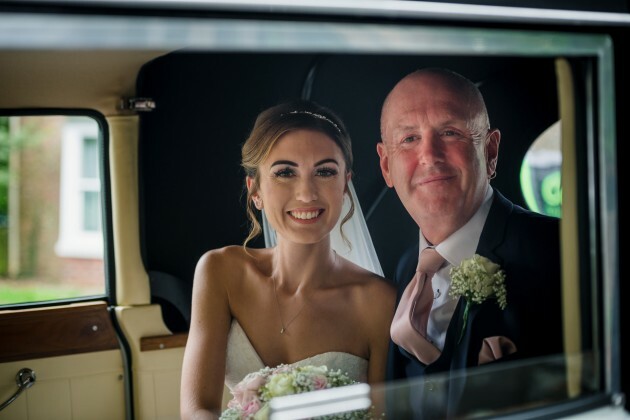 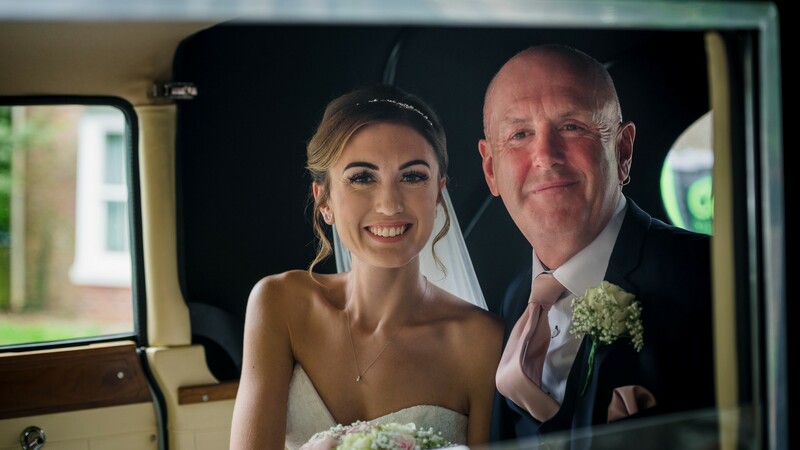 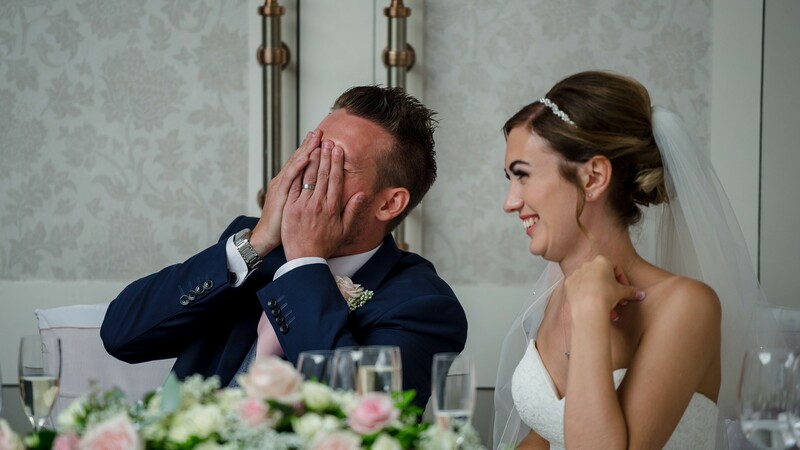 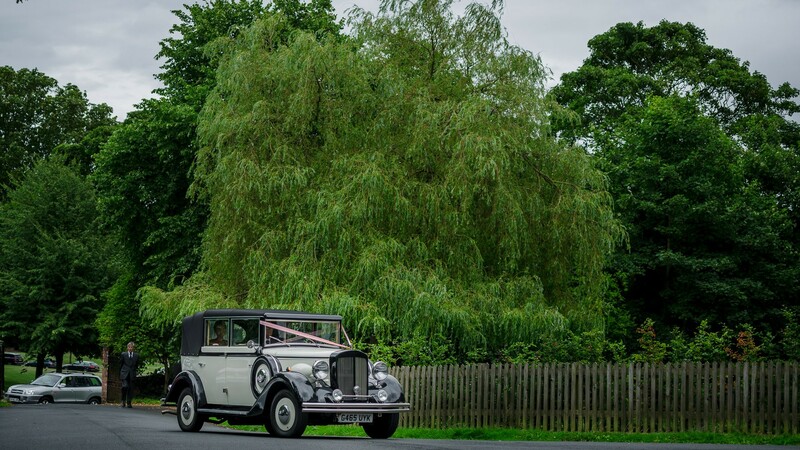 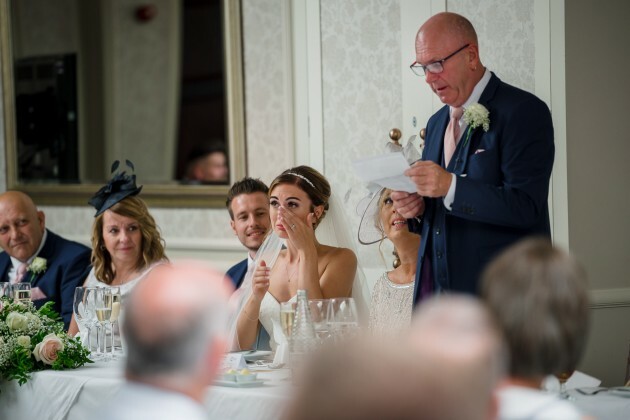 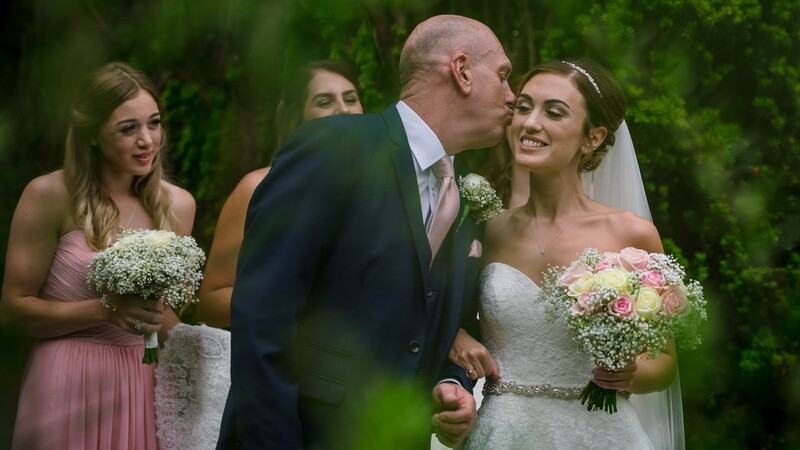 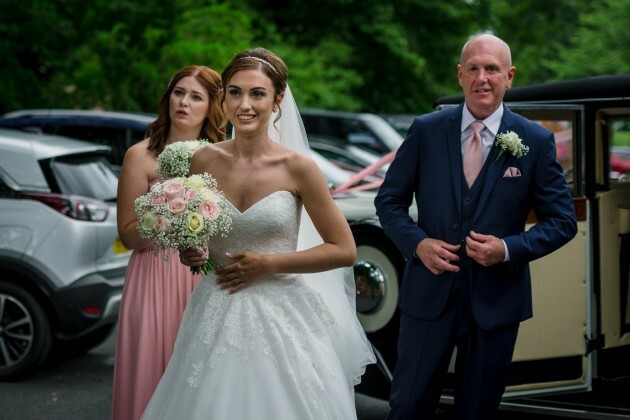 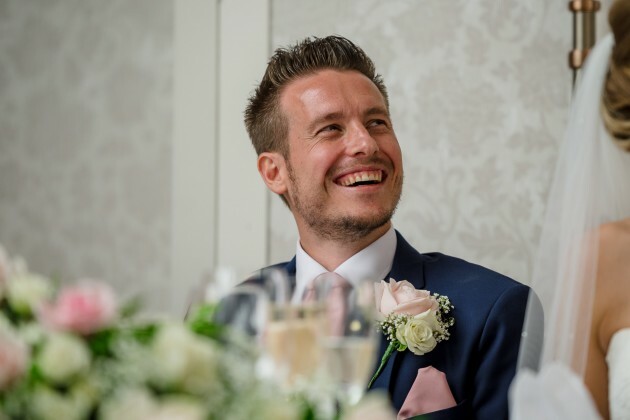 Brings back a lot of happy memories"
Sarah and Andrew had a fabulous wedding day at Rockliffe and we loved being part of it. 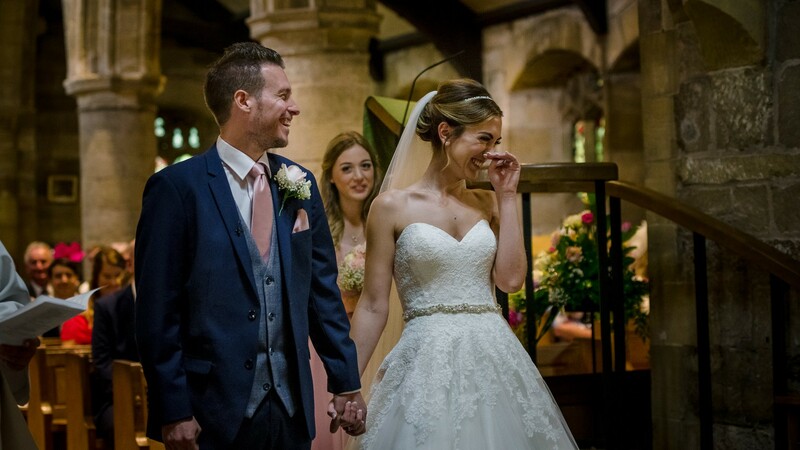 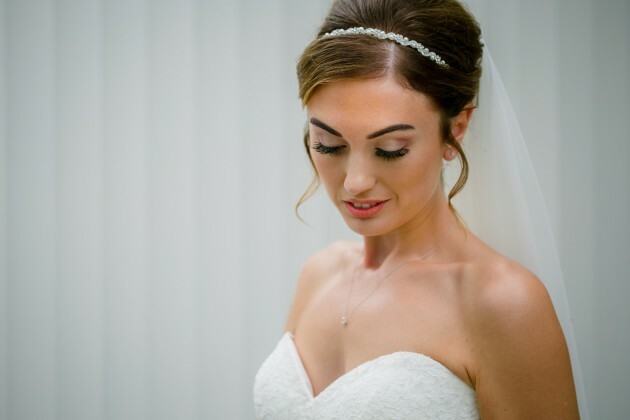 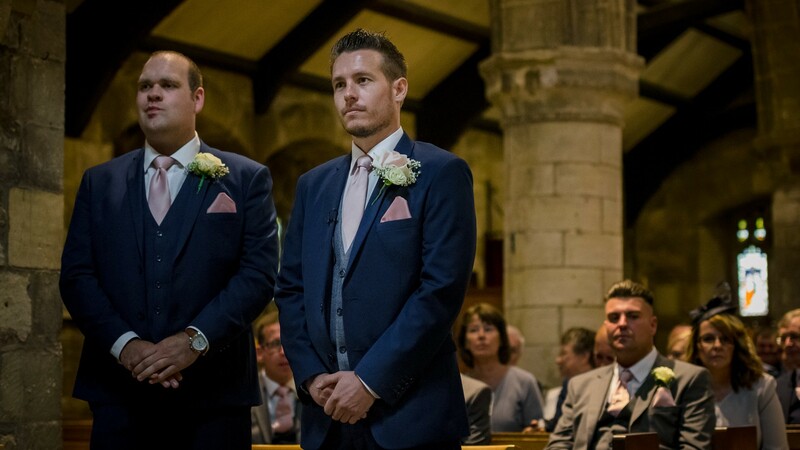 We hope you enjoy looking through their wedding story.